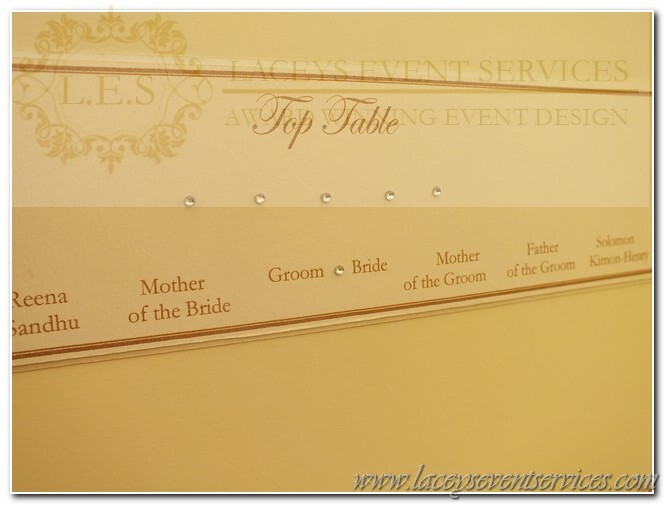 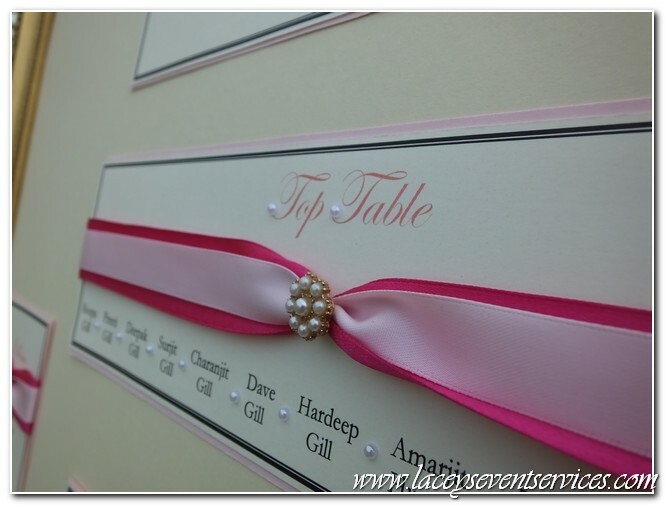 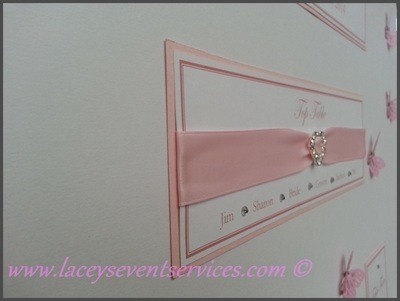 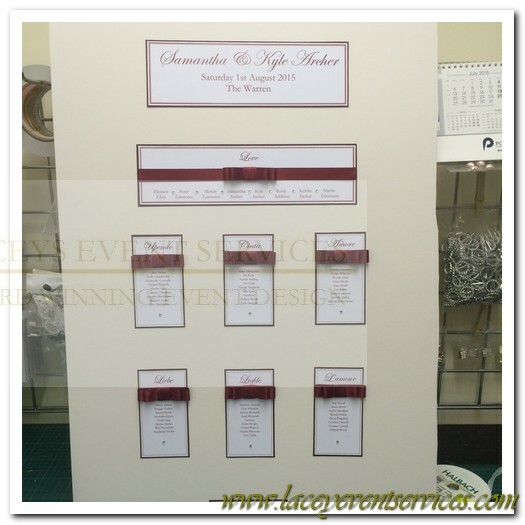 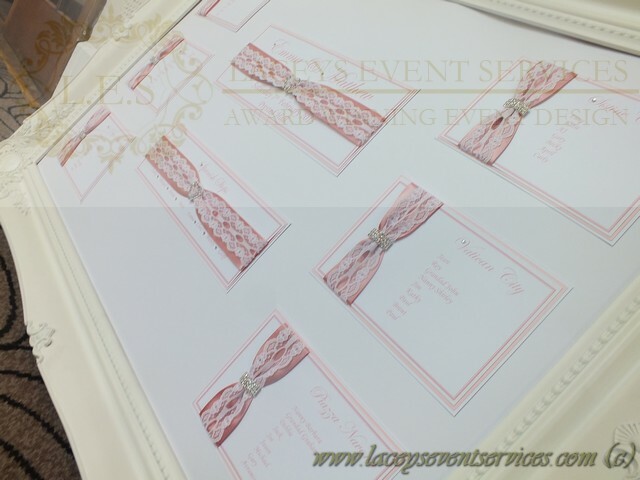 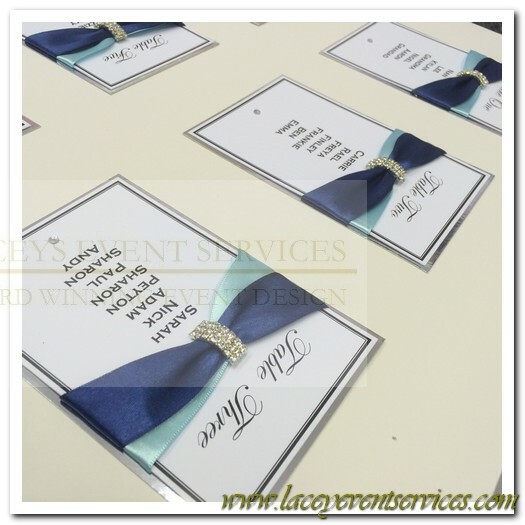 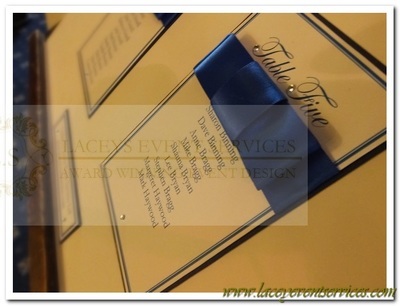 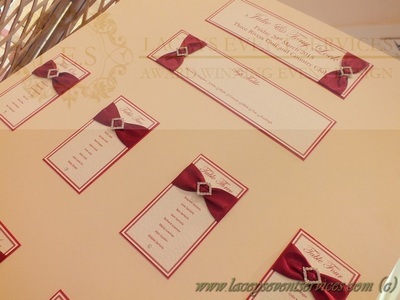 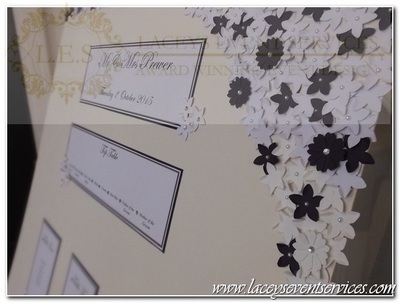 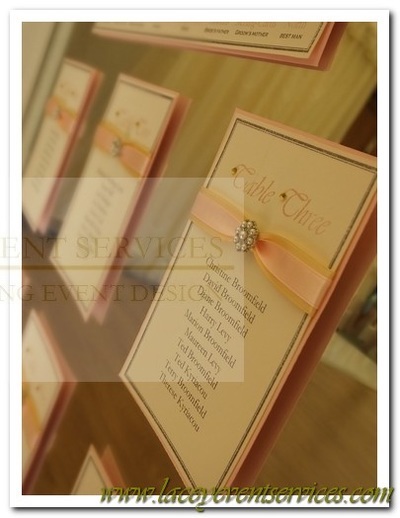 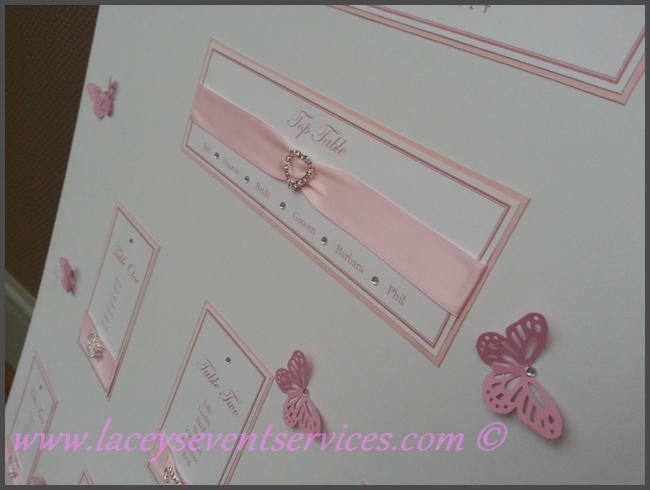 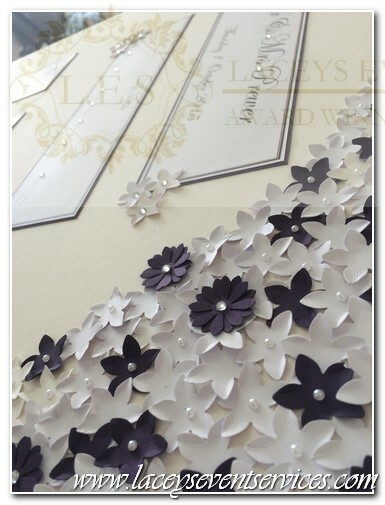 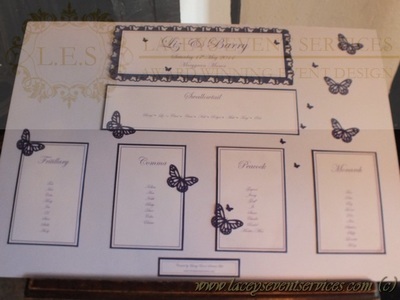 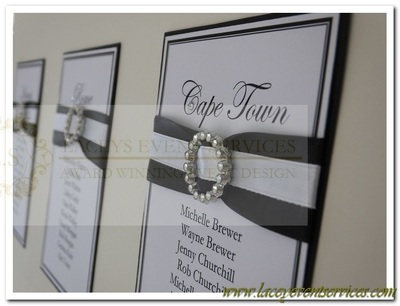 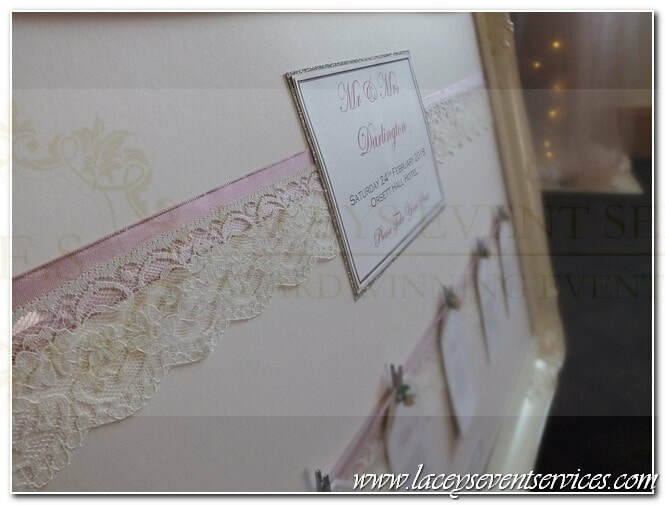 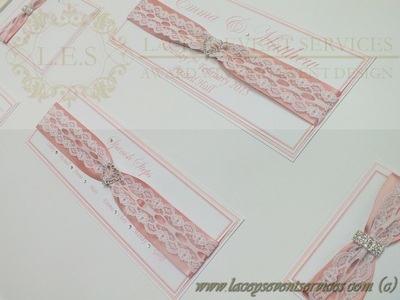 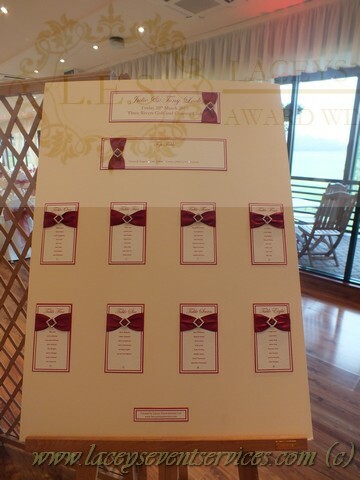 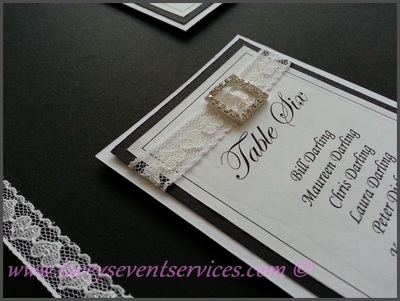 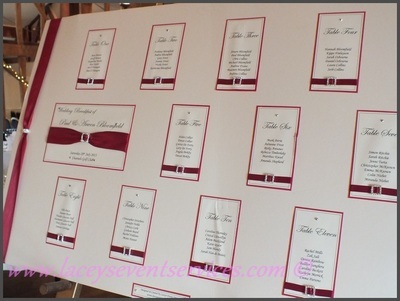 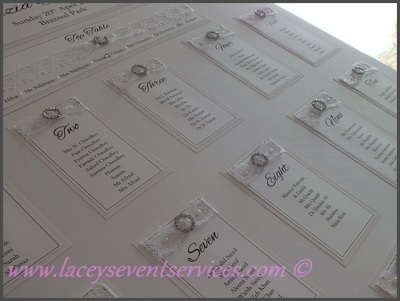 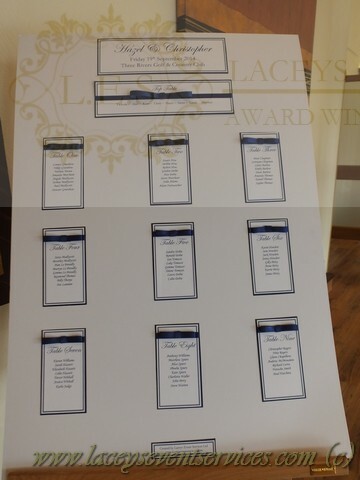 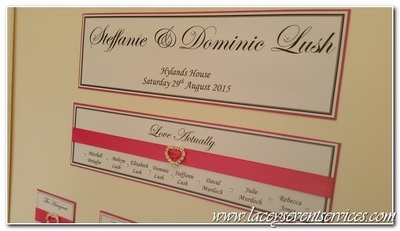 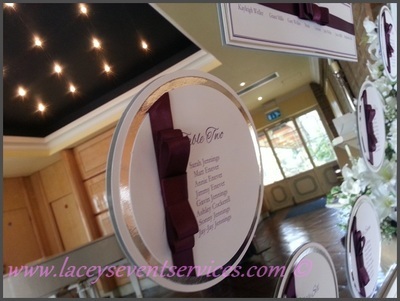 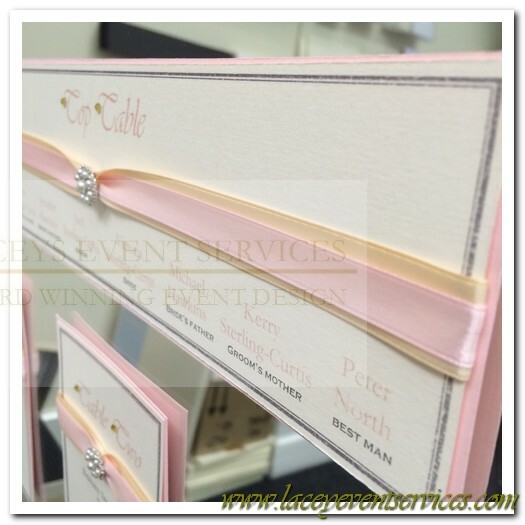 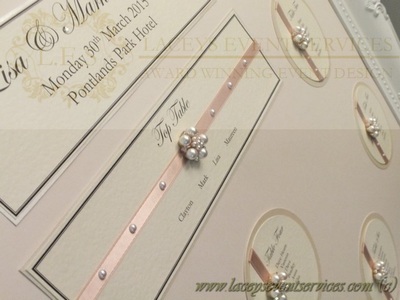 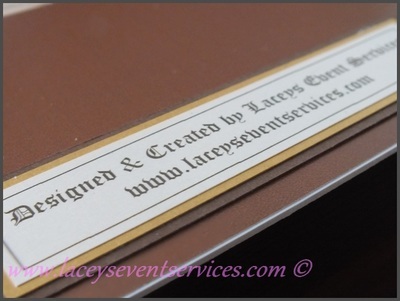 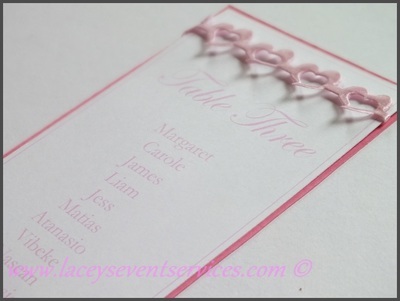 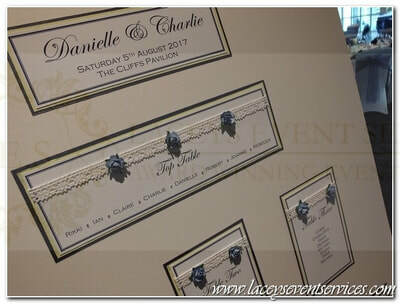 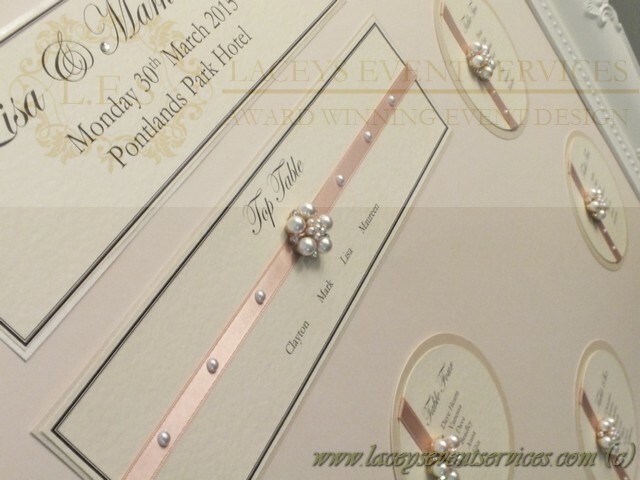 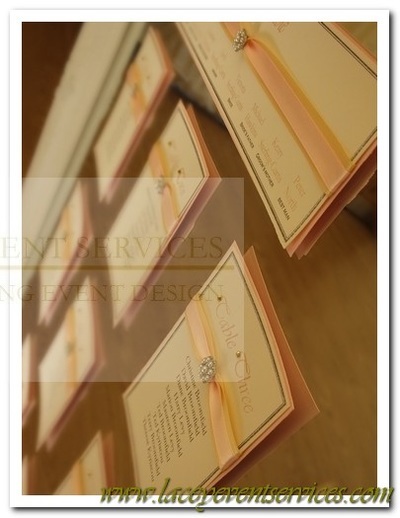 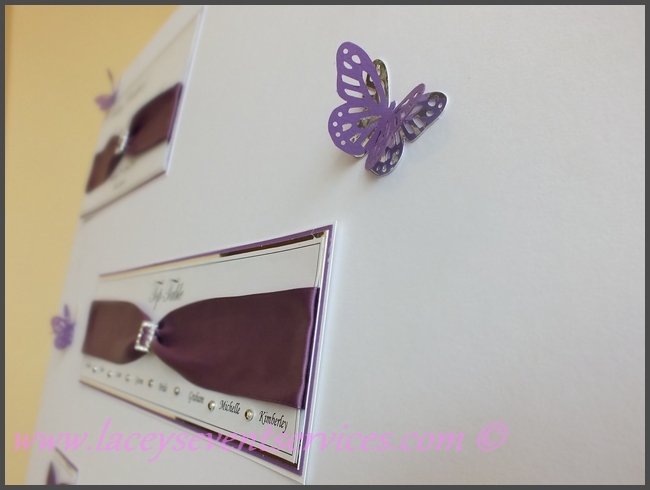 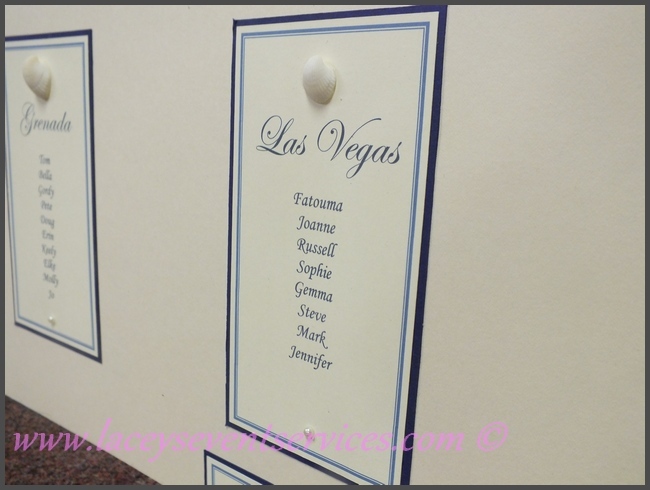 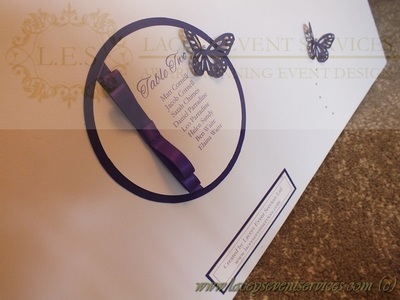 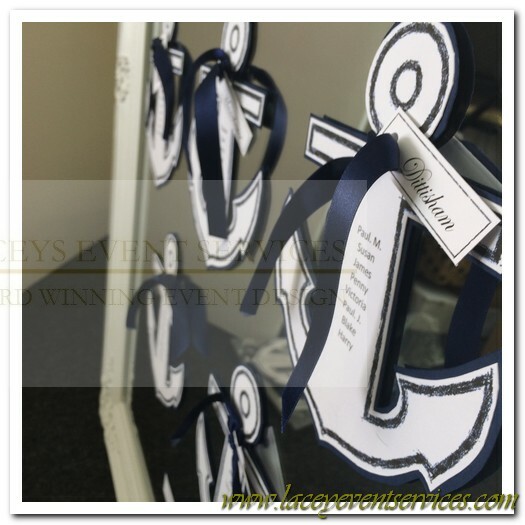 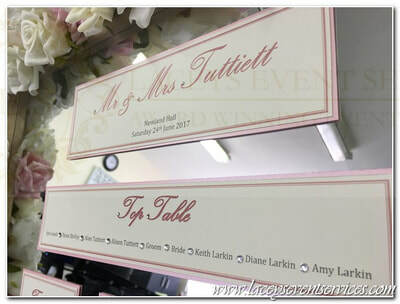 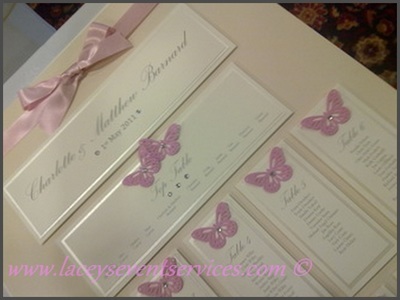 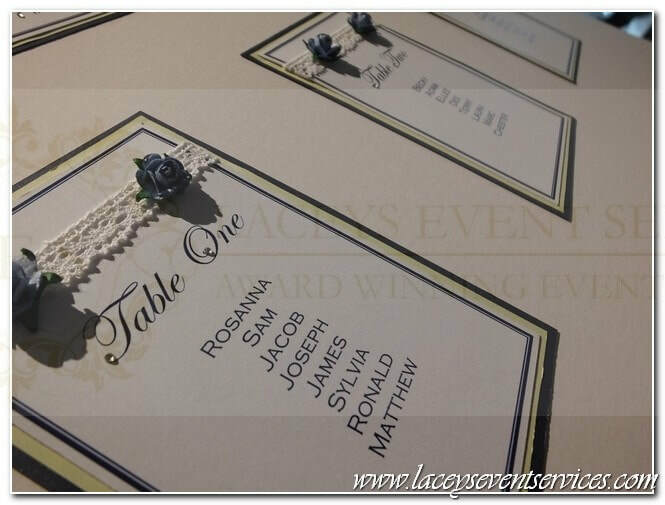 A Wedding table plan is the element of your wedding stationery that welcomes your guests to the Wedding Reception, setting a mood and an ambience that you wish to create from the moment your guests enter the room. 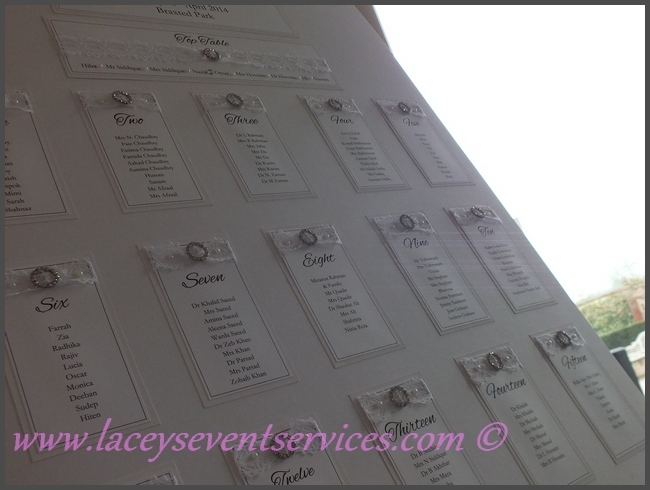 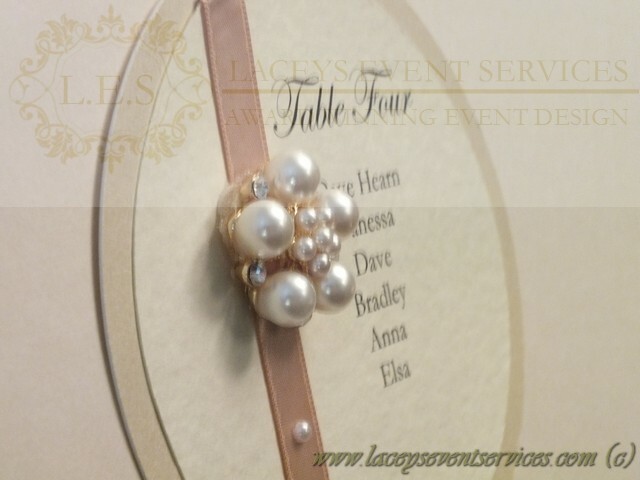 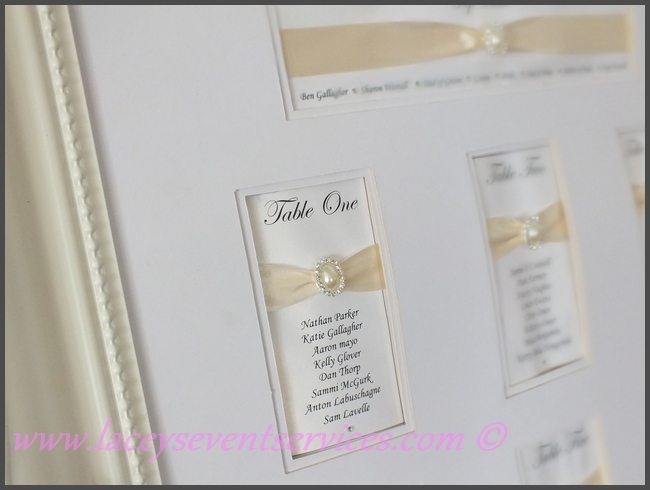 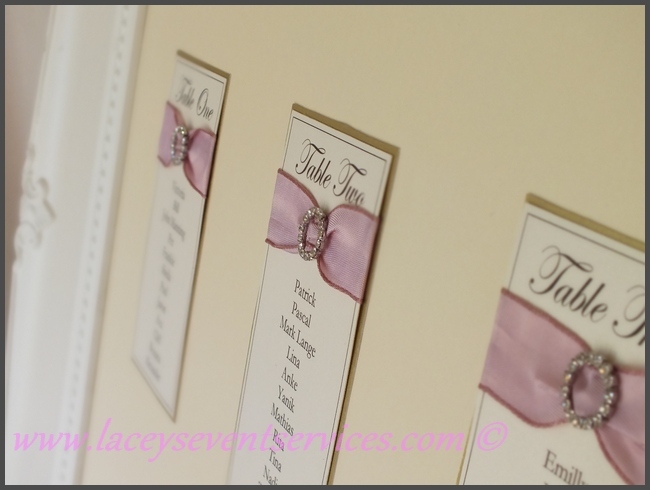 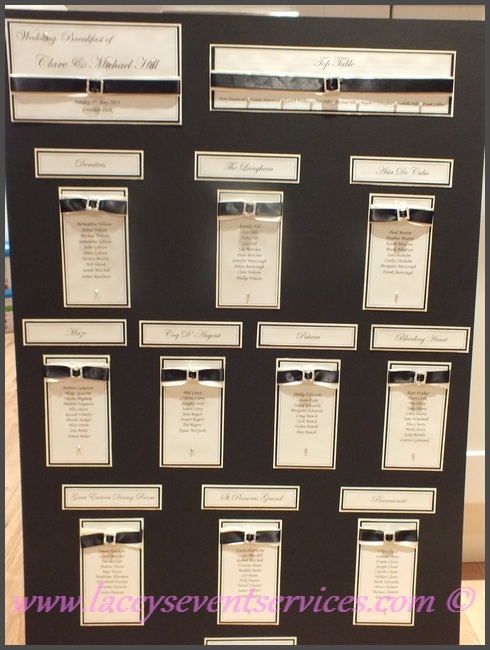 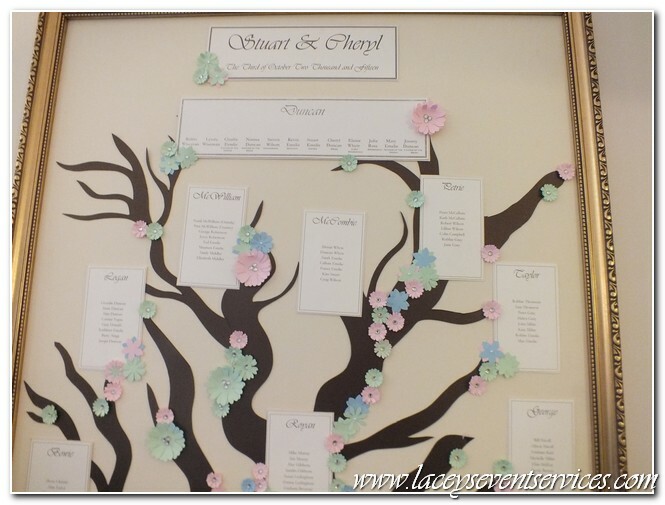 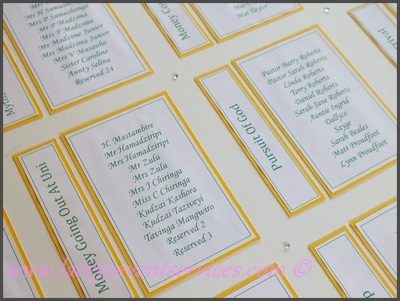 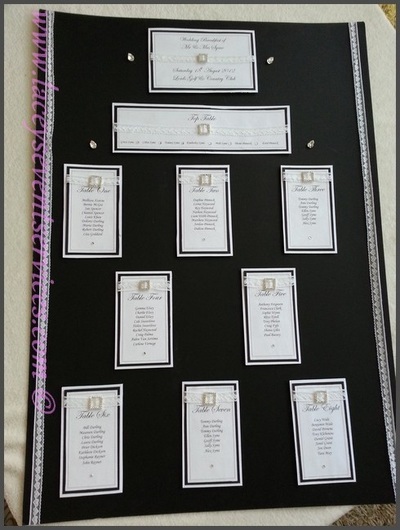 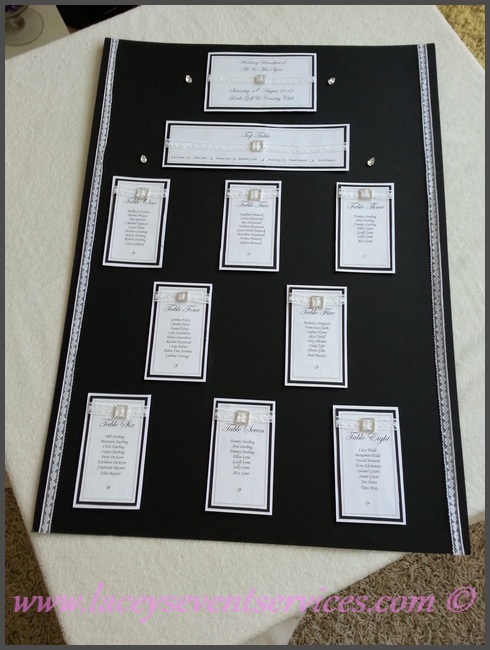 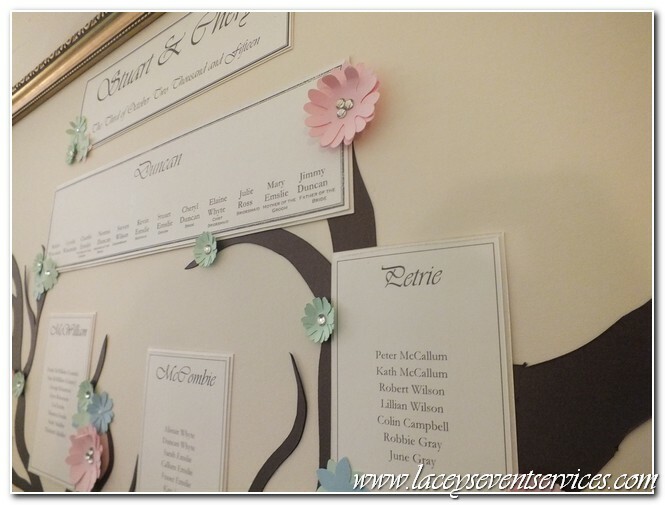 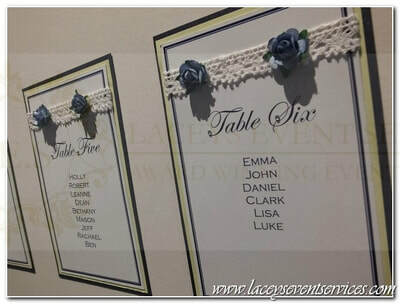 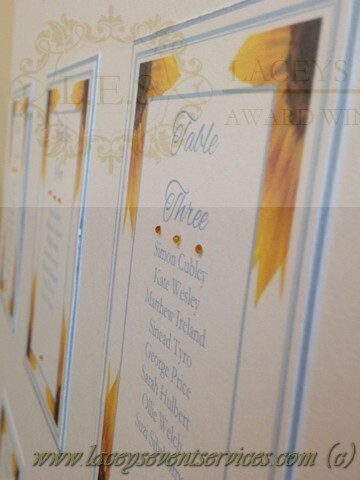 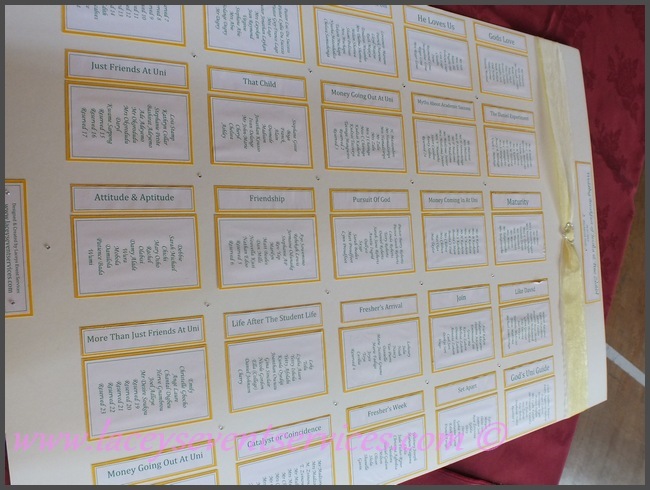 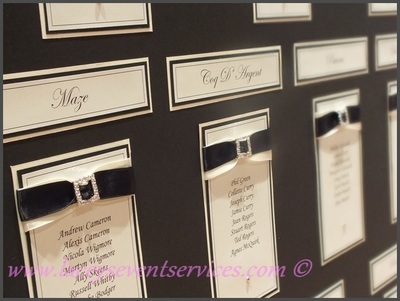 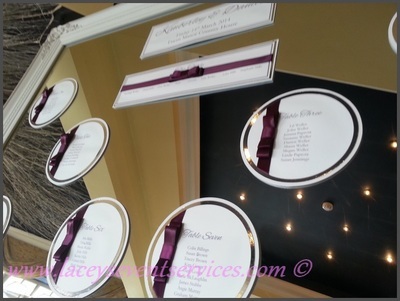 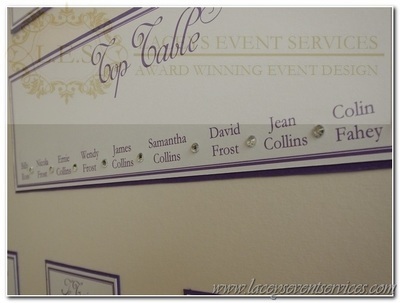 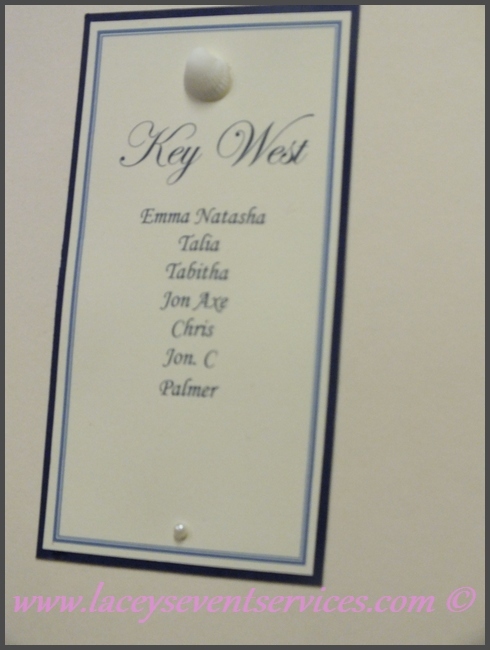 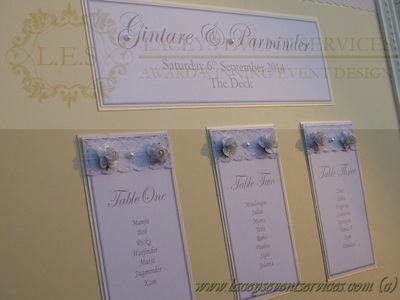 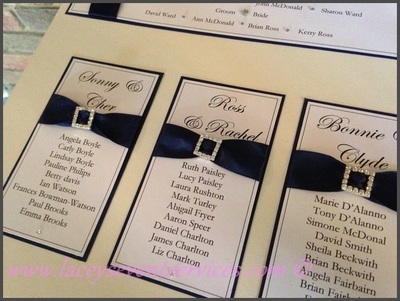 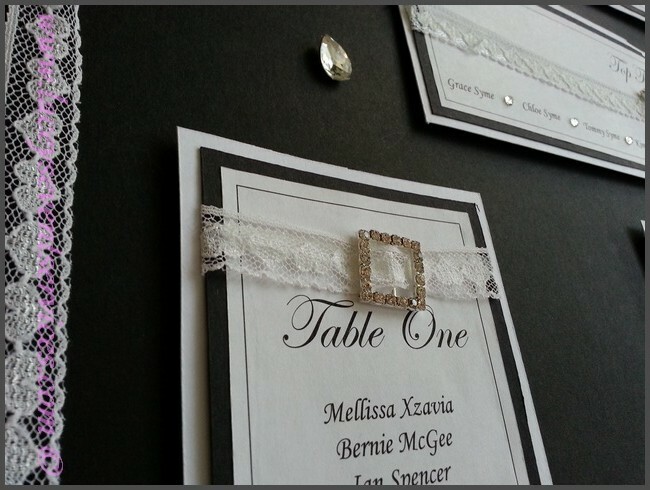 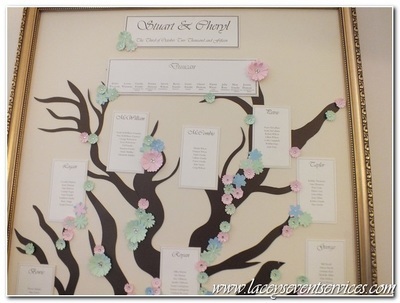 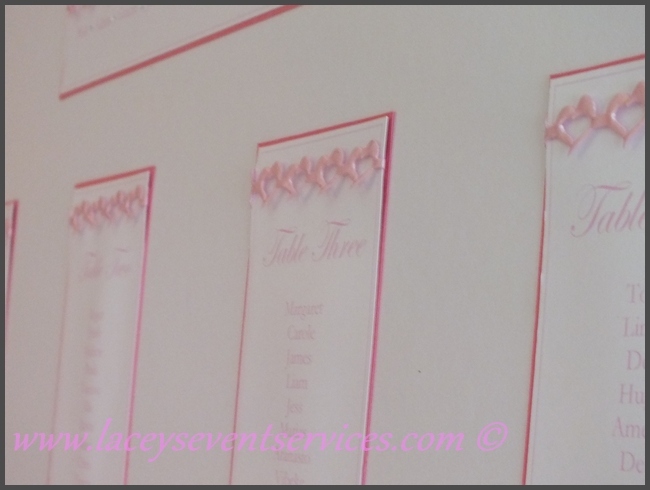 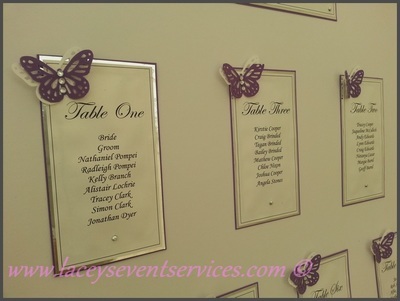 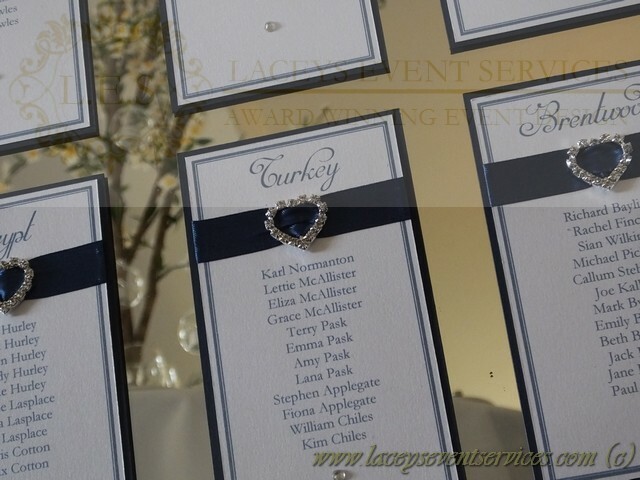 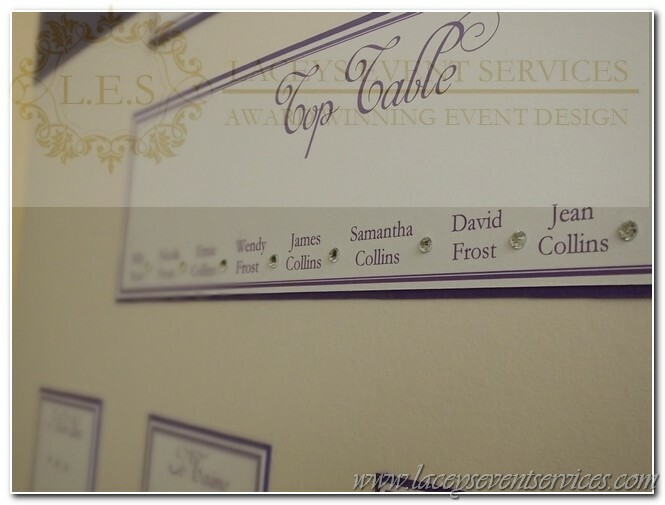 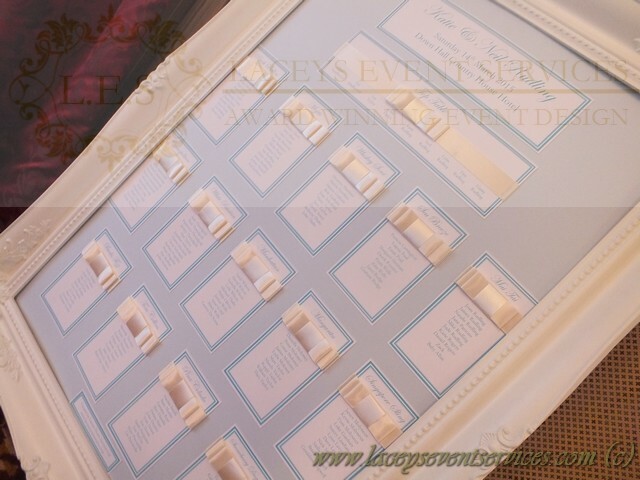 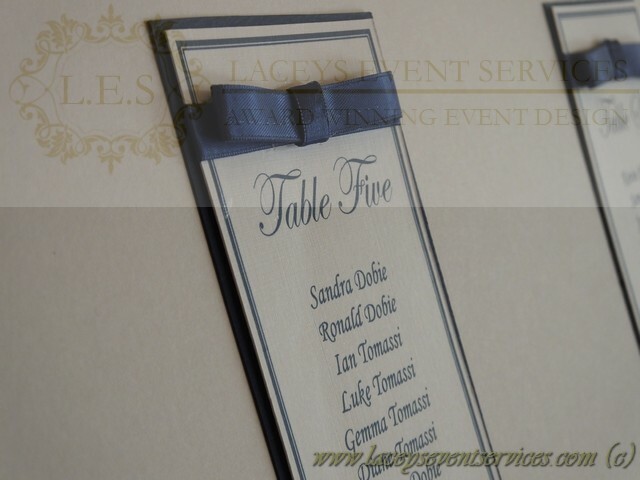 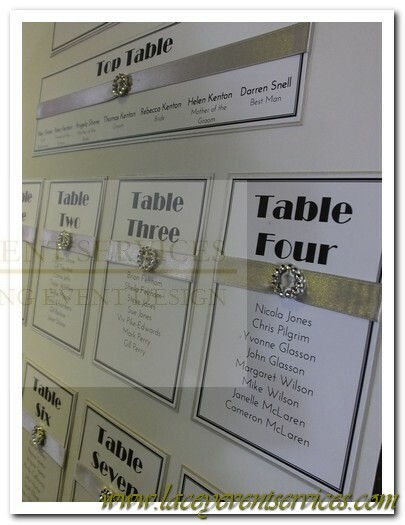 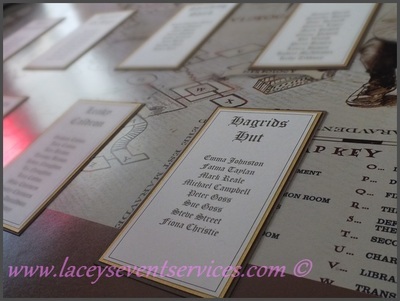 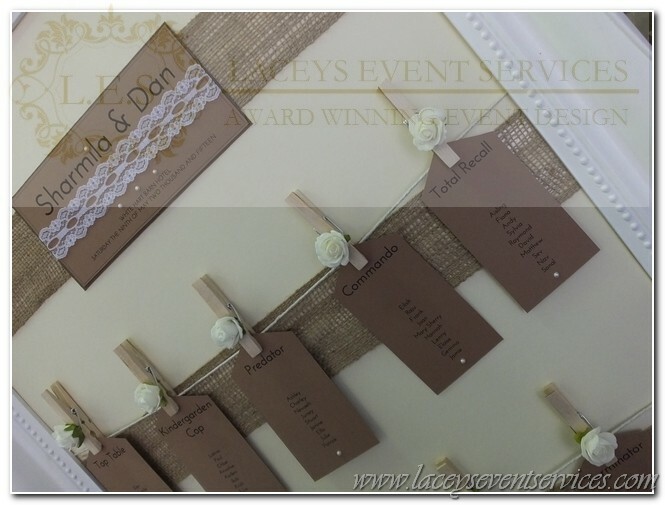 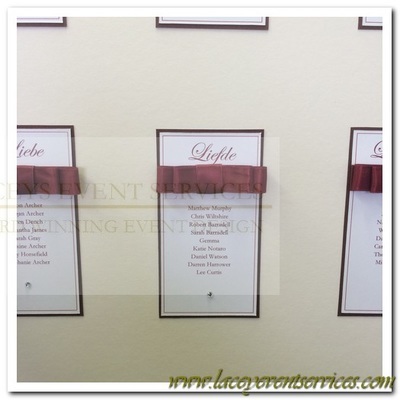 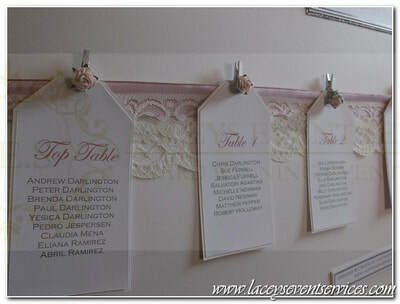 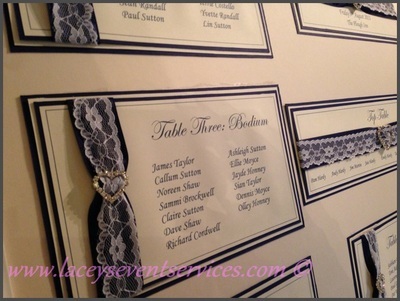 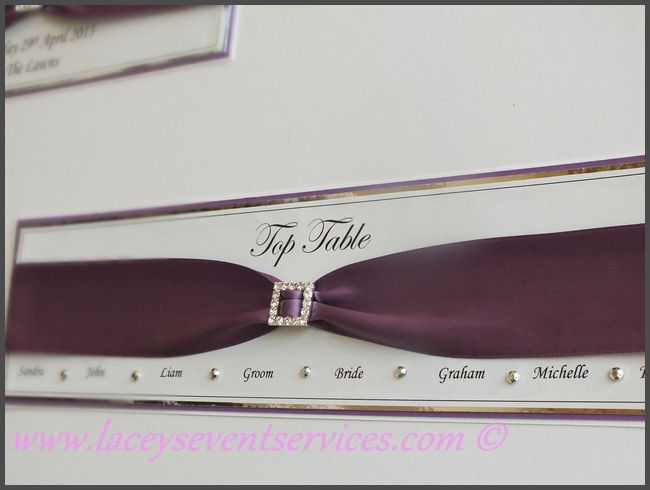 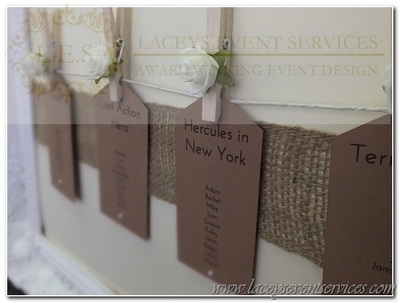 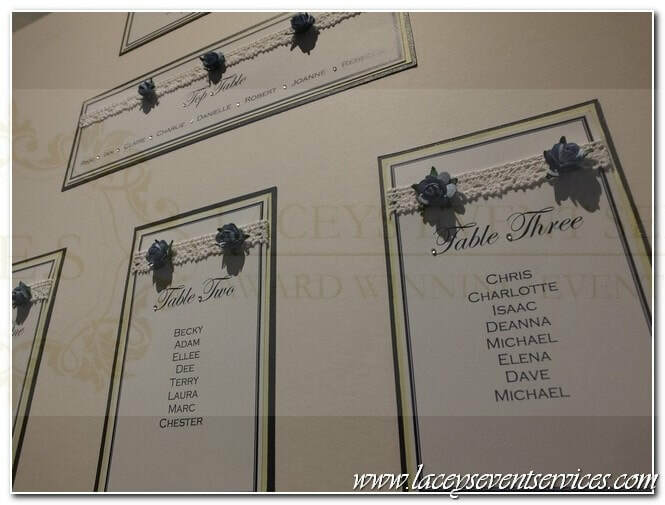 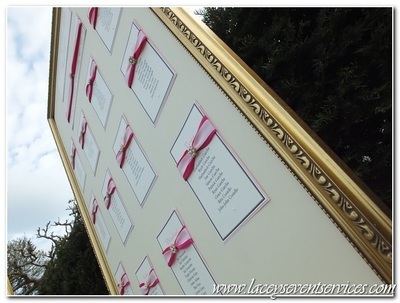 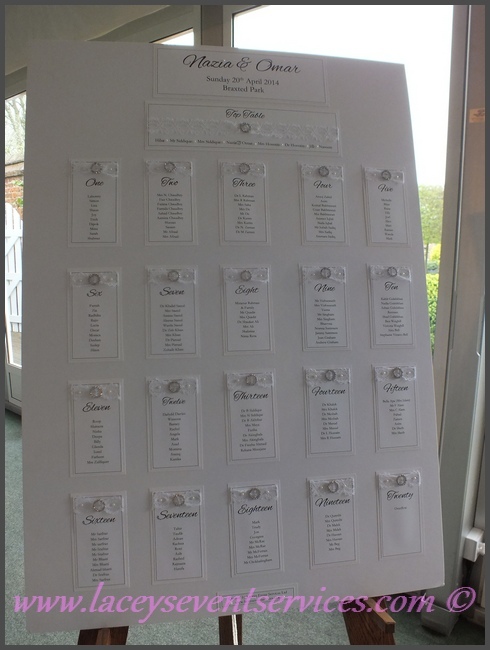 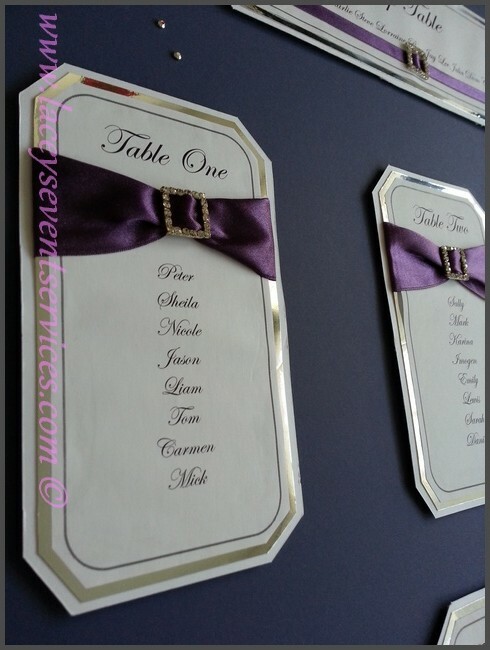 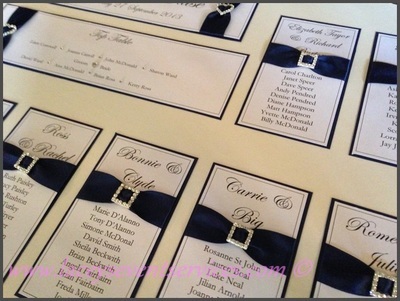 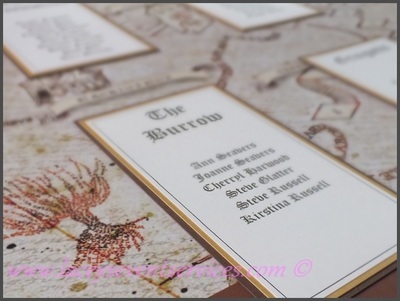 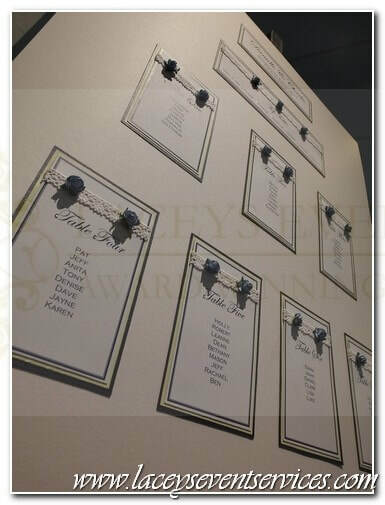 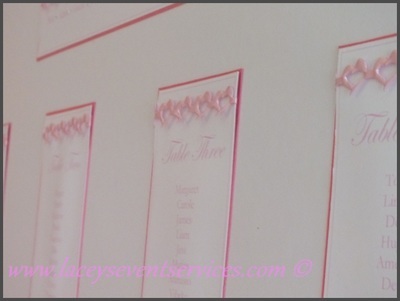 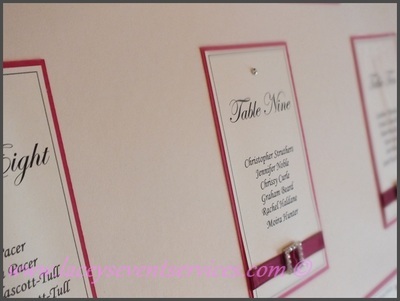 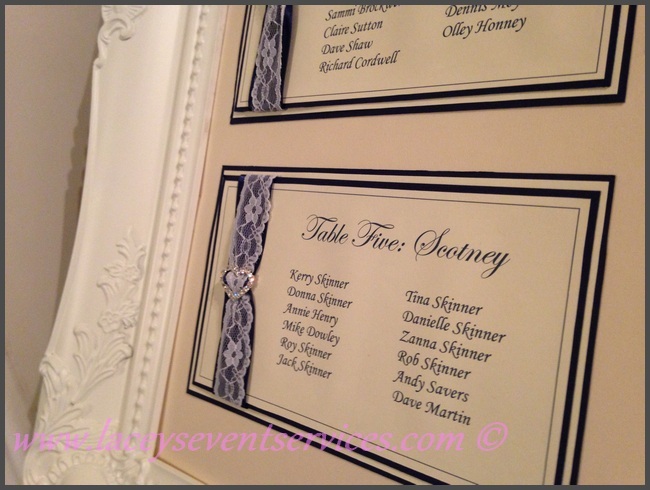 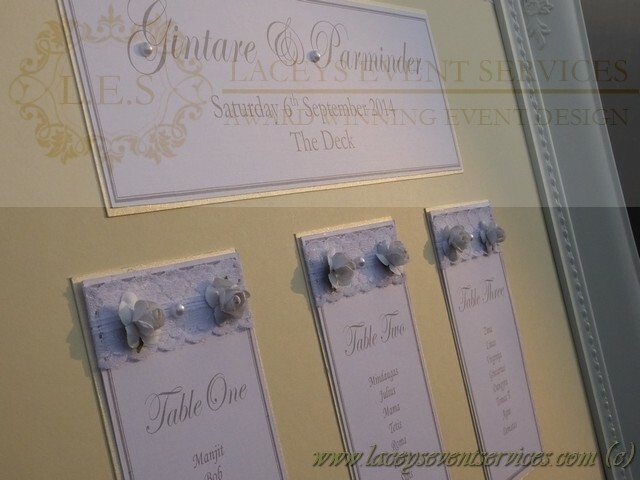 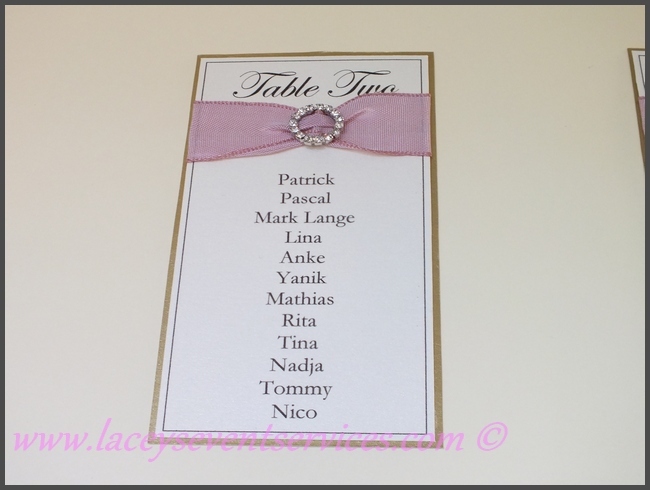 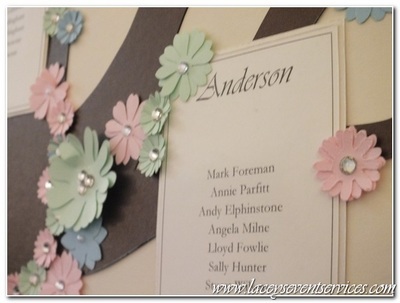 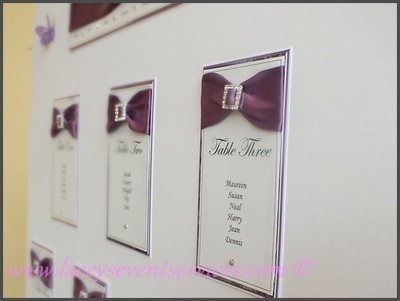 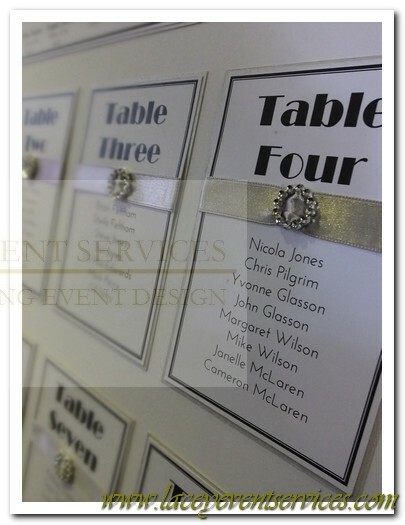 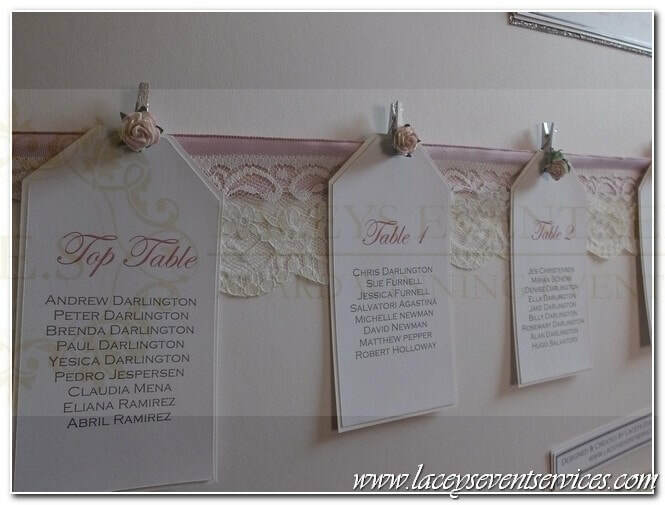 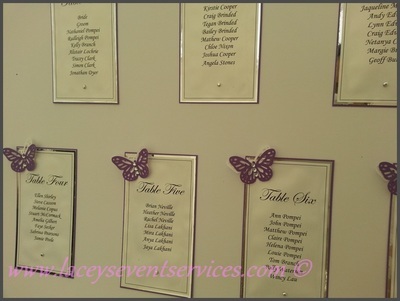 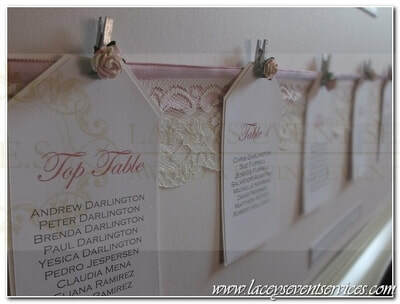 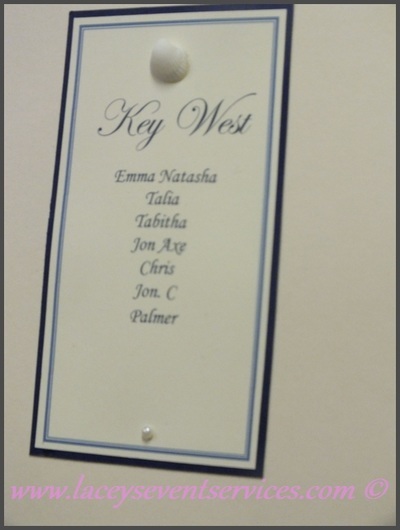 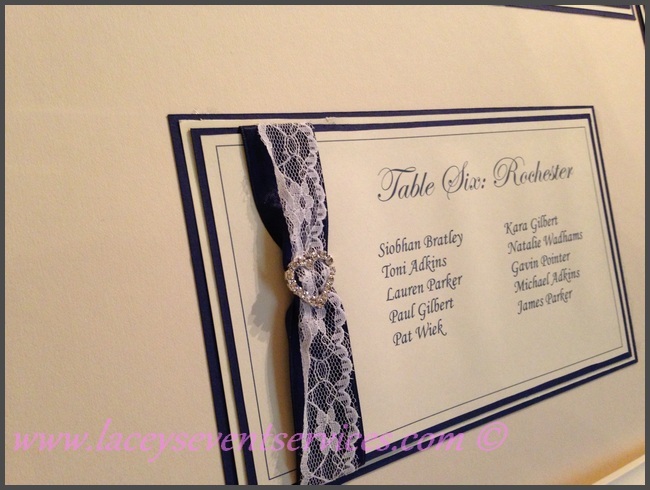 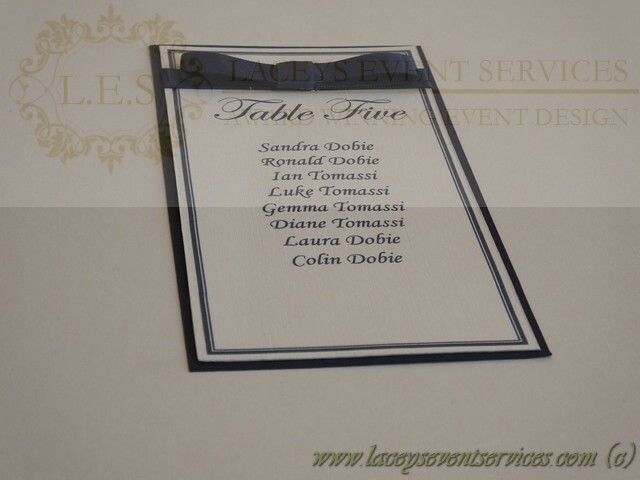 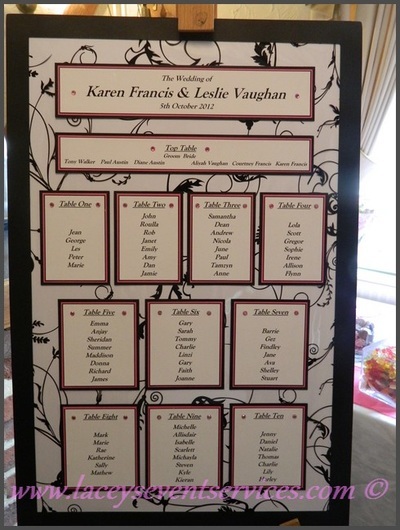 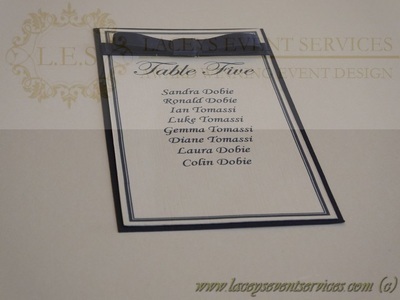 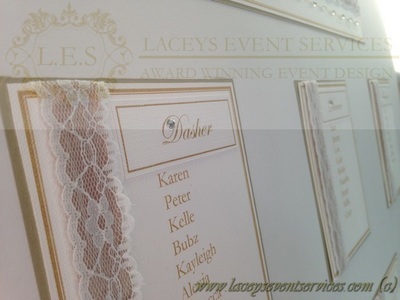 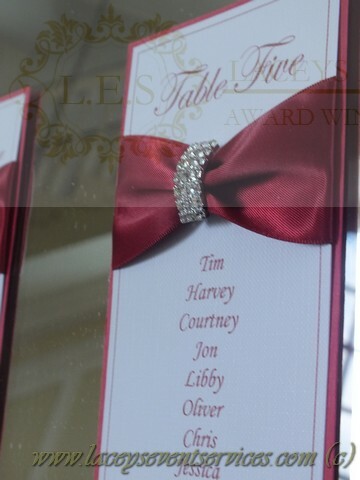 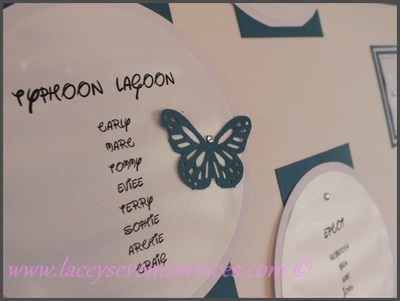 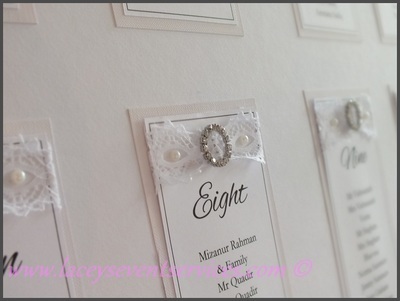 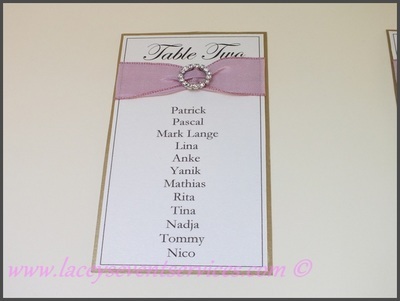 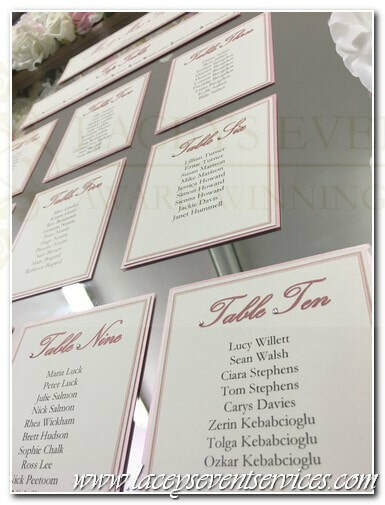 As the Wedding table plan is the first thing your guests will see and every wedding guest will be studying it closely it deserves just as much attention to detail as the rest of your decor. 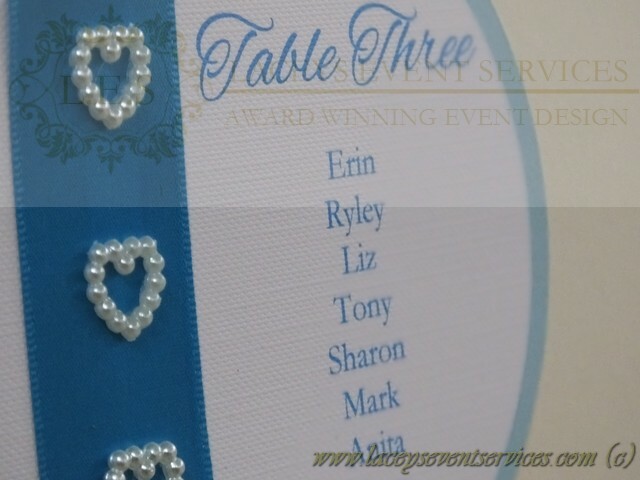 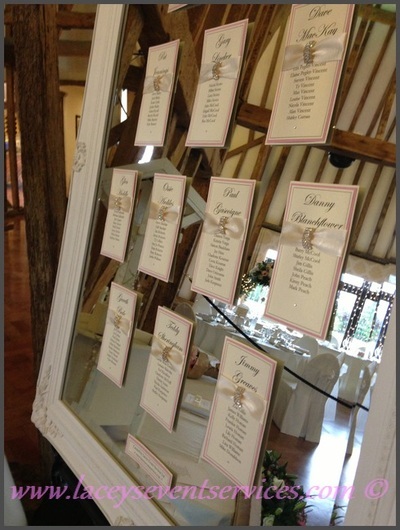 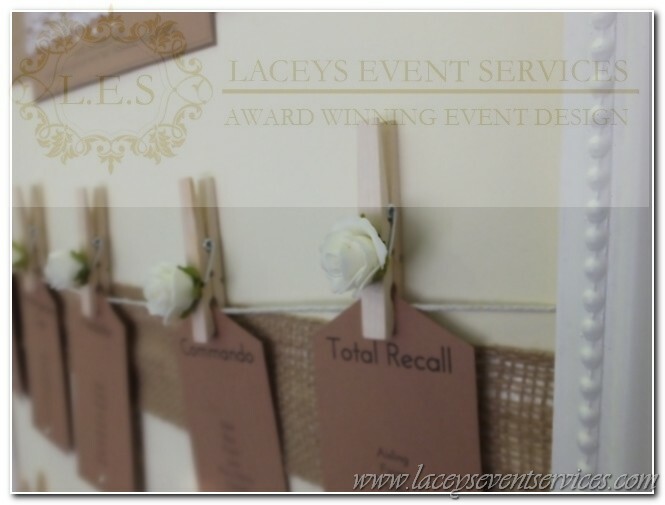 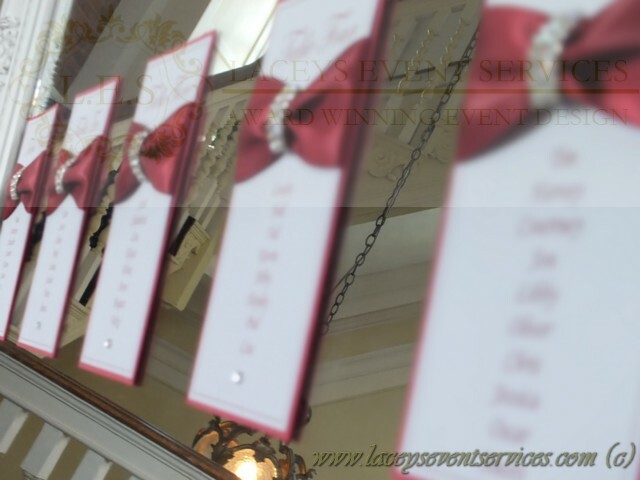 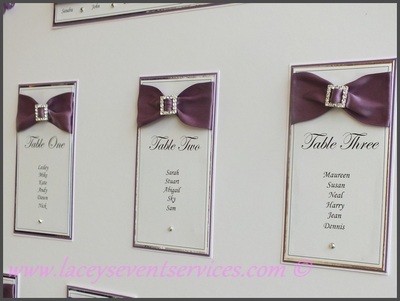 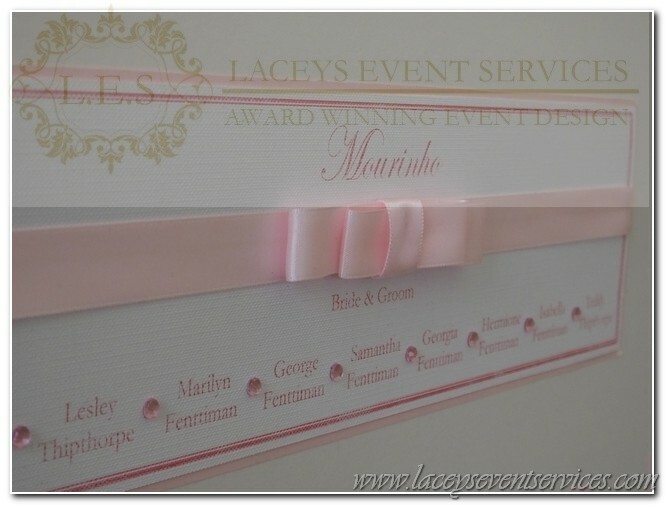 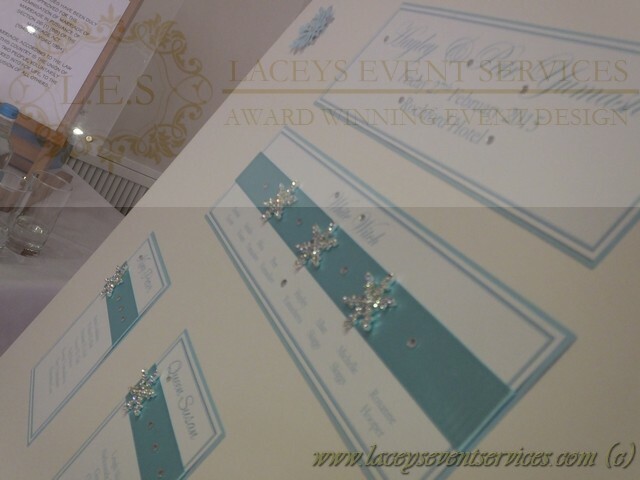 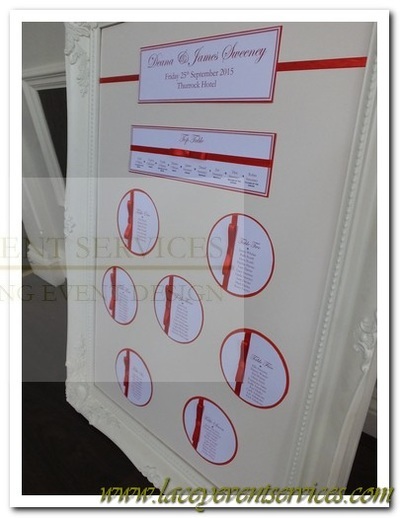 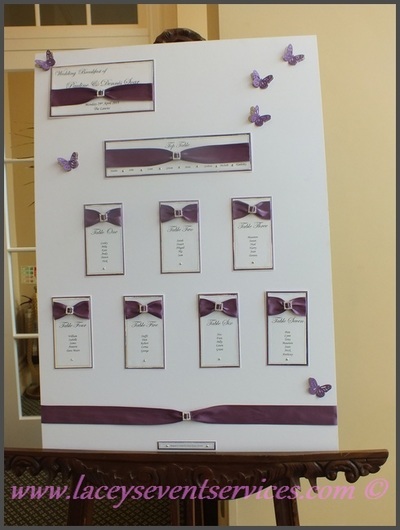 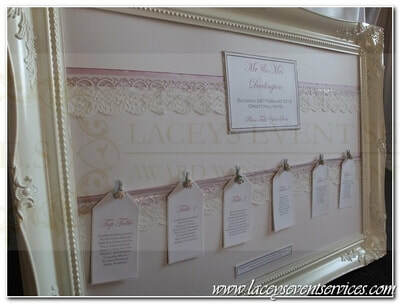 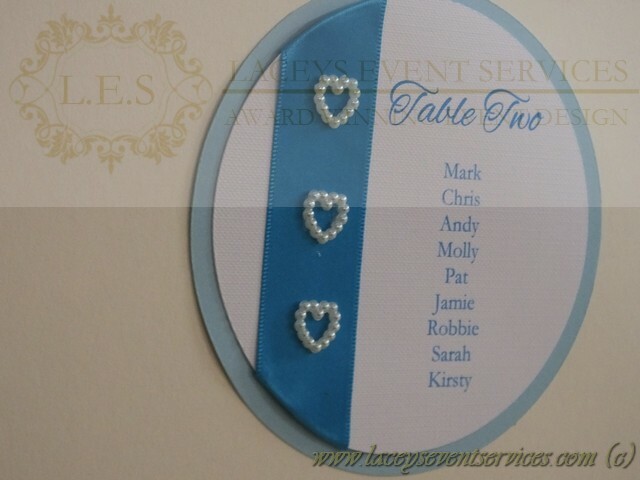 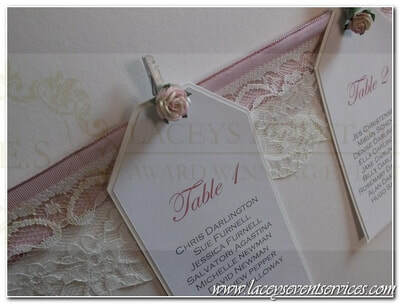 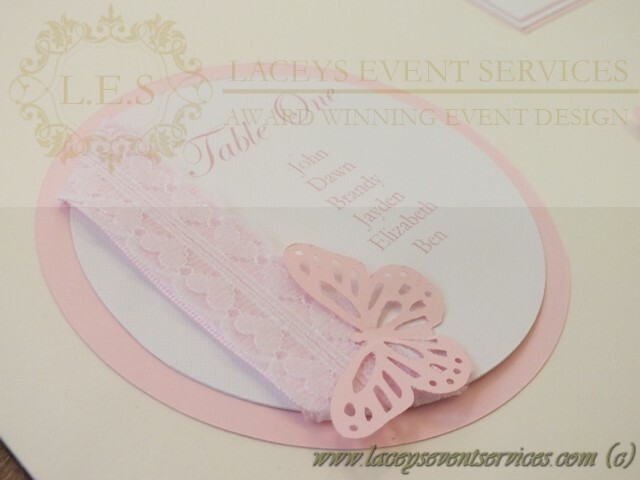 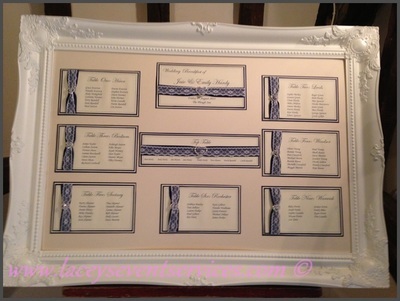 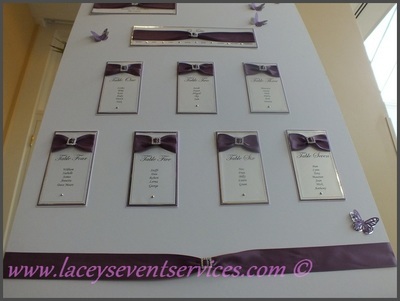 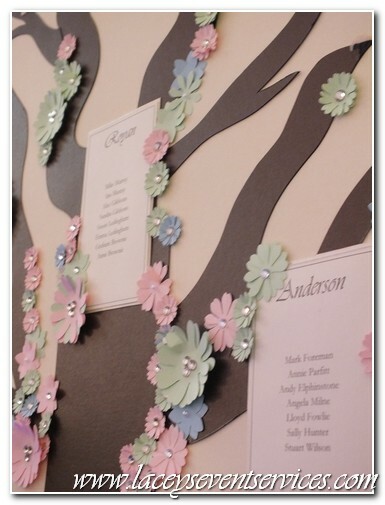 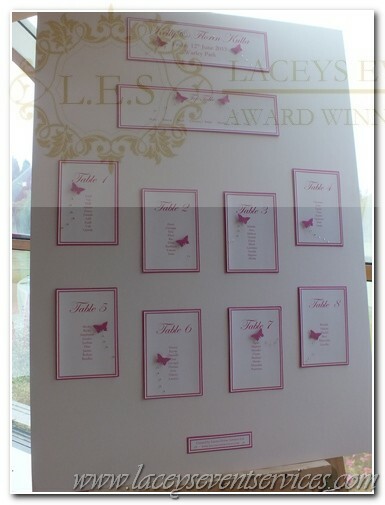 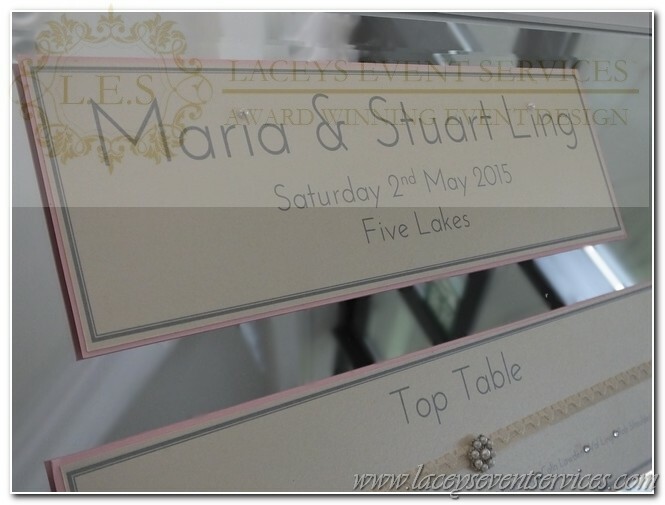 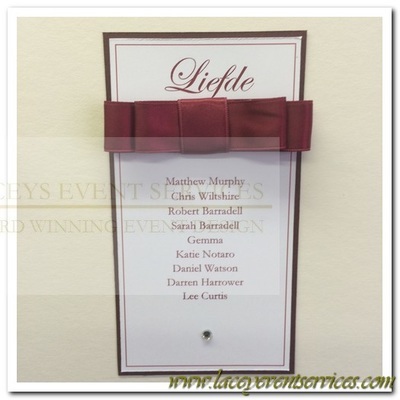 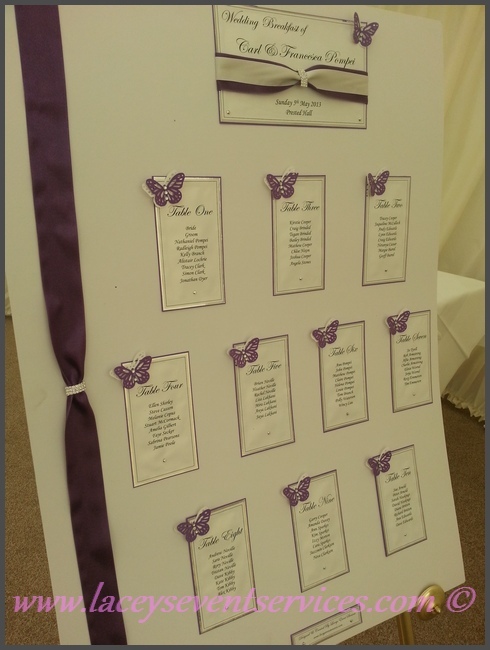 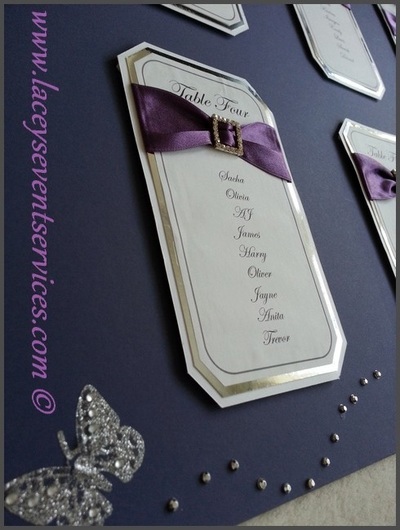 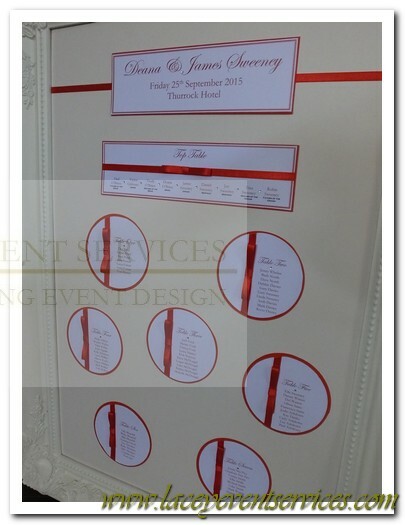 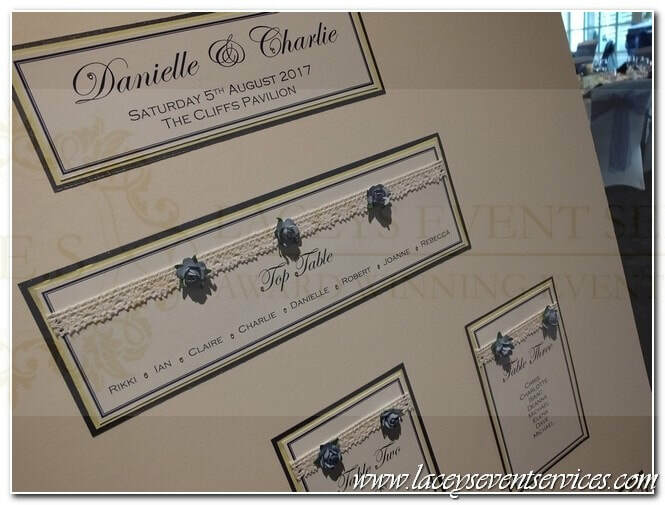 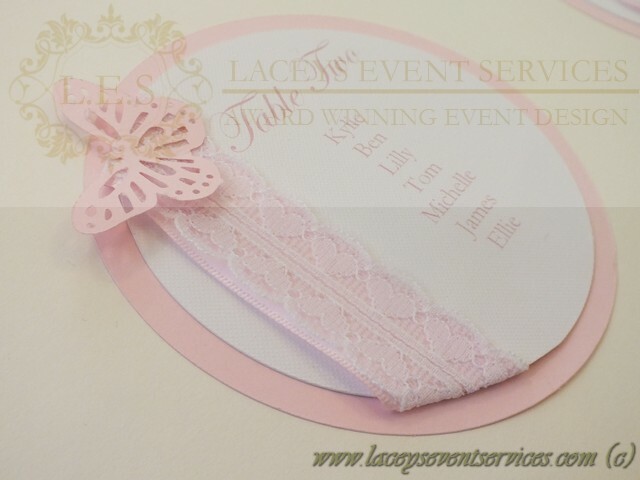 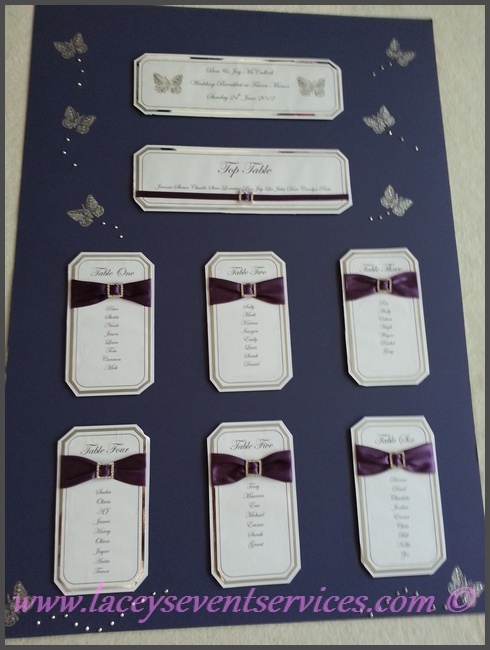 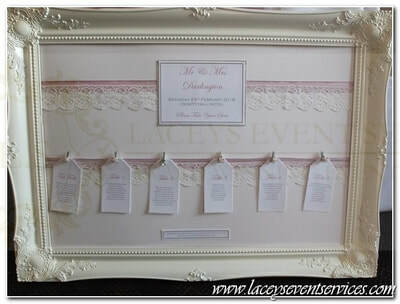 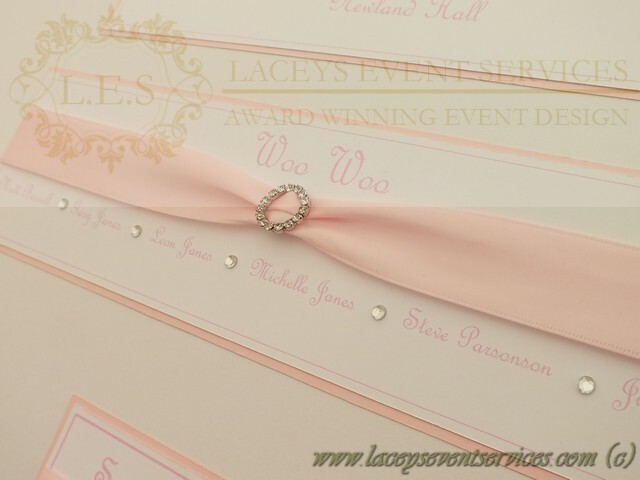 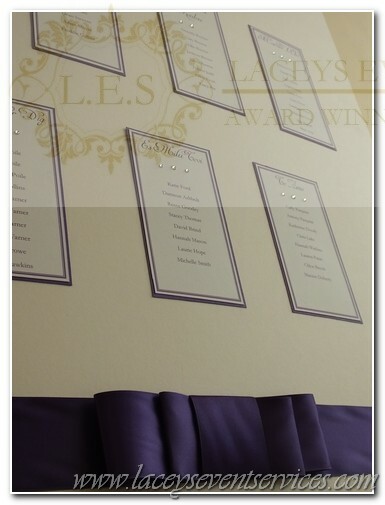 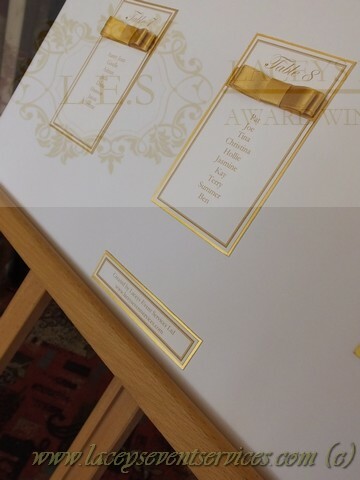 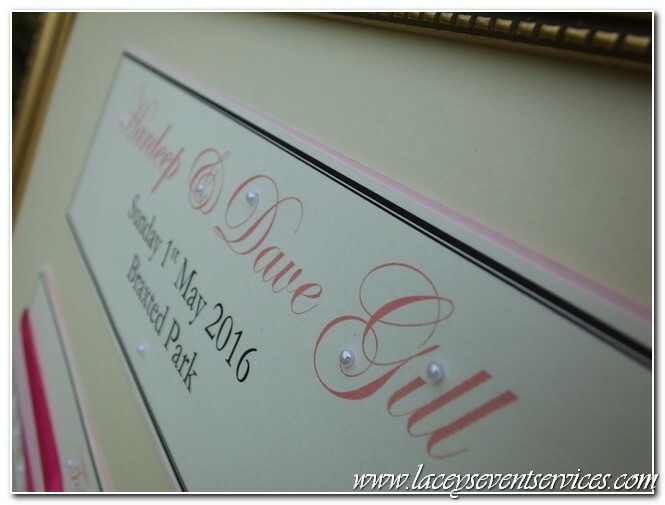 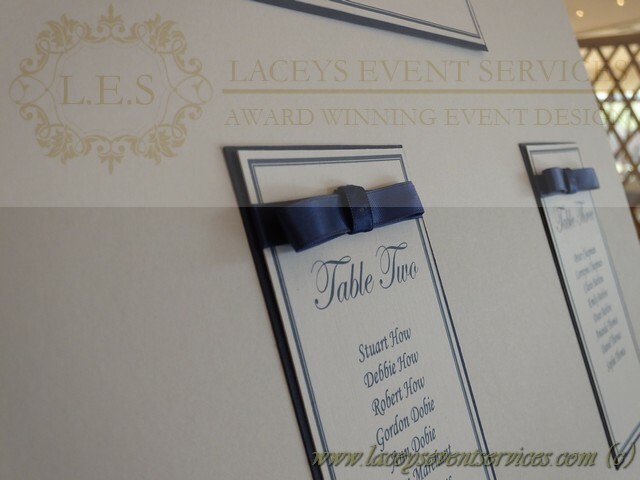 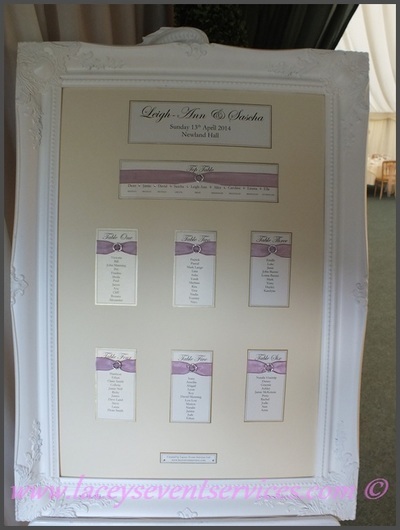 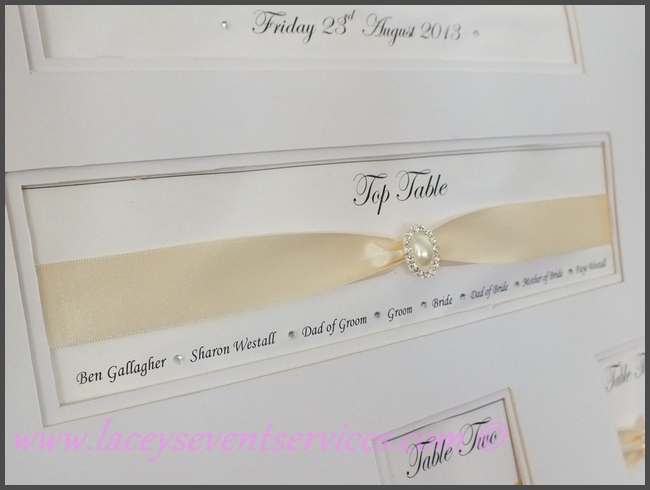 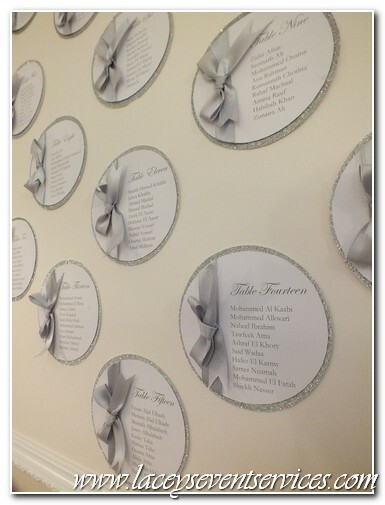 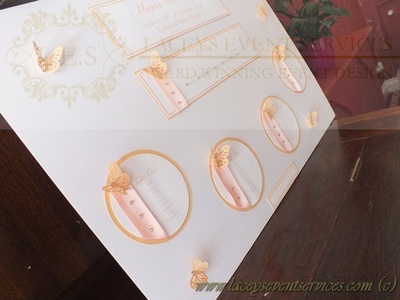 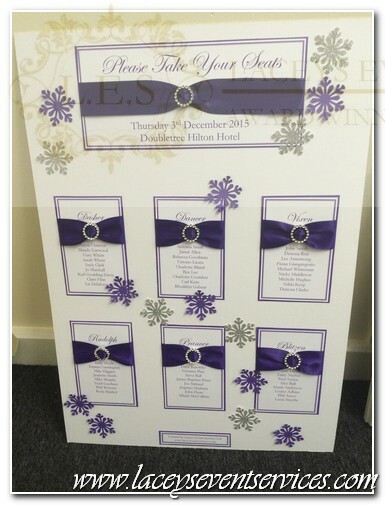 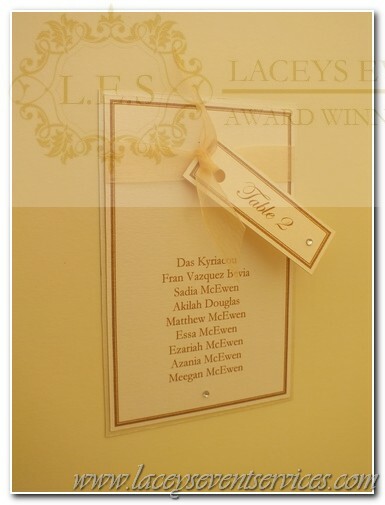 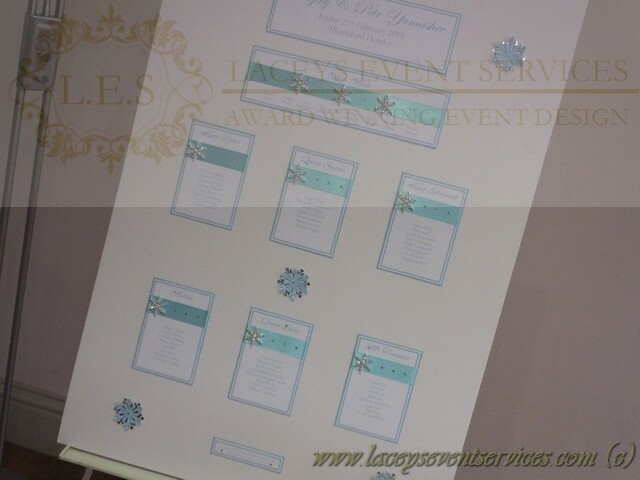 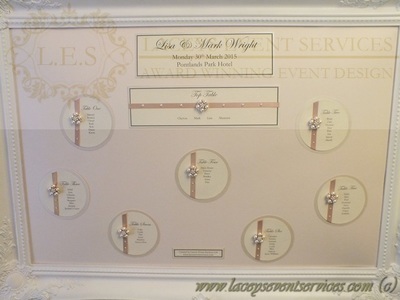 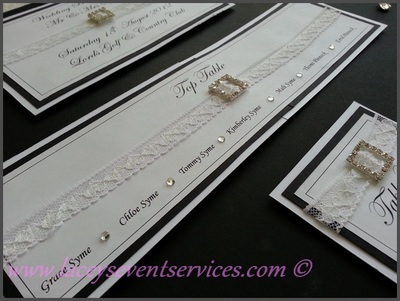 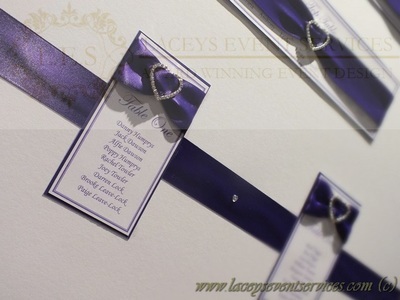 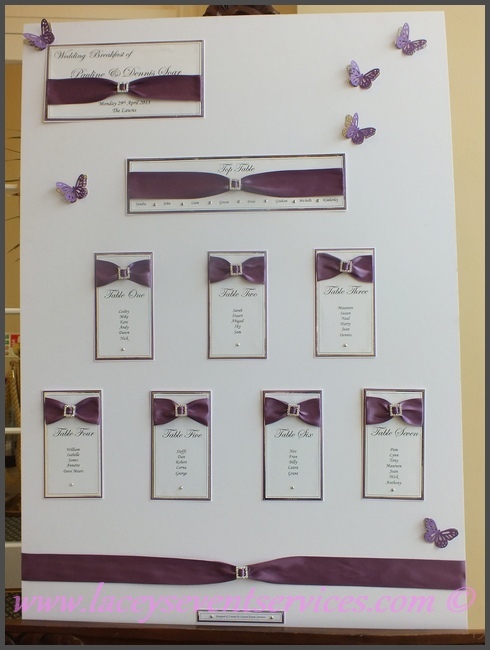 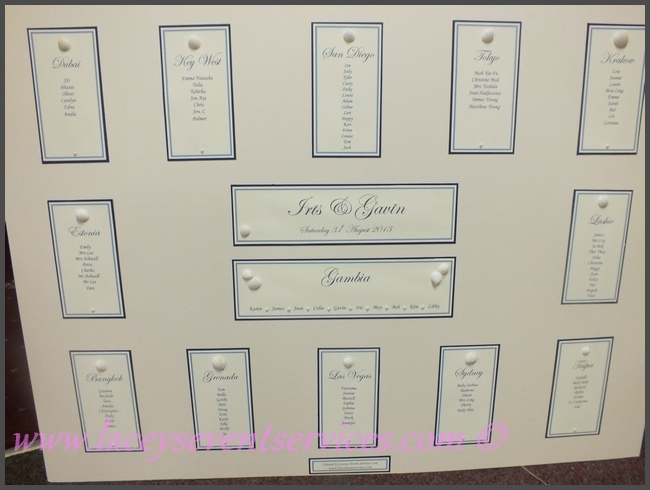 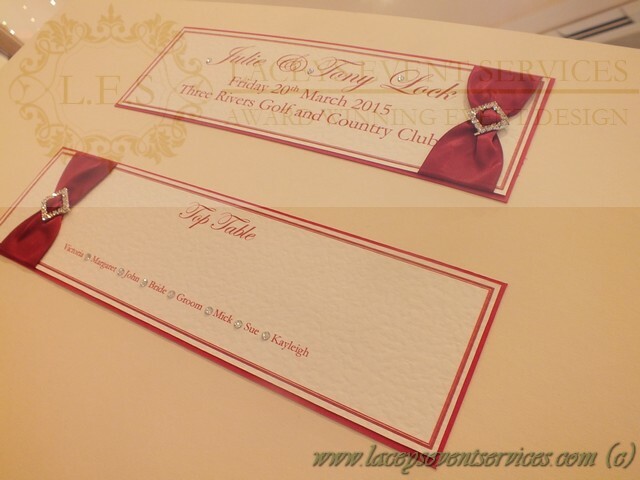 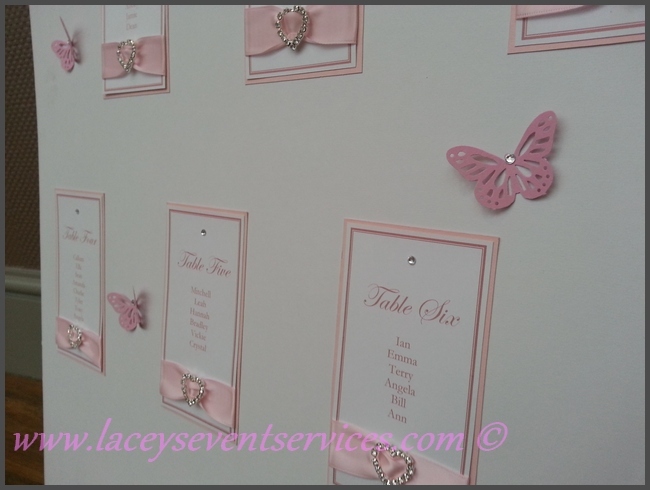 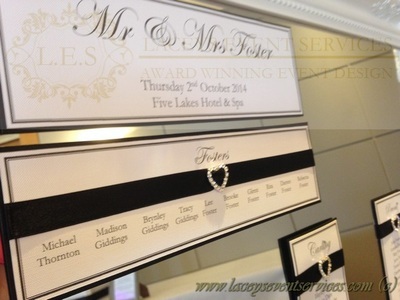 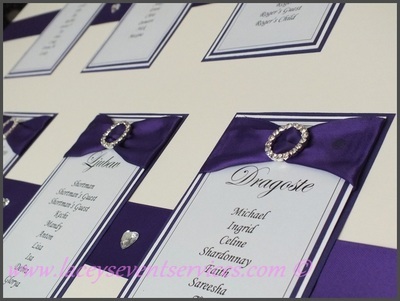 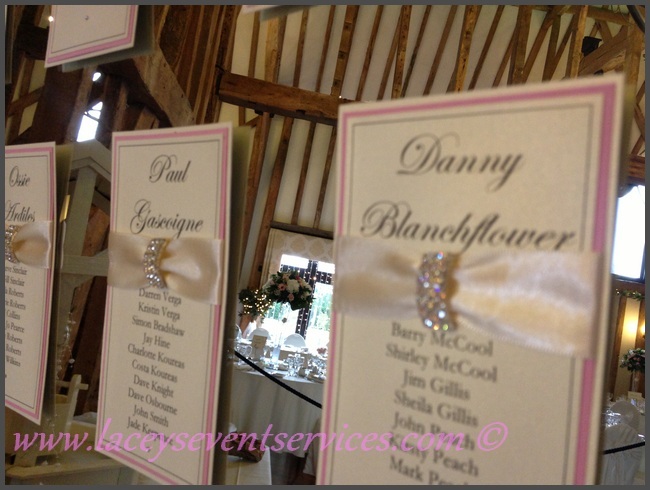 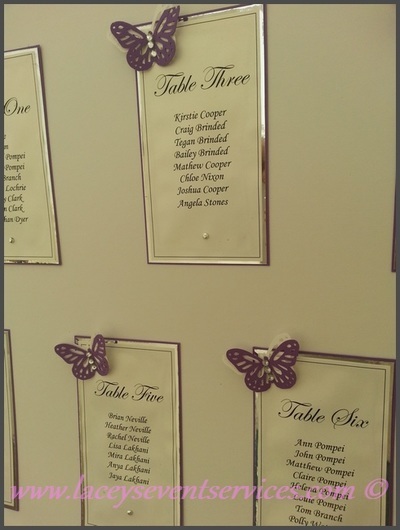 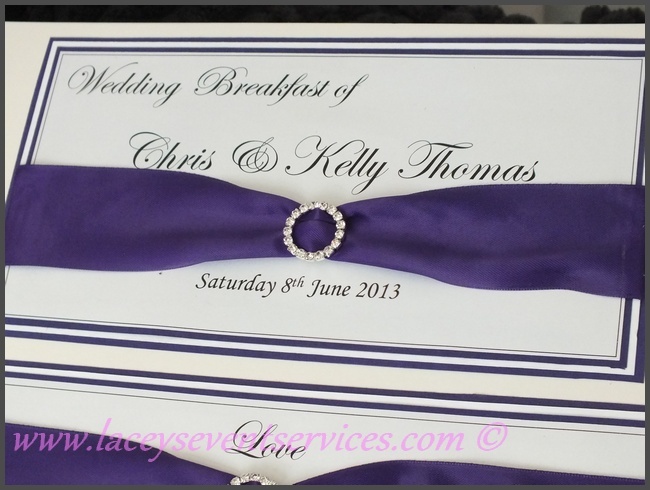 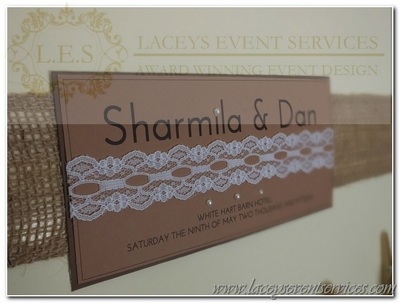 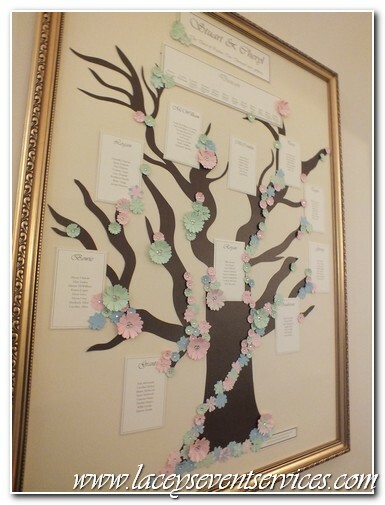 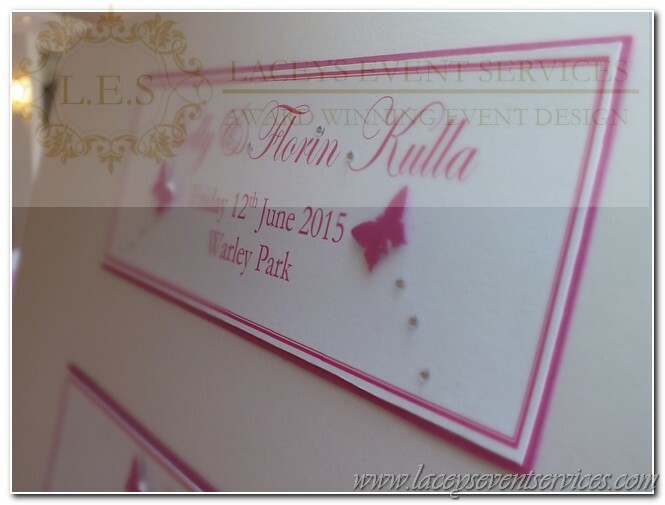 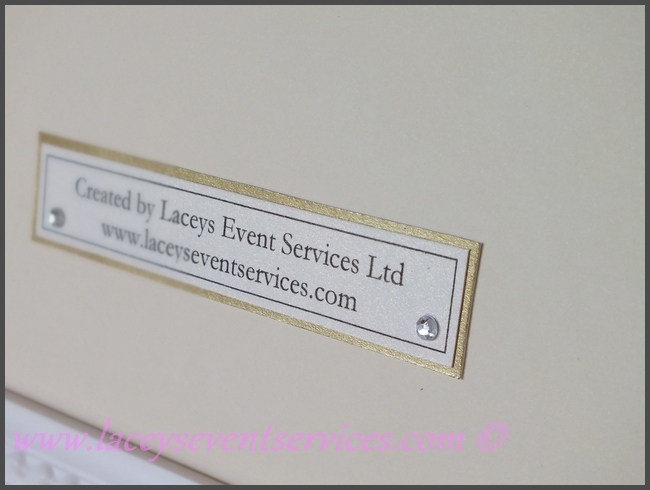 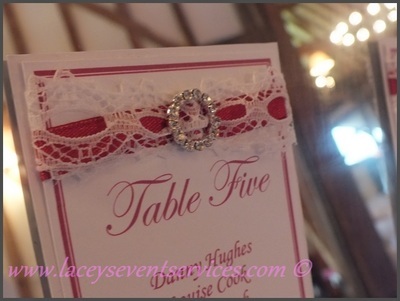 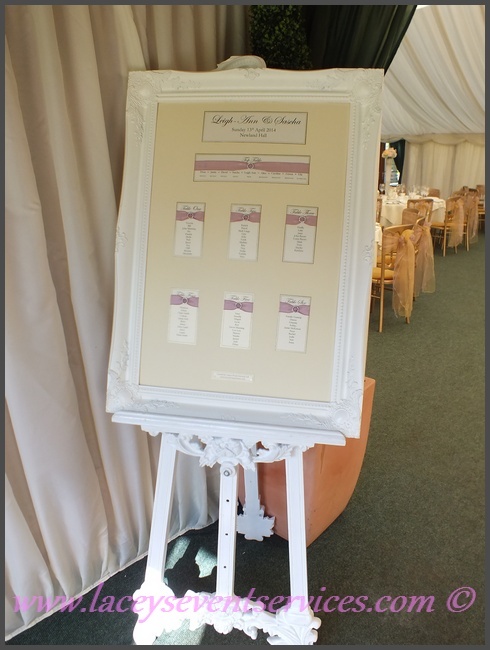 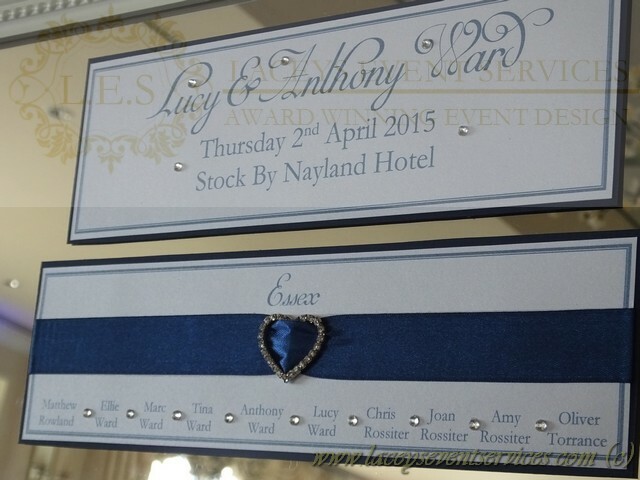 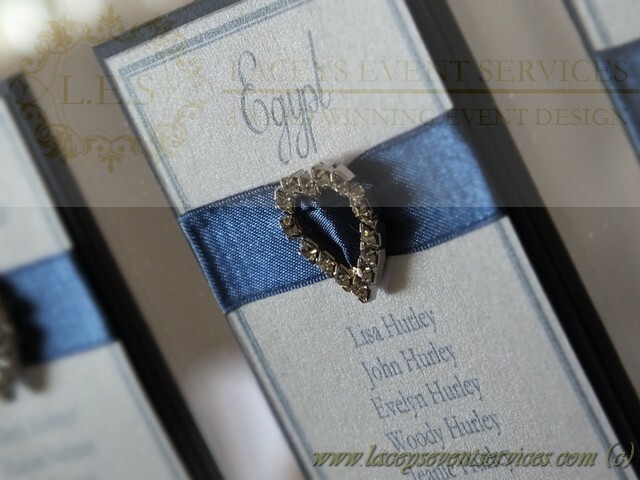 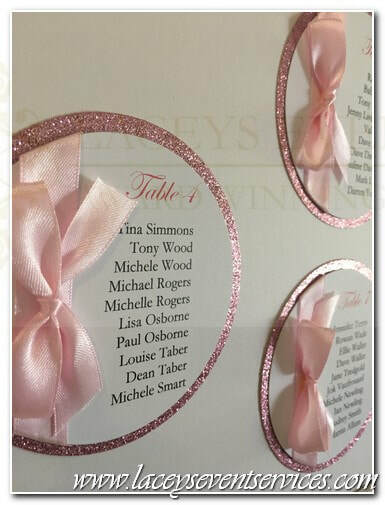 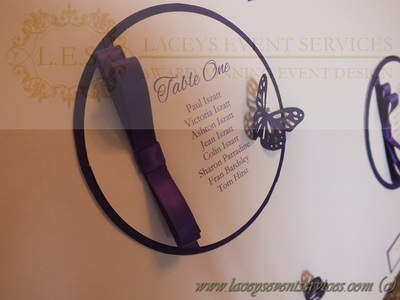 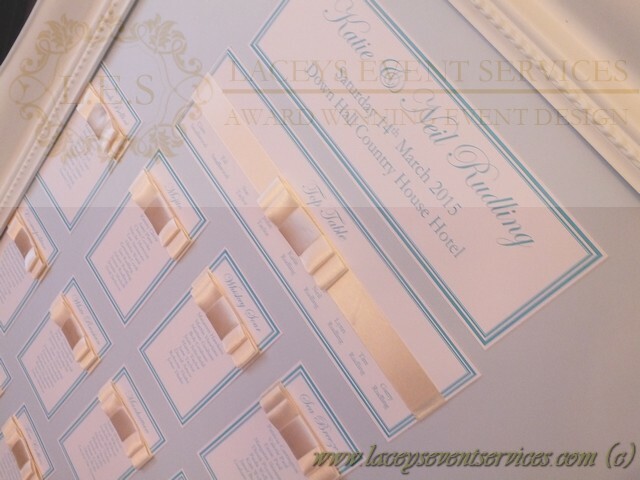 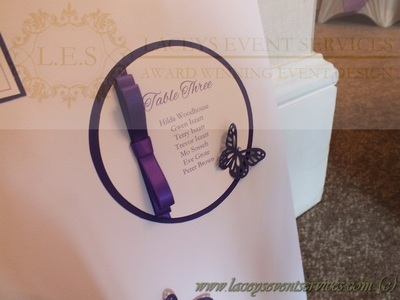 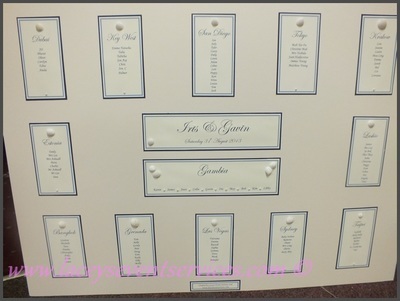 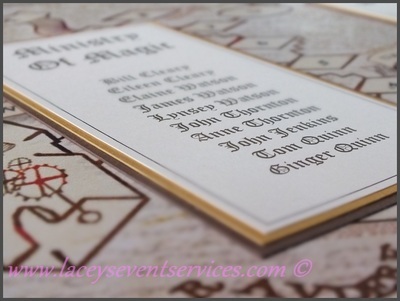 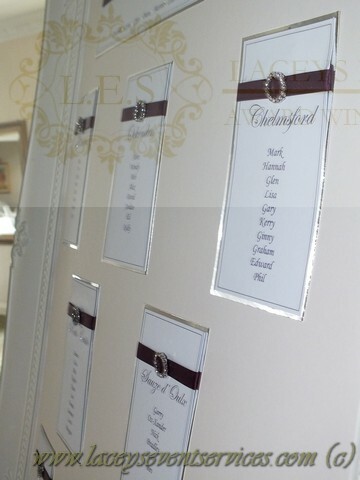 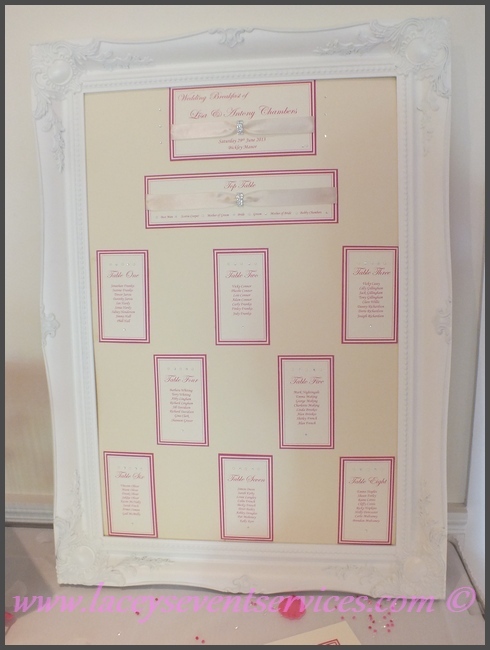 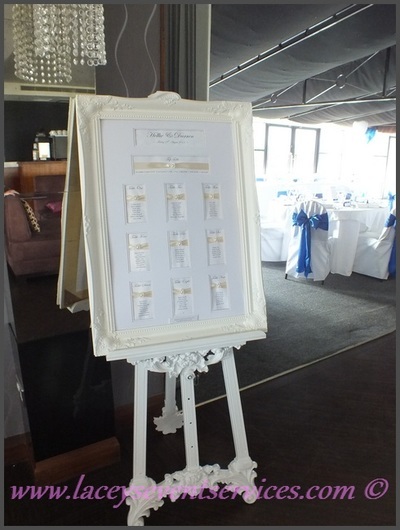 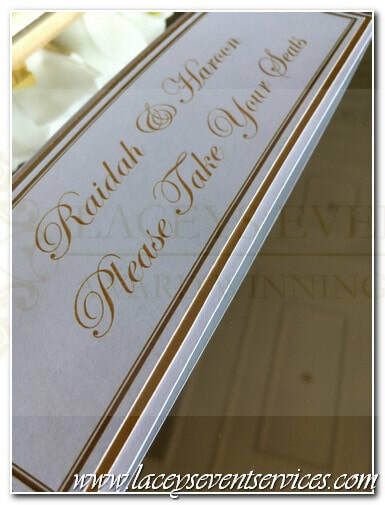 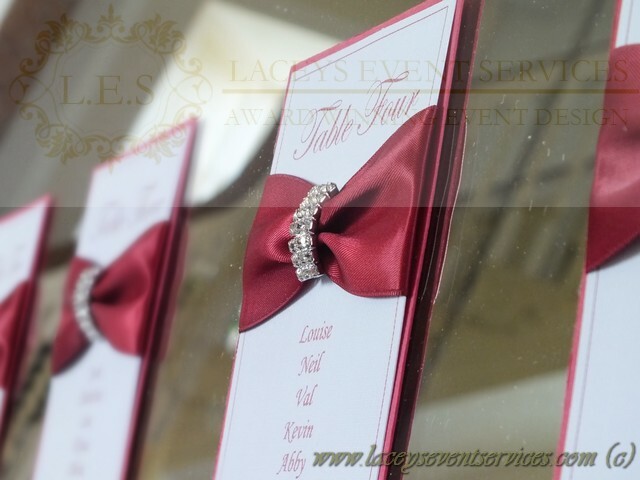 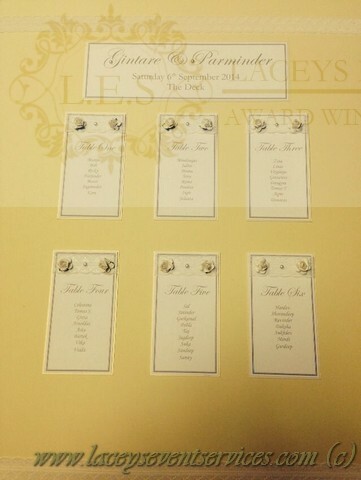 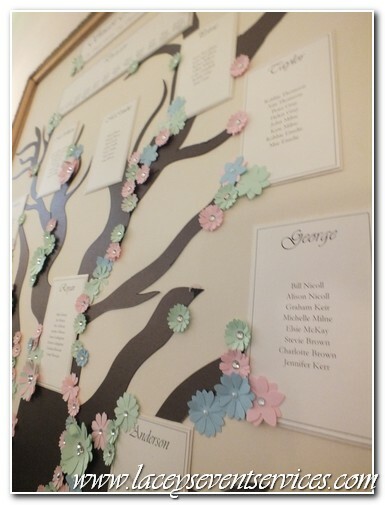 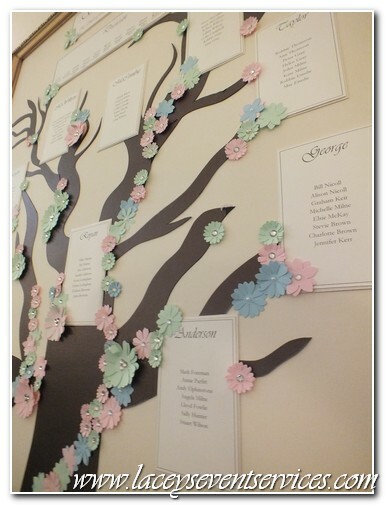 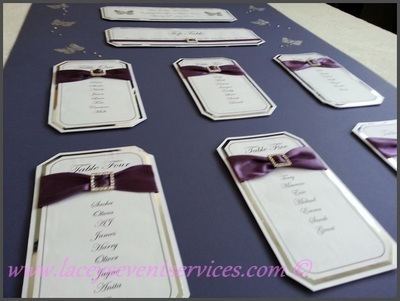 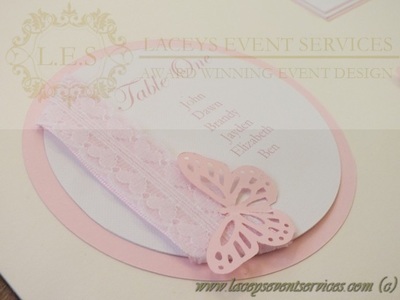 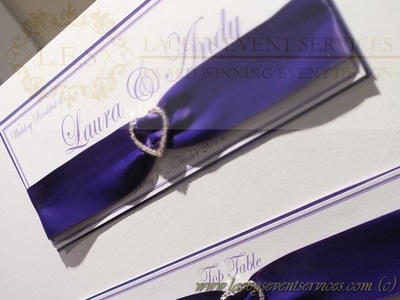 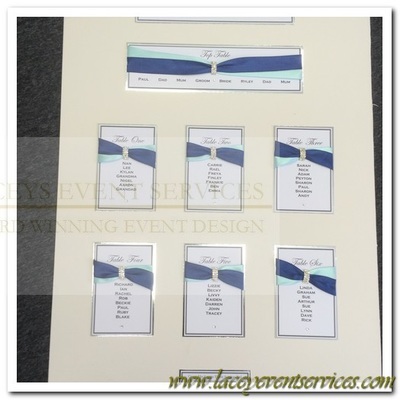 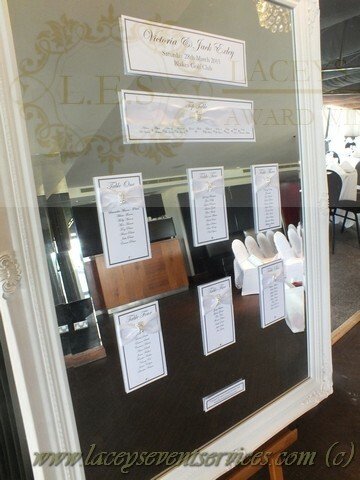 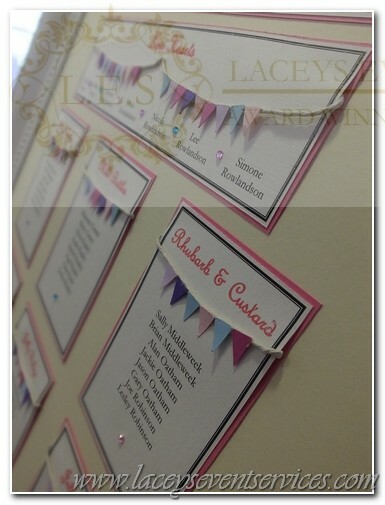 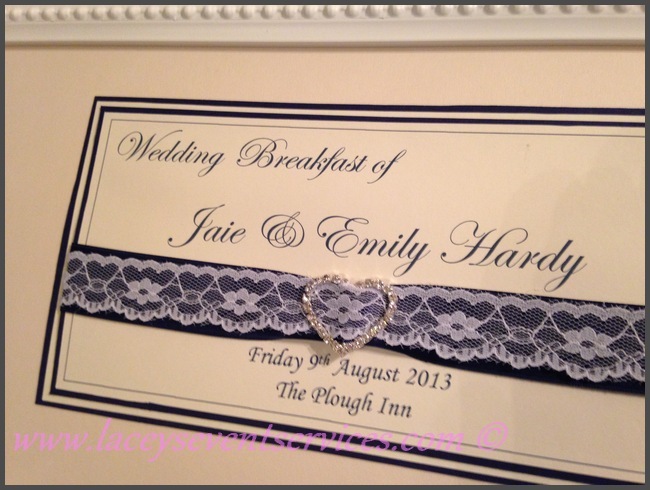 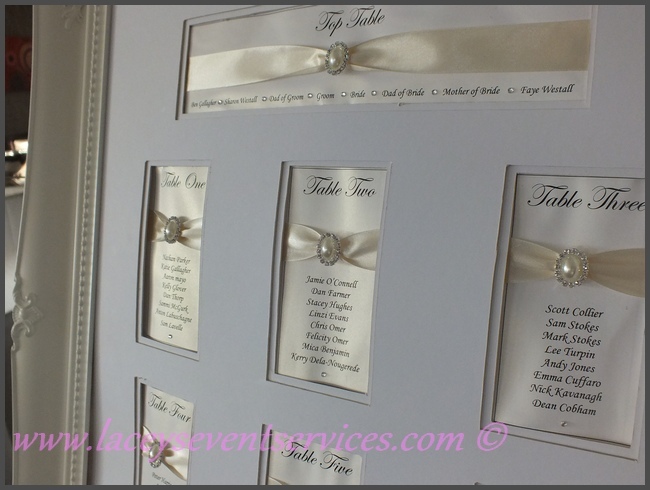 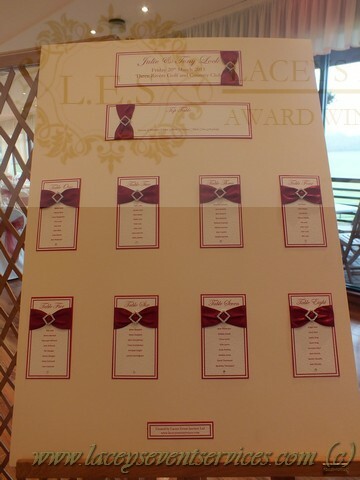 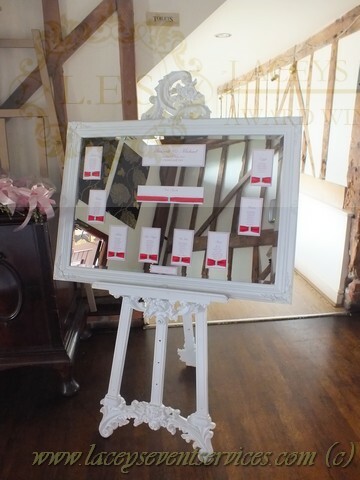 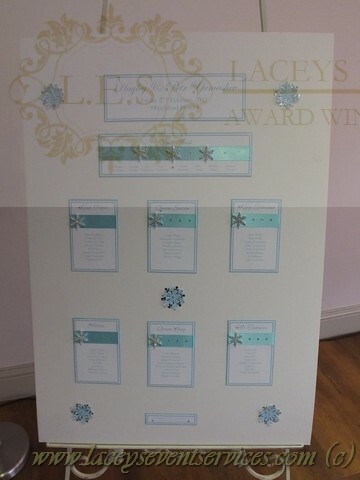 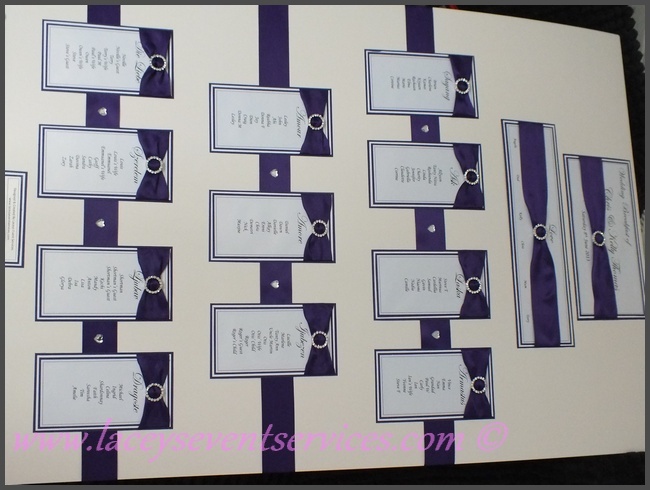 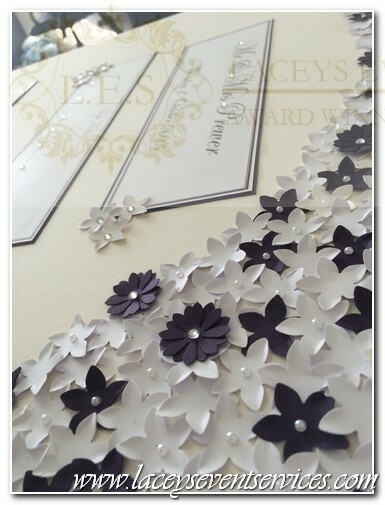 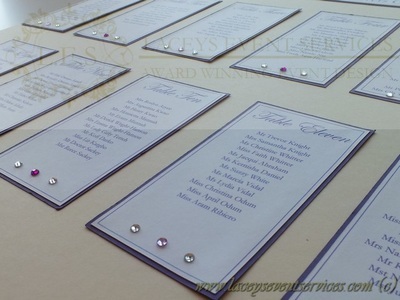 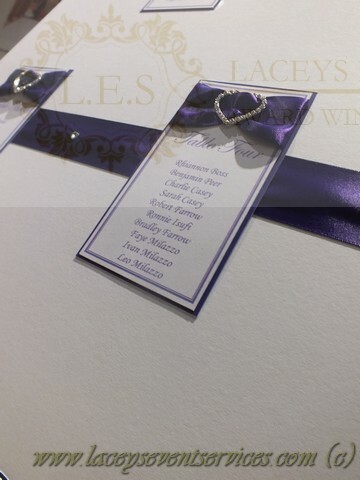 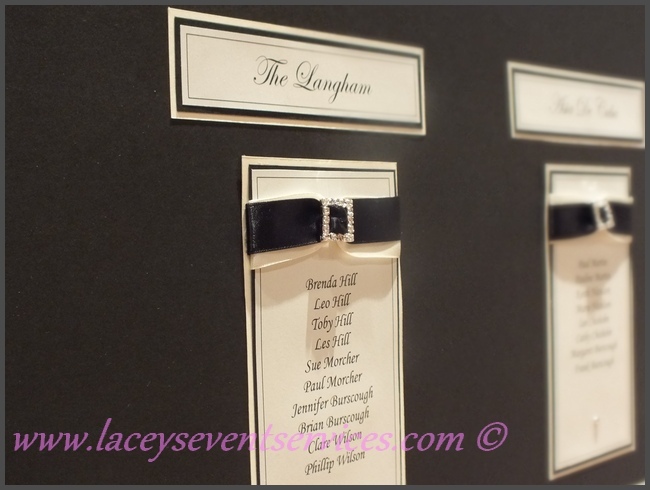 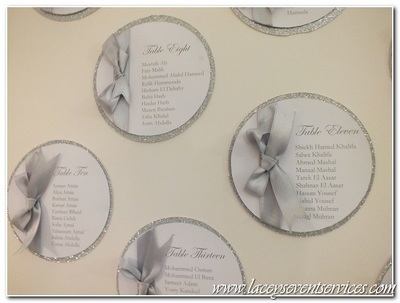 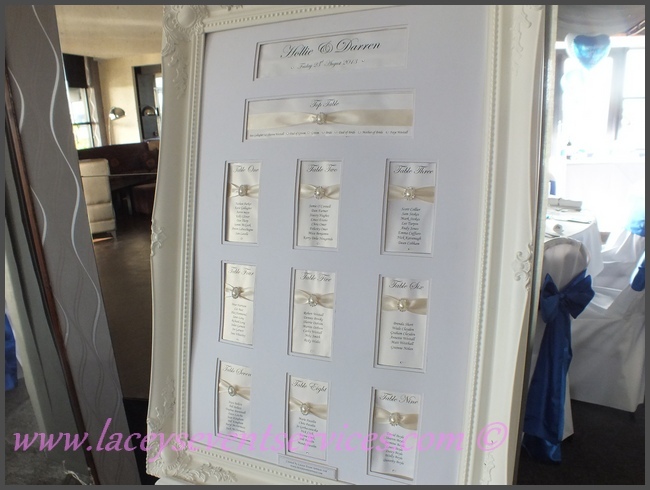 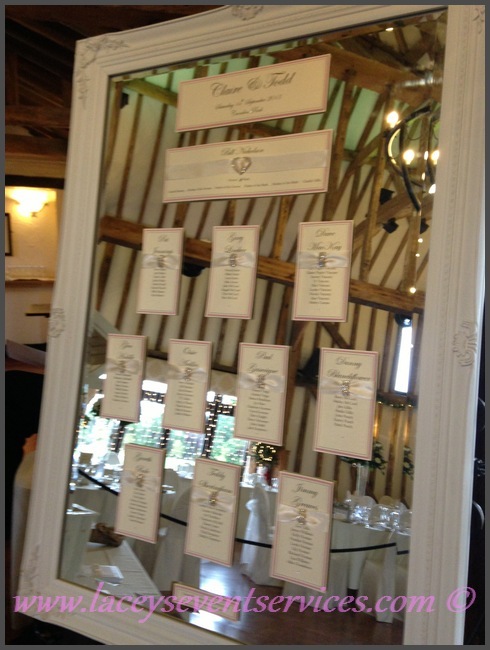 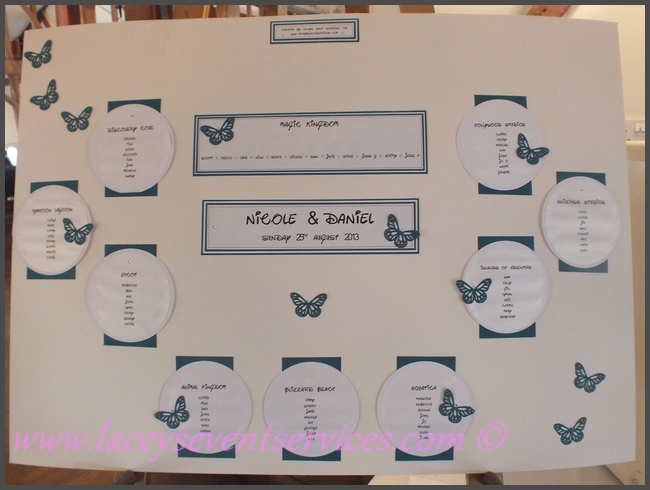 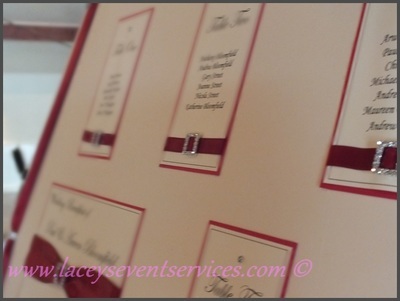 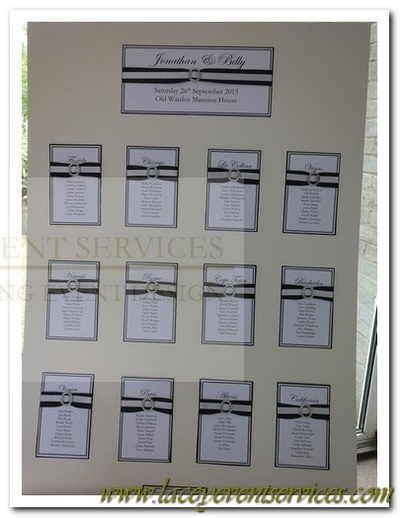 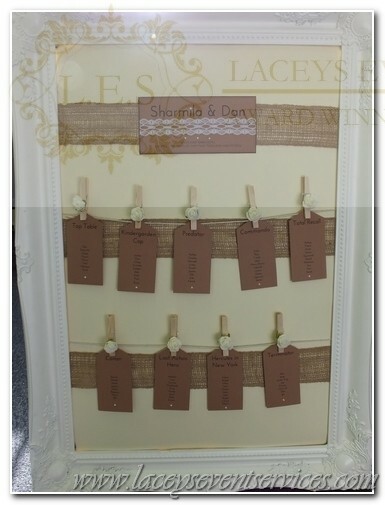 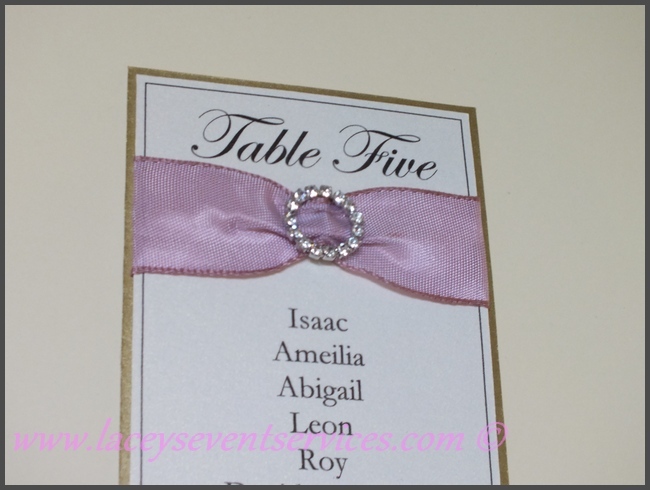 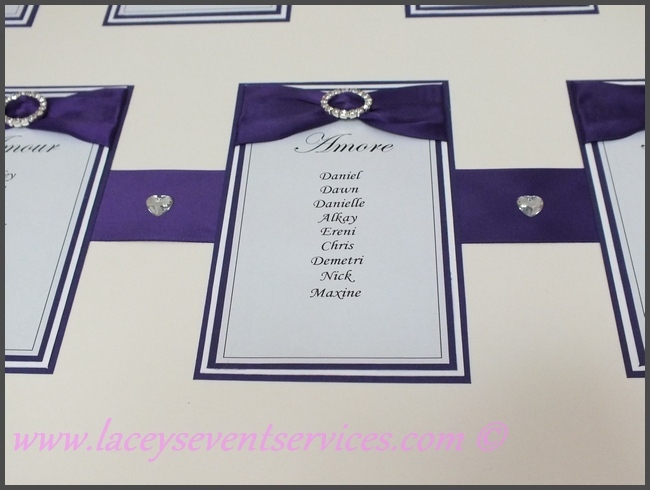 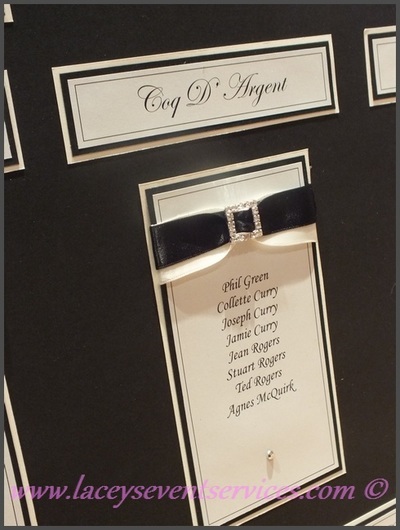 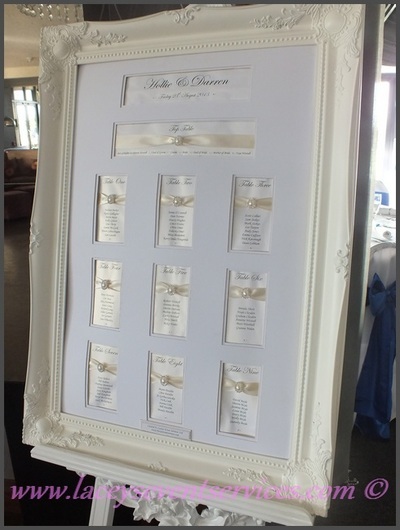 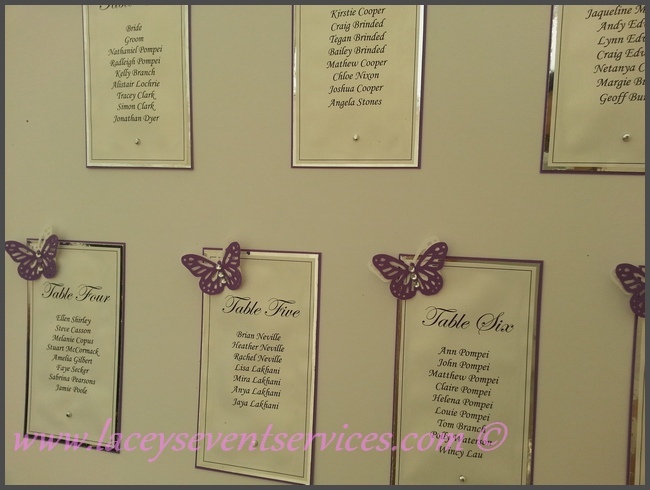 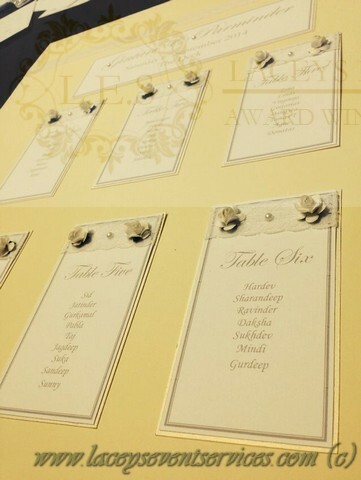 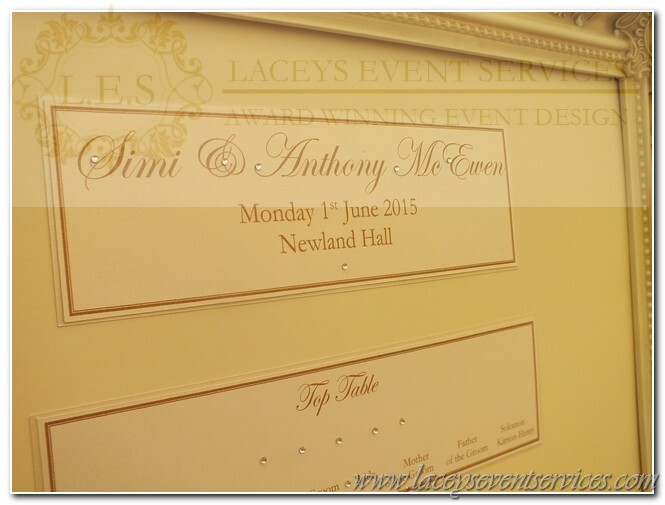 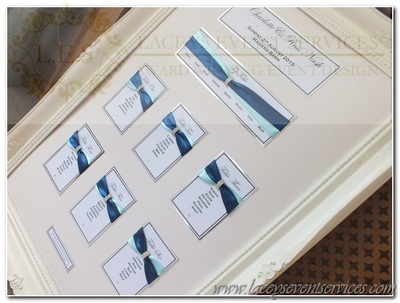 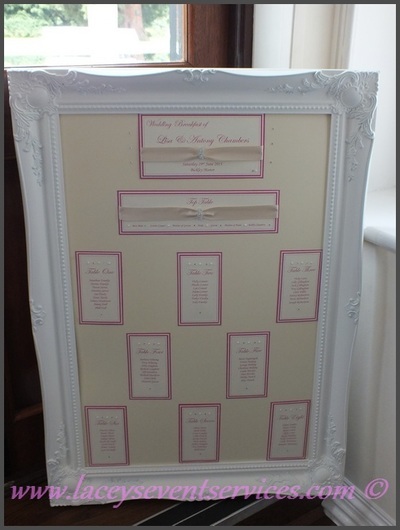 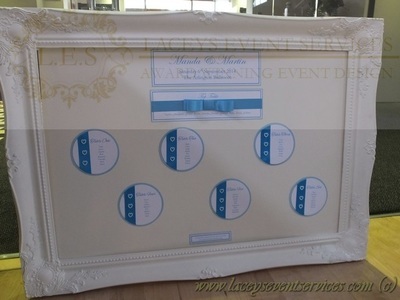 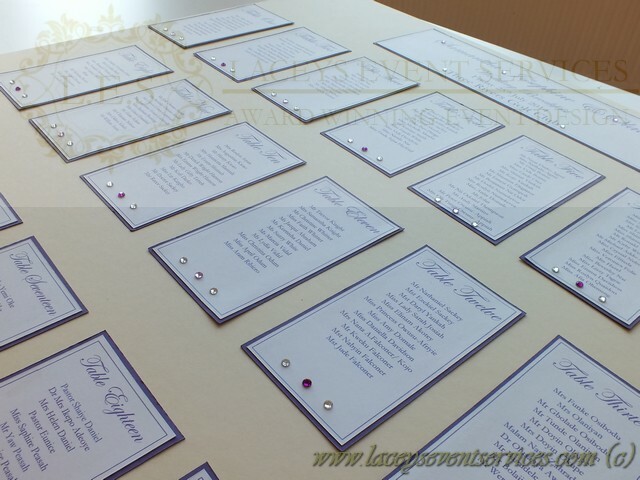 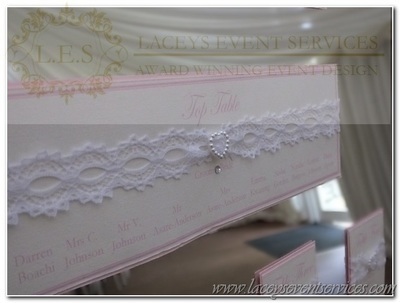 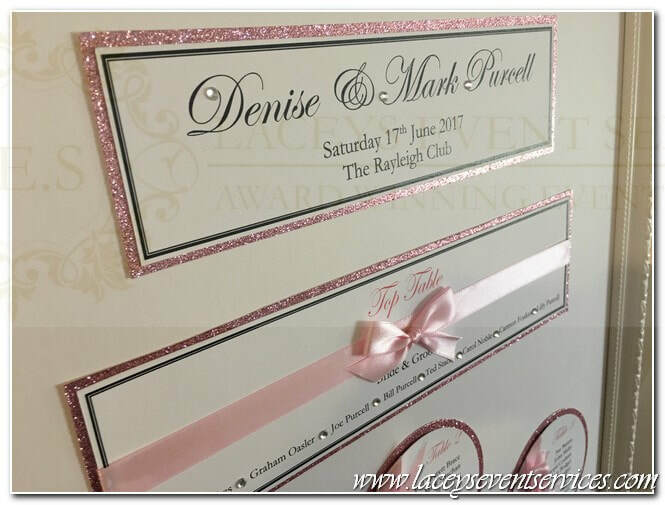 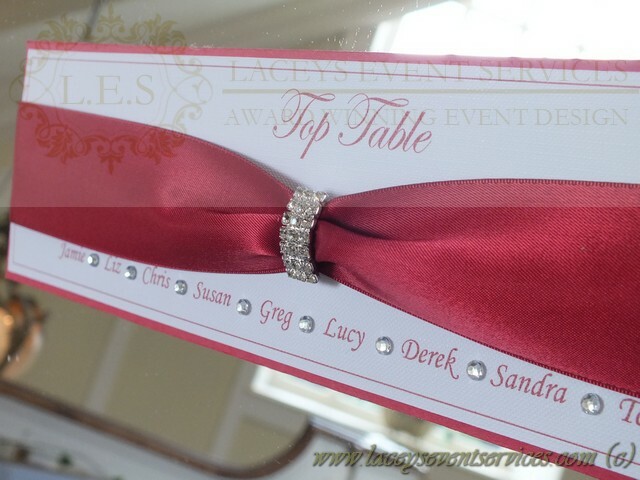 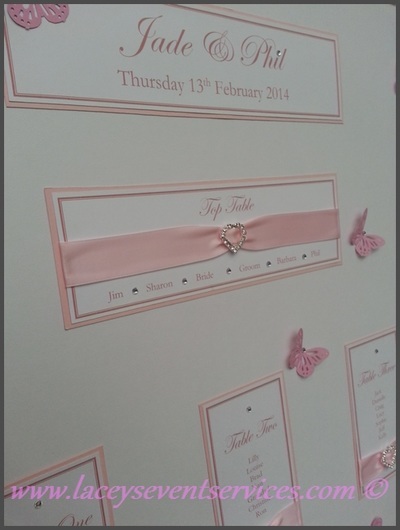 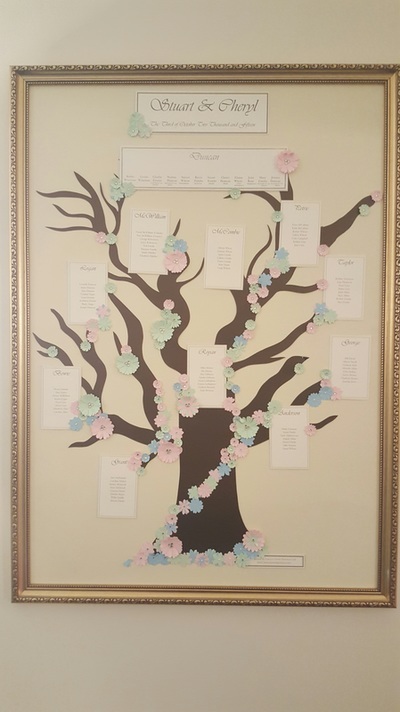 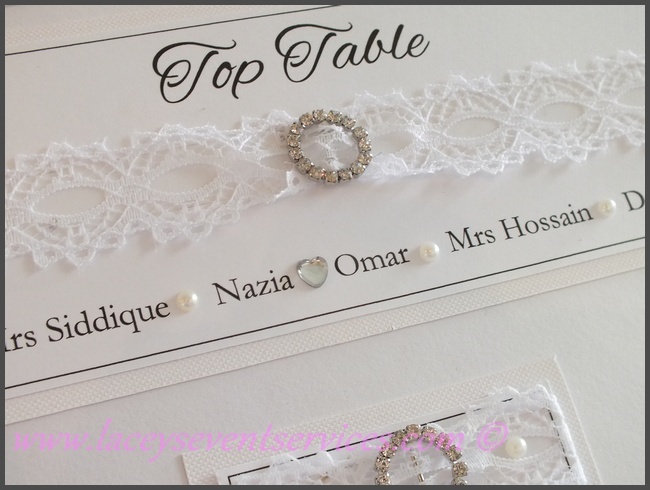 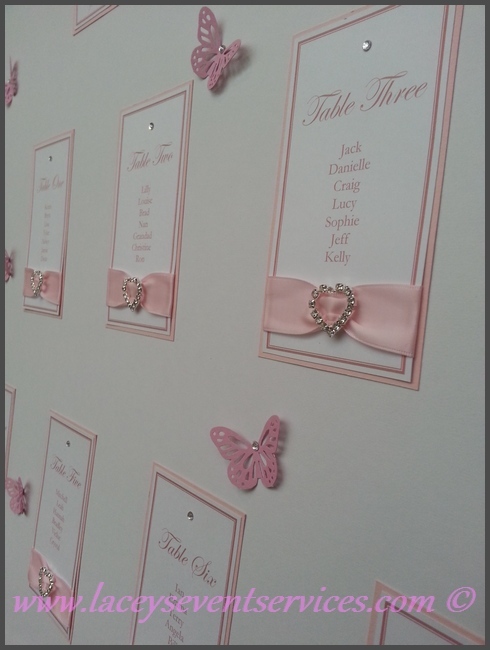 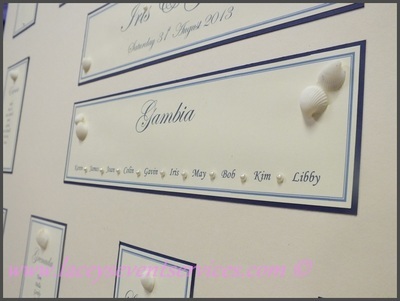 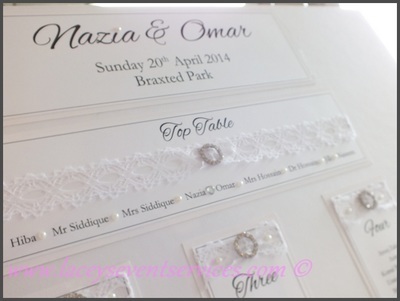 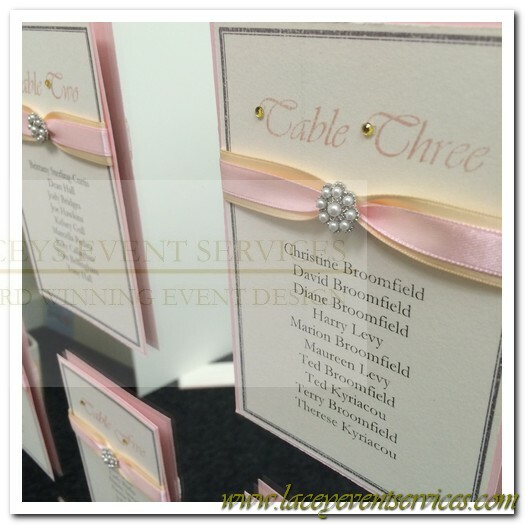 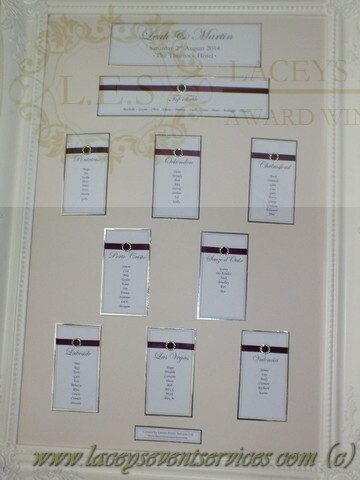 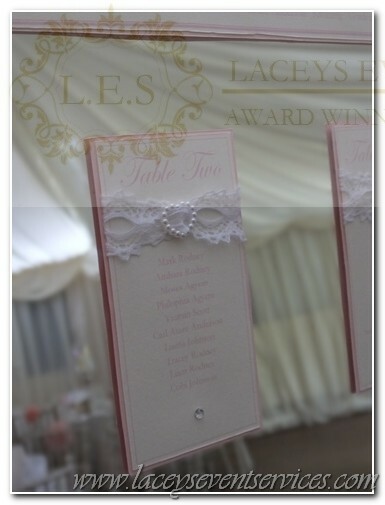 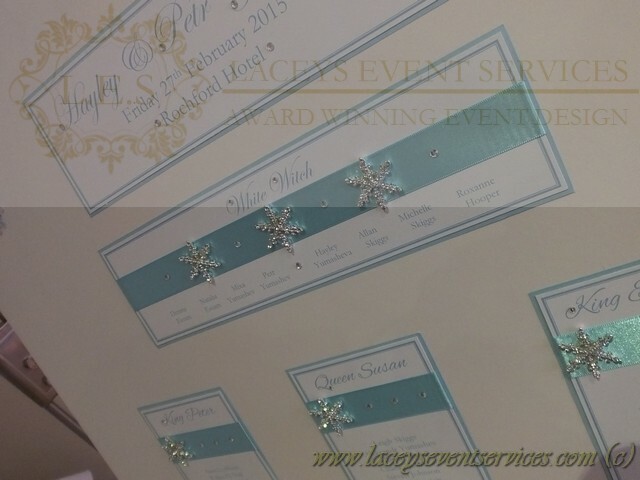 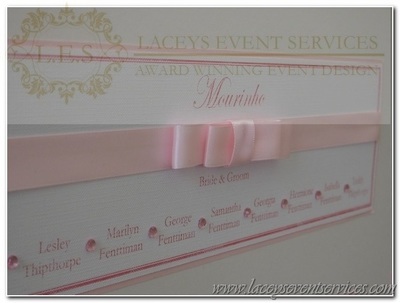 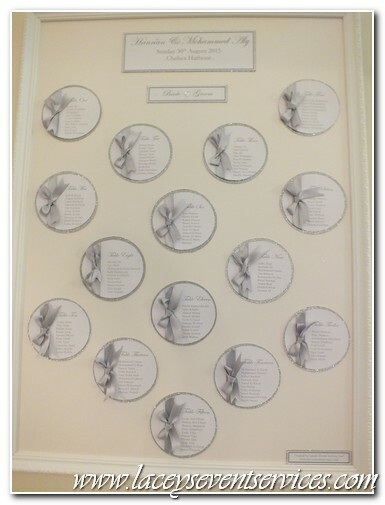 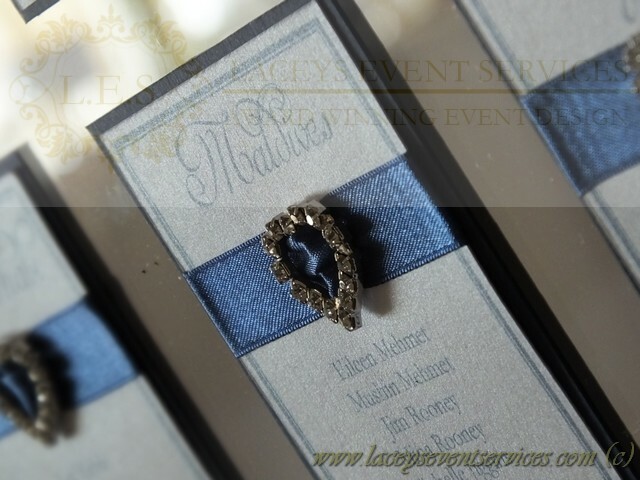 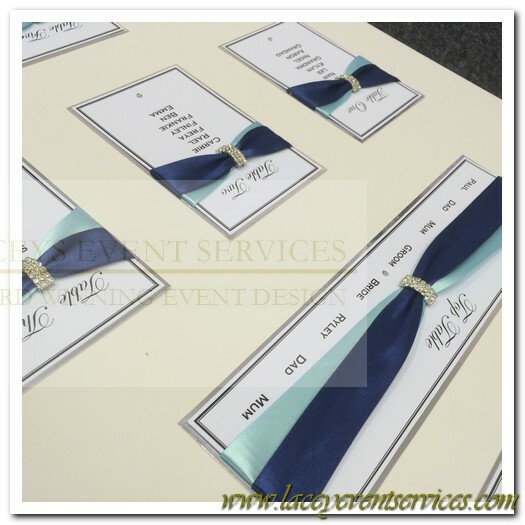 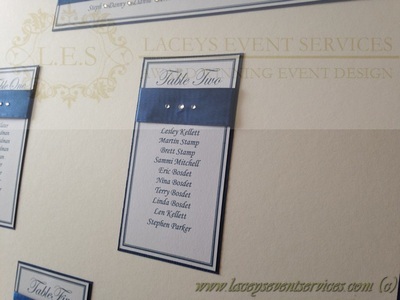 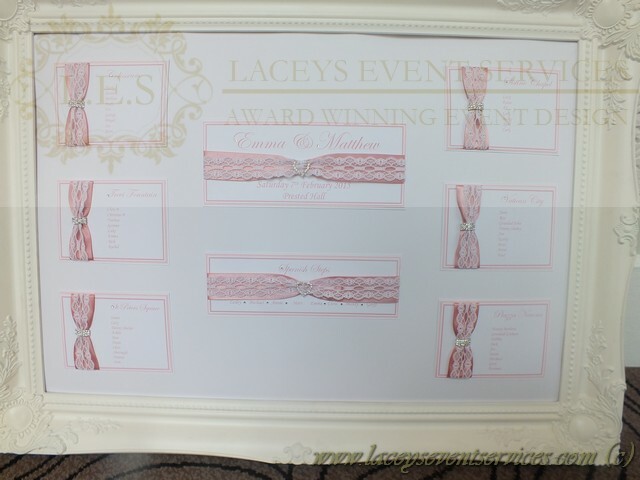 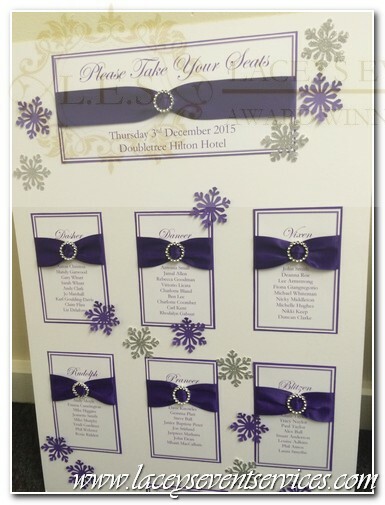 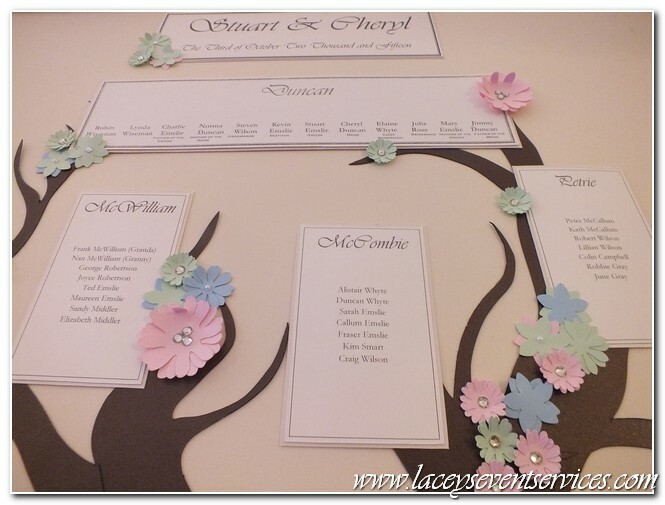 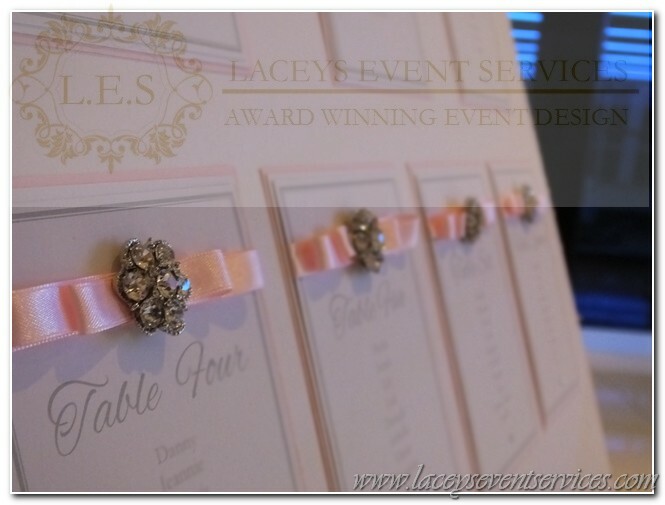 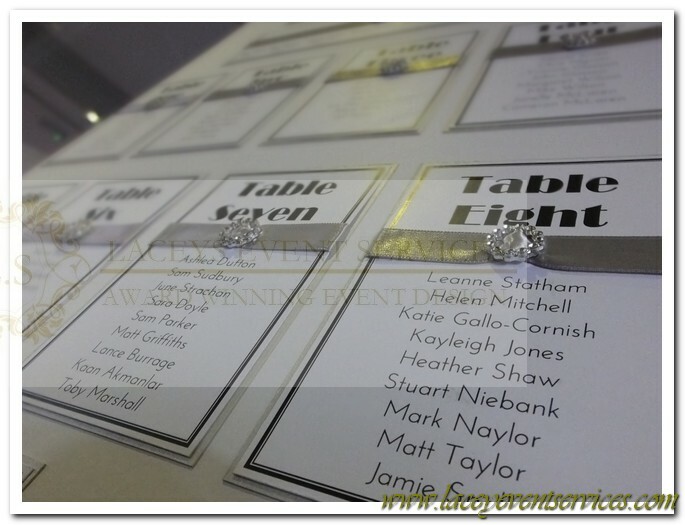 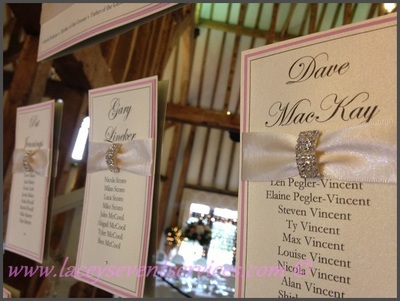 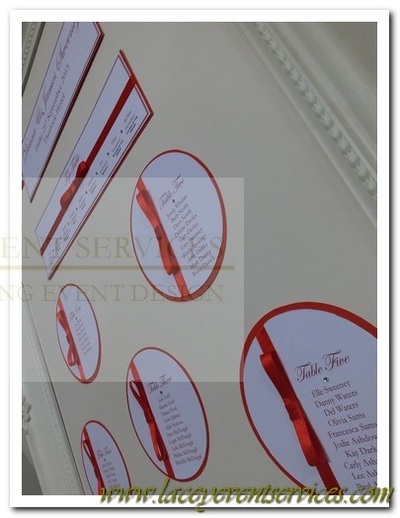 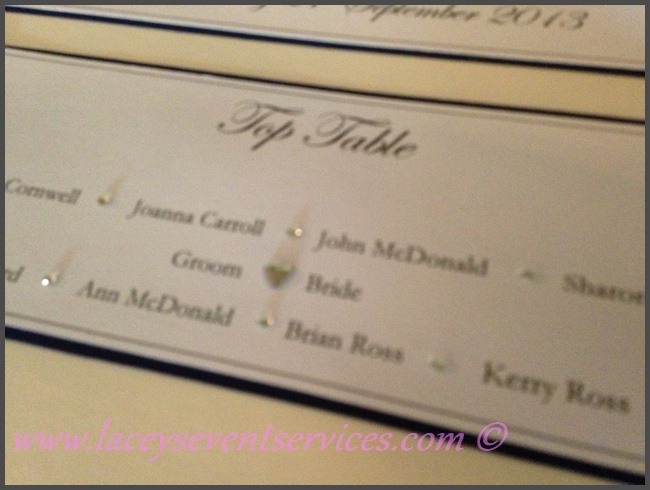 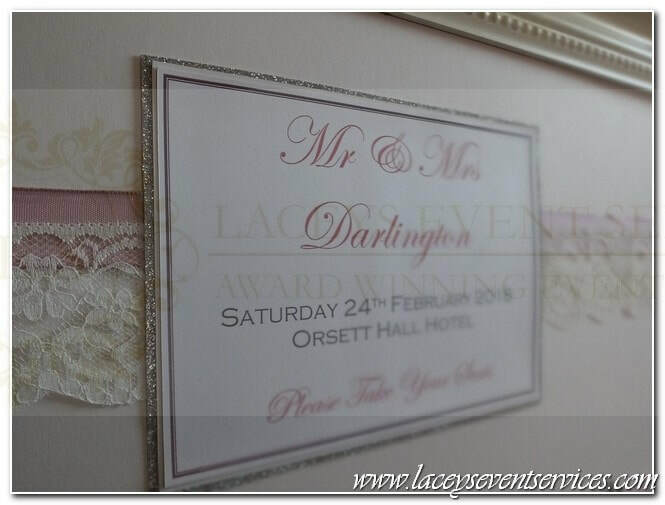 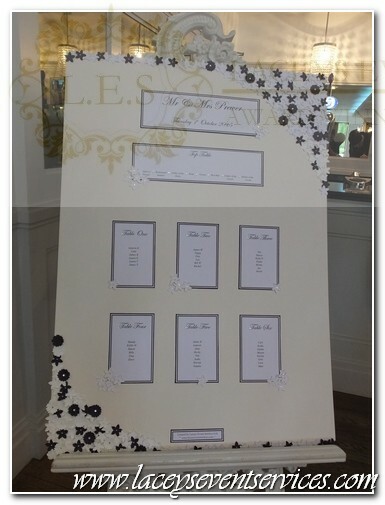 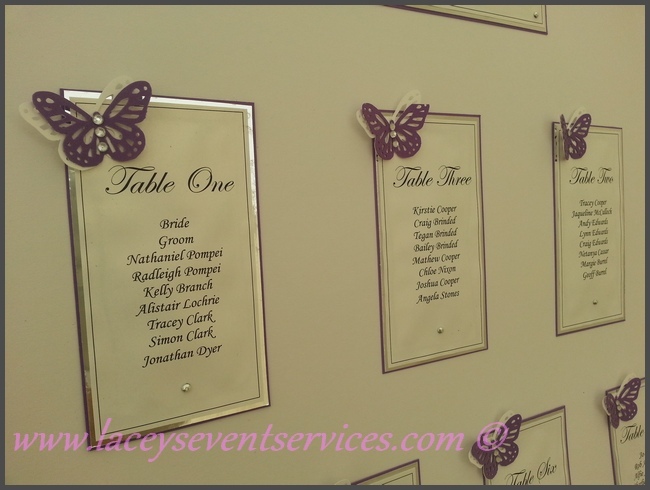 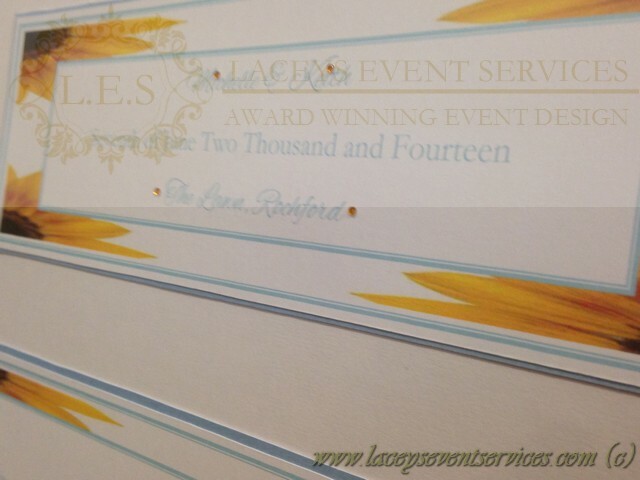 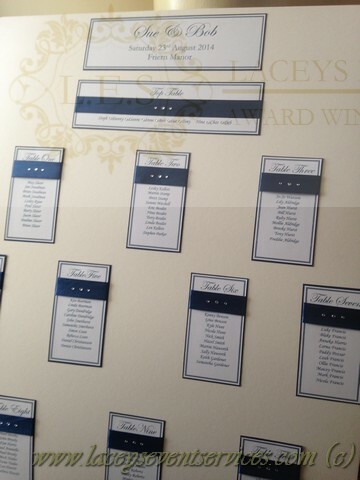 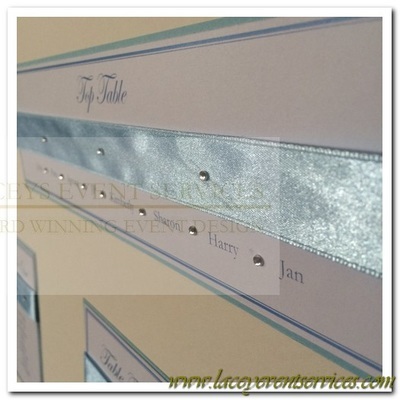 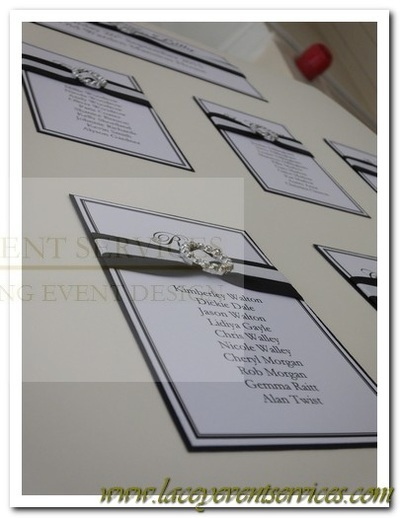 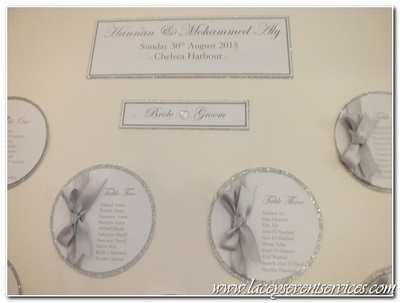 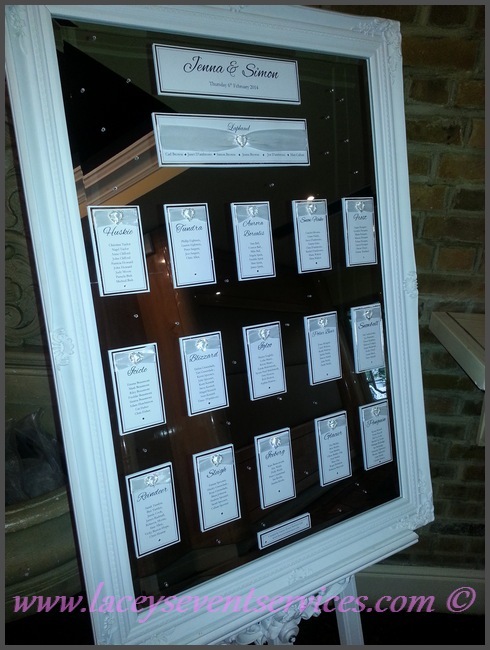 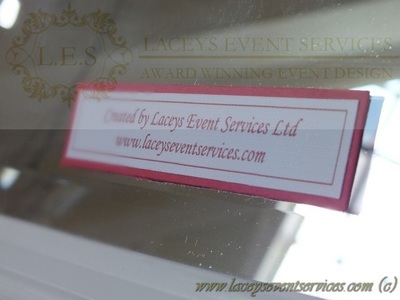 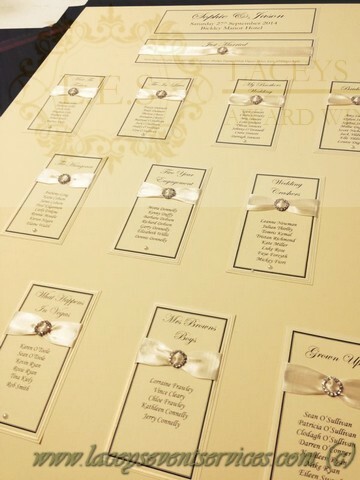 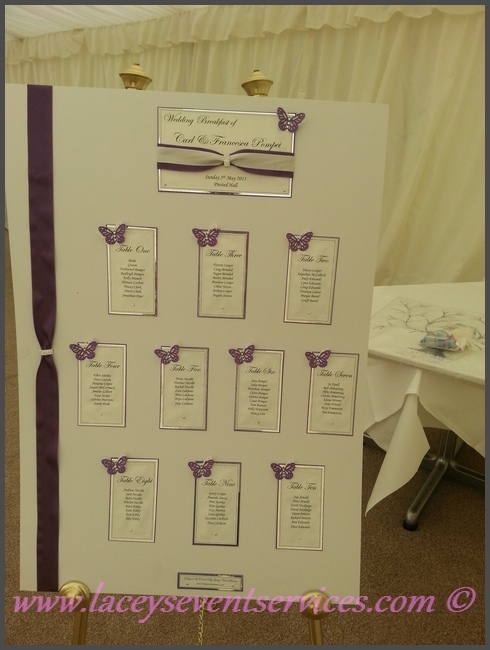 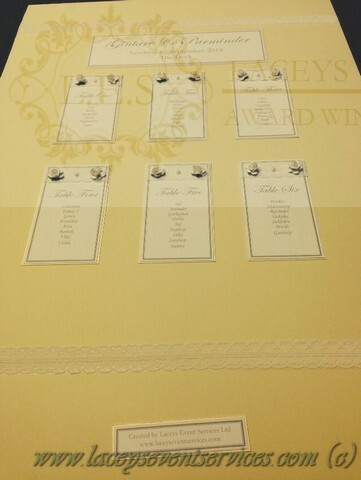 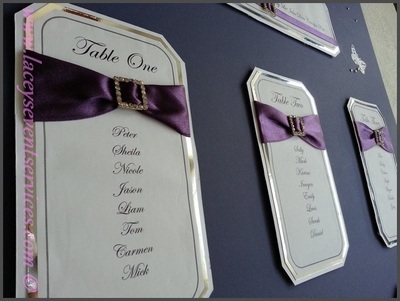 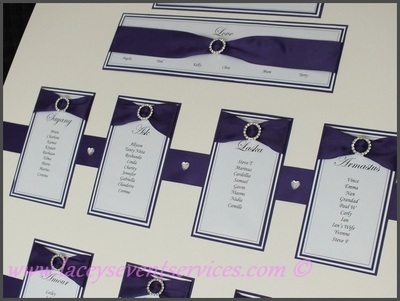 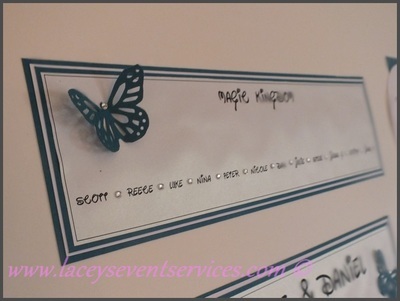 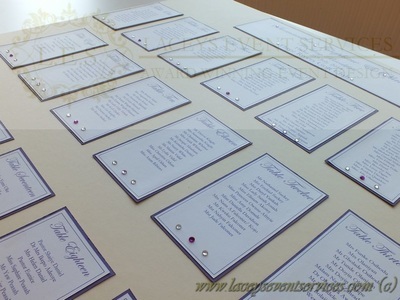 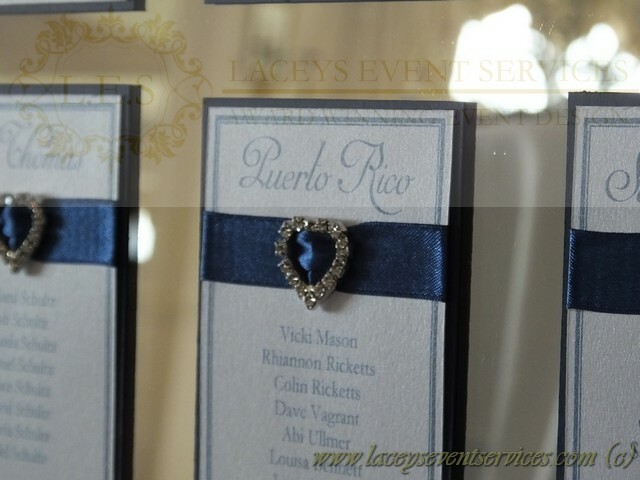 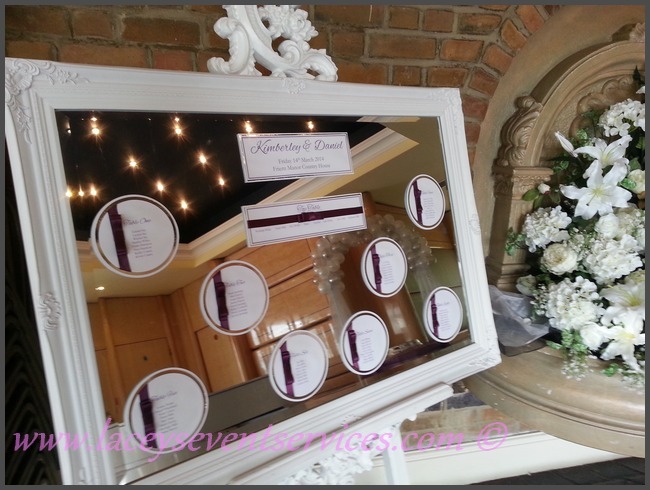 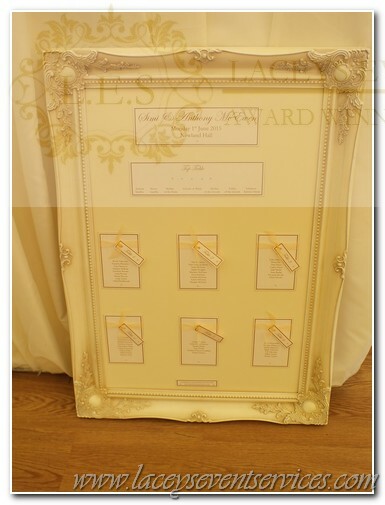 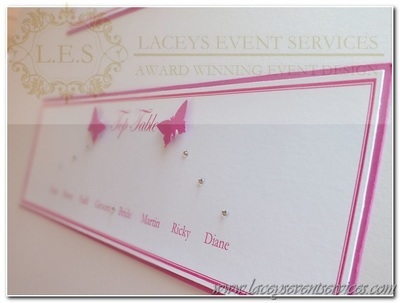 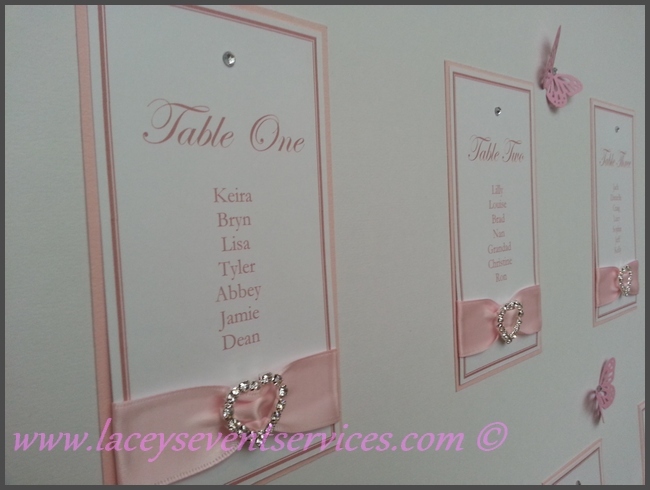 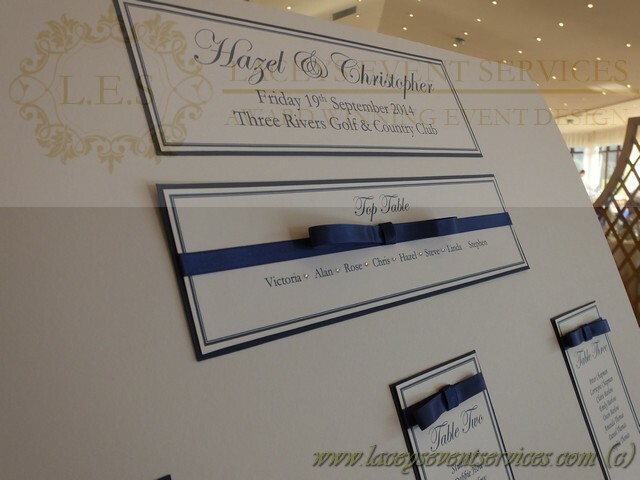 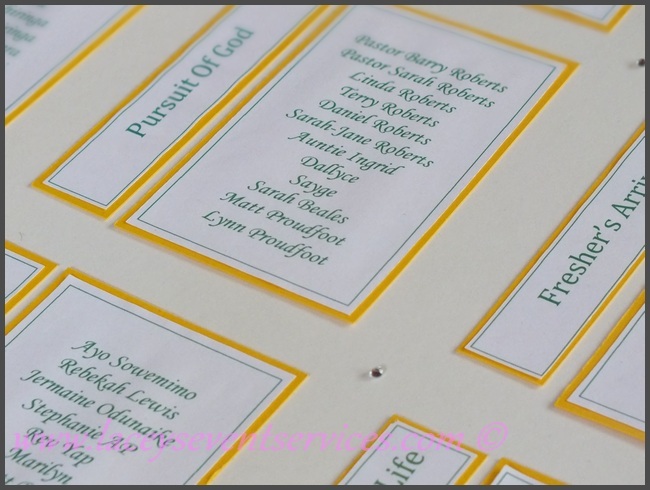 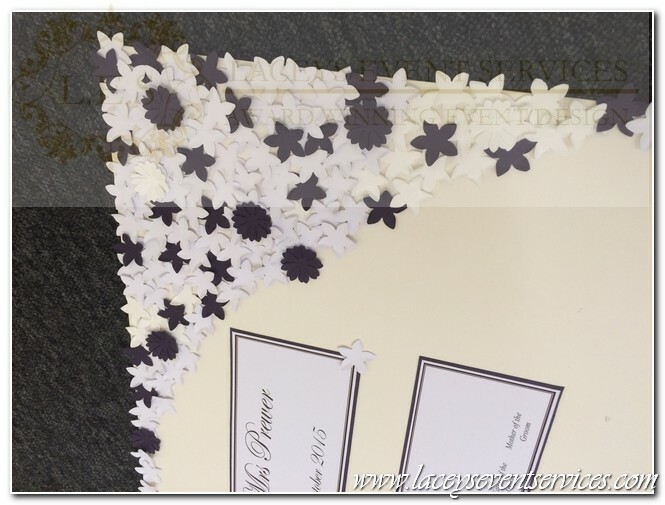 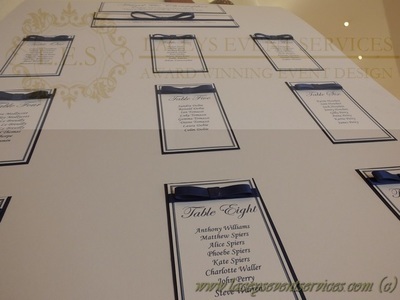 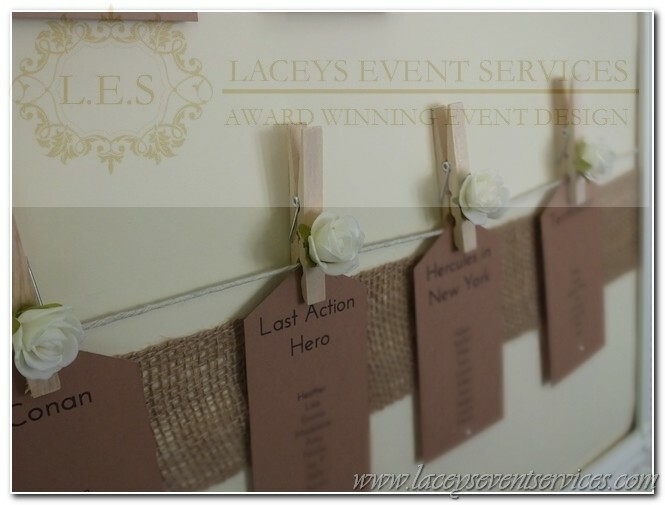 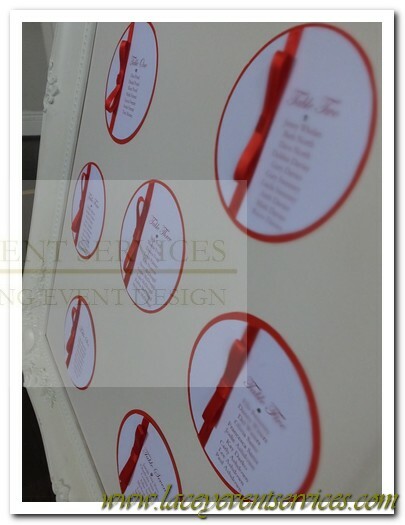 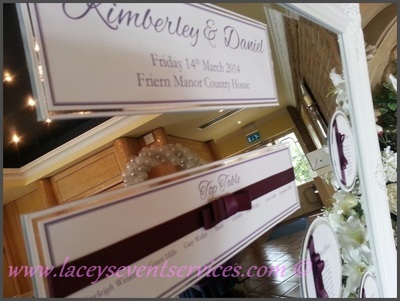 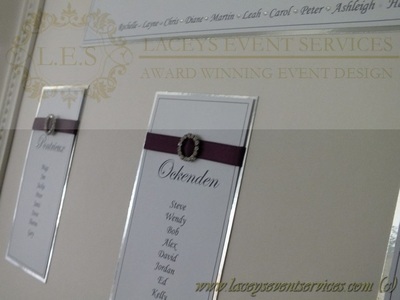 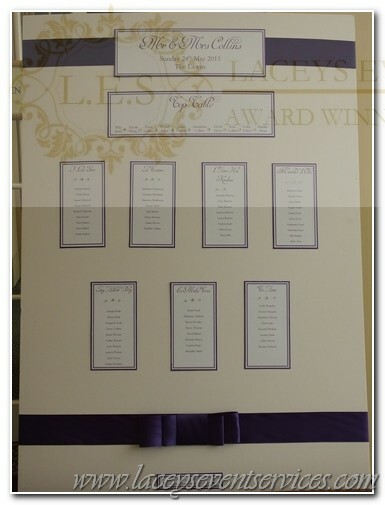 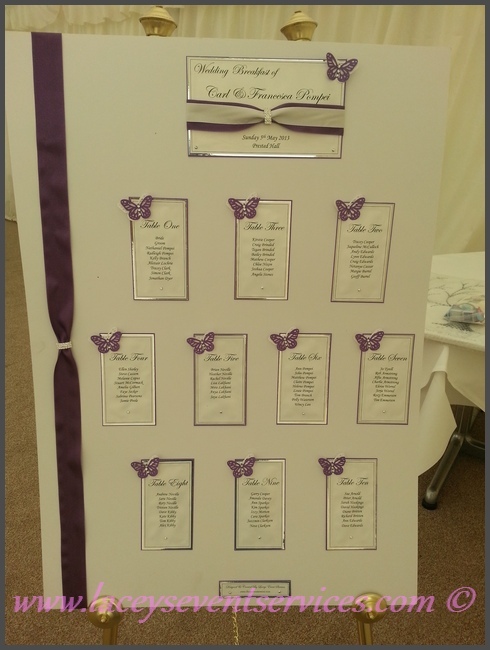 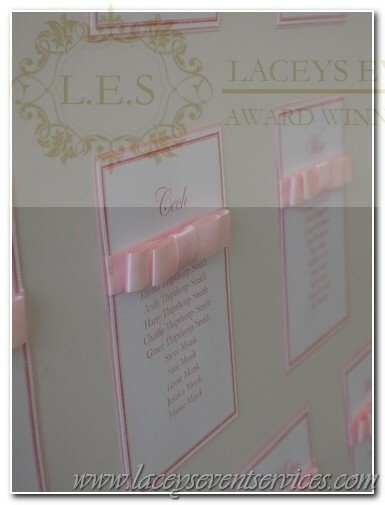 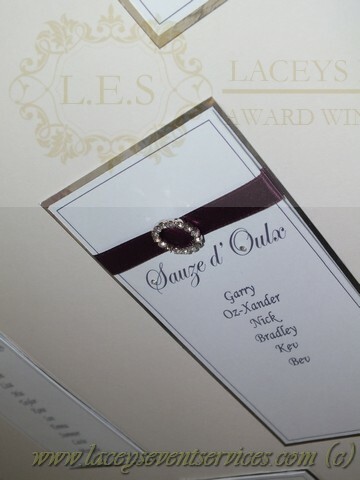 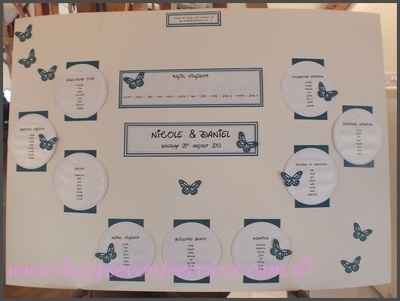 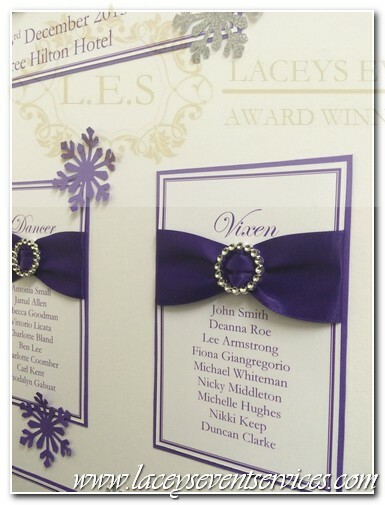 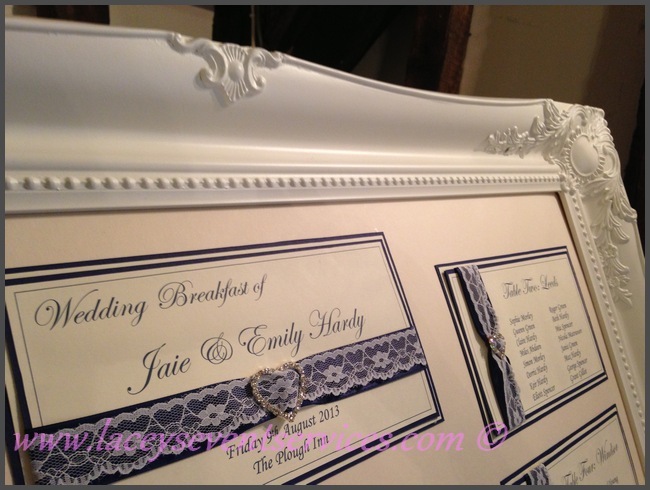 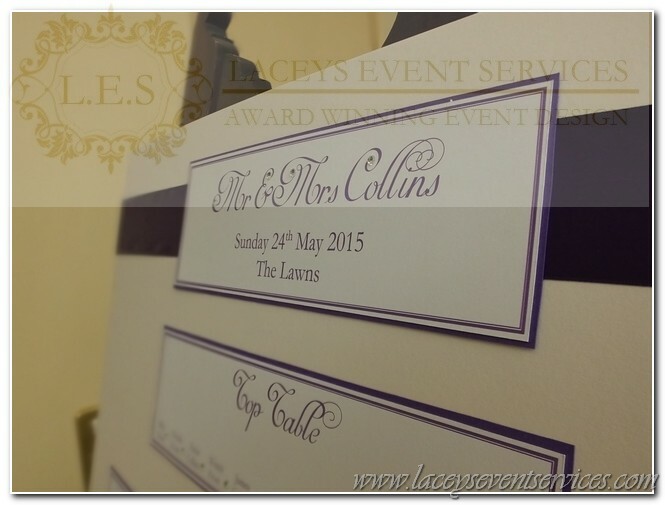 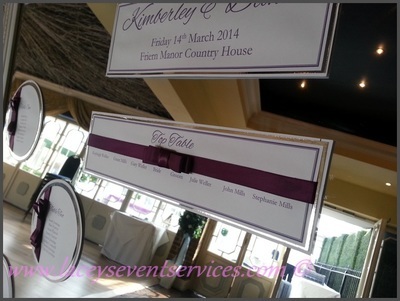 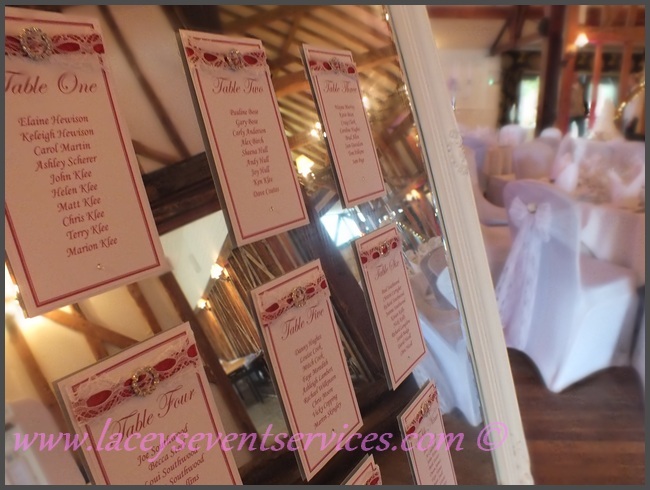 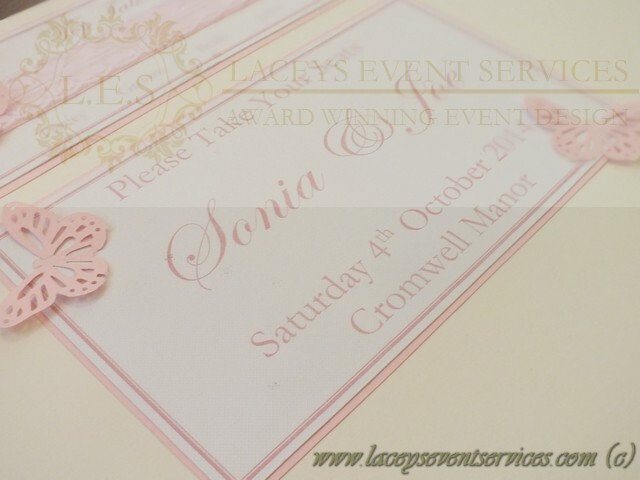 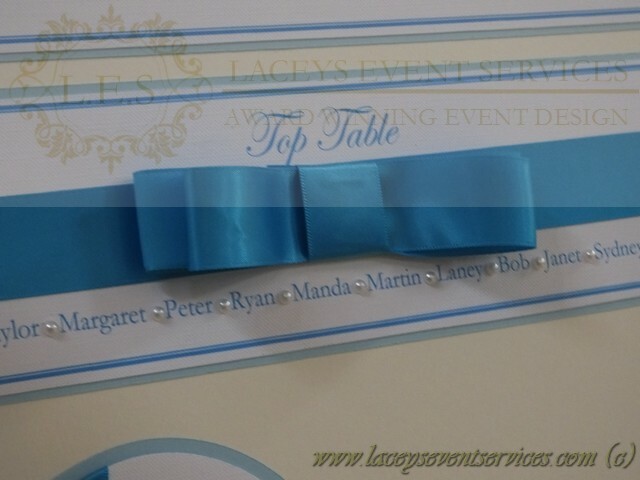 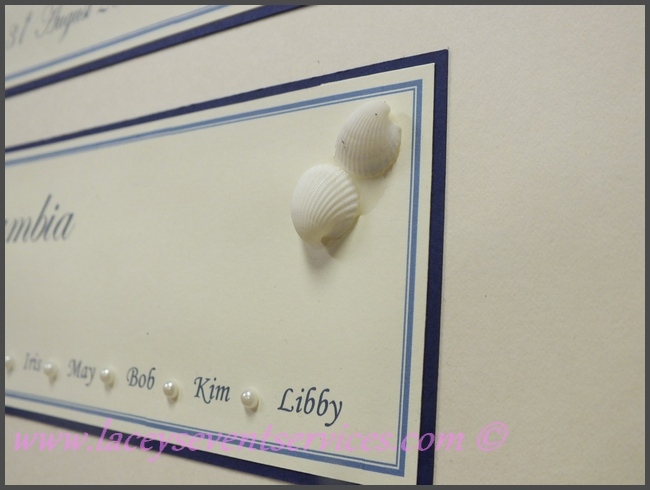 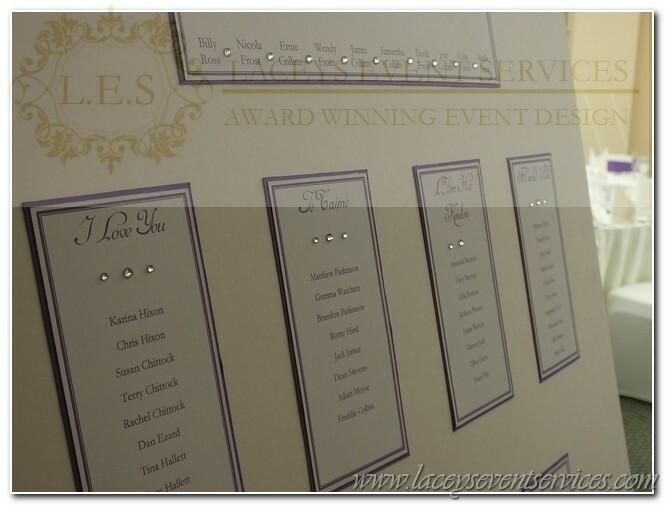 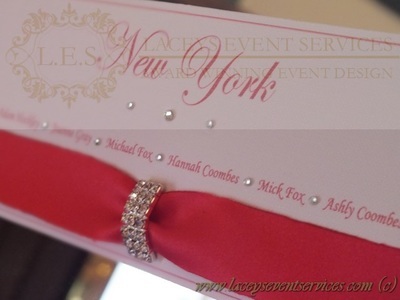 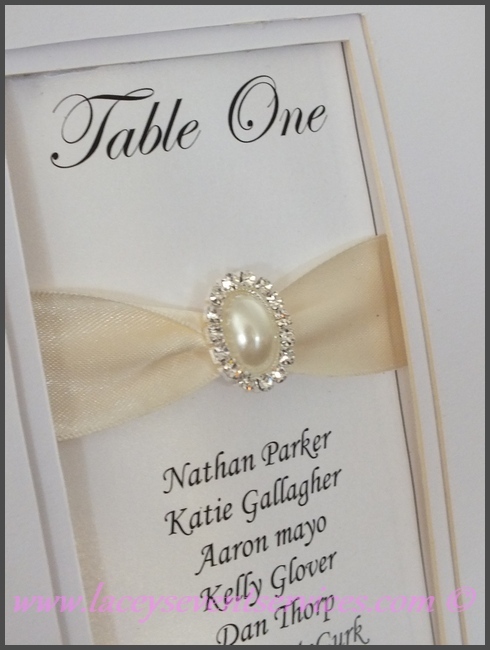 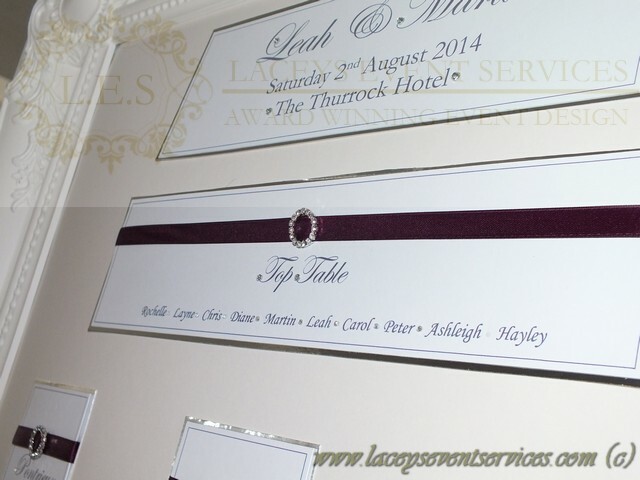 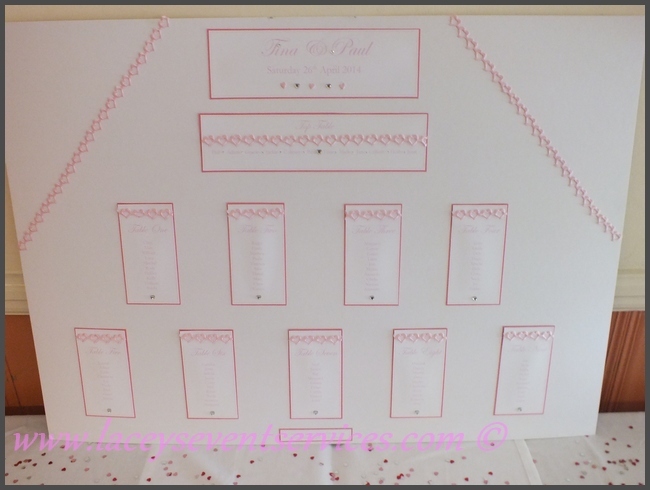 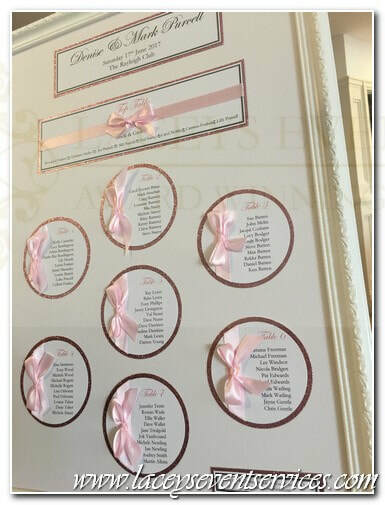 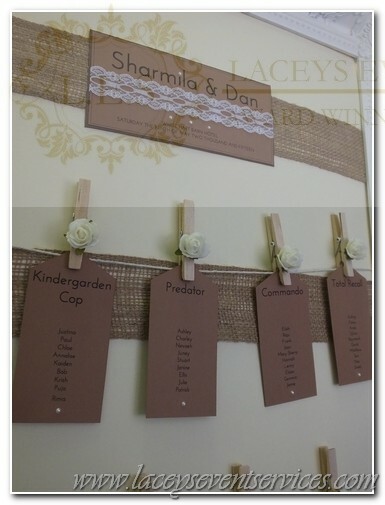 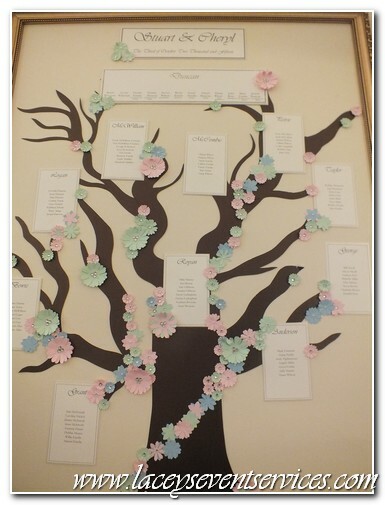 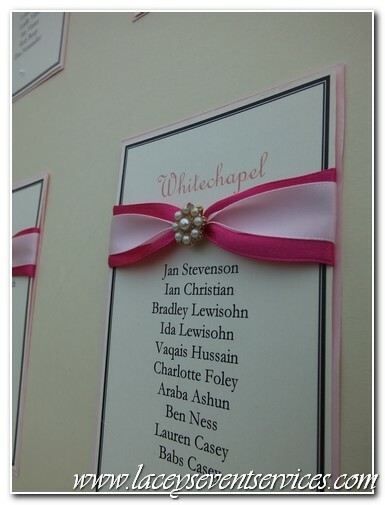 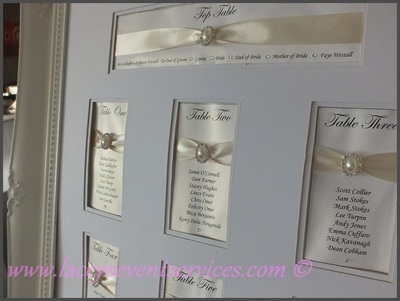 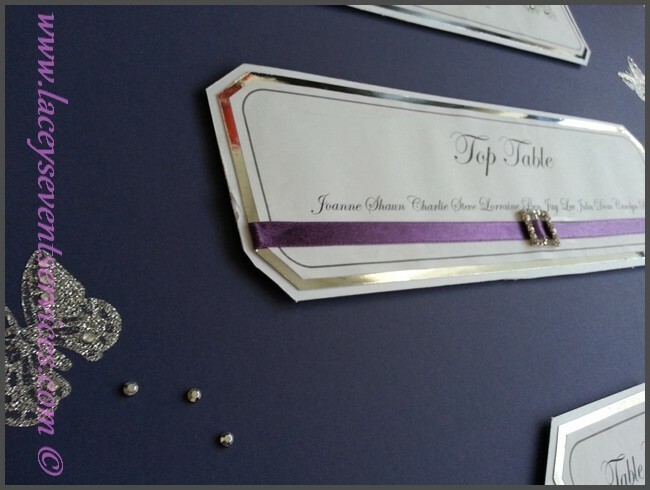 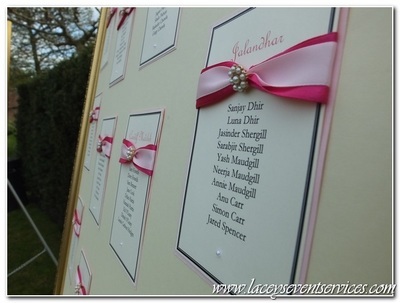 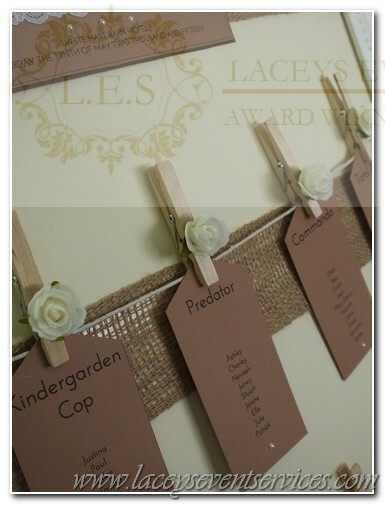 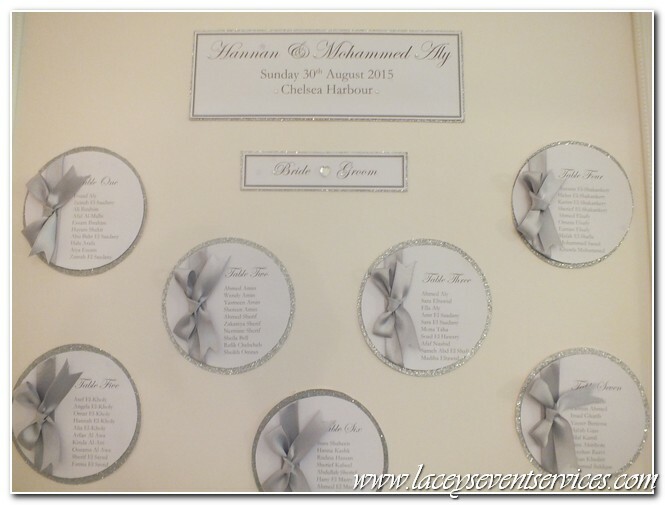 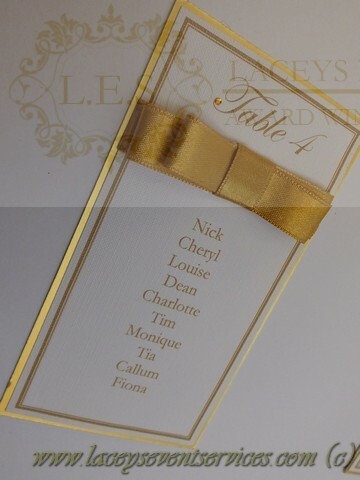 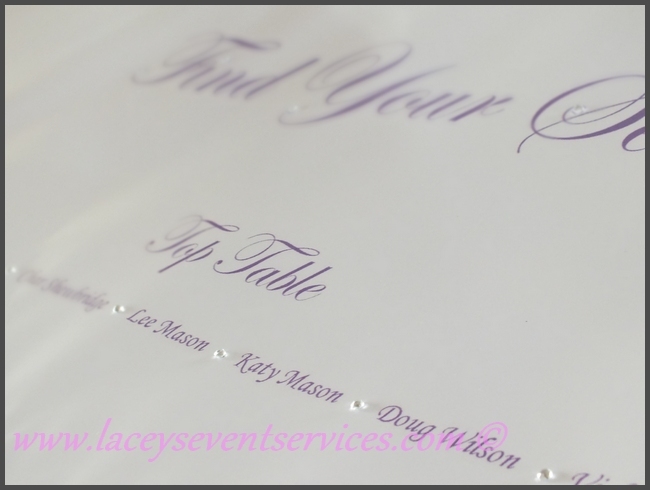 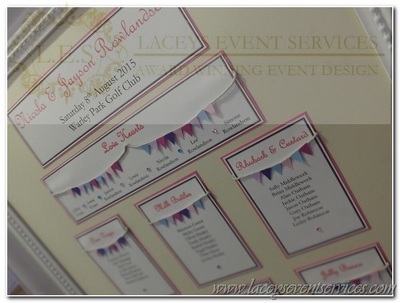 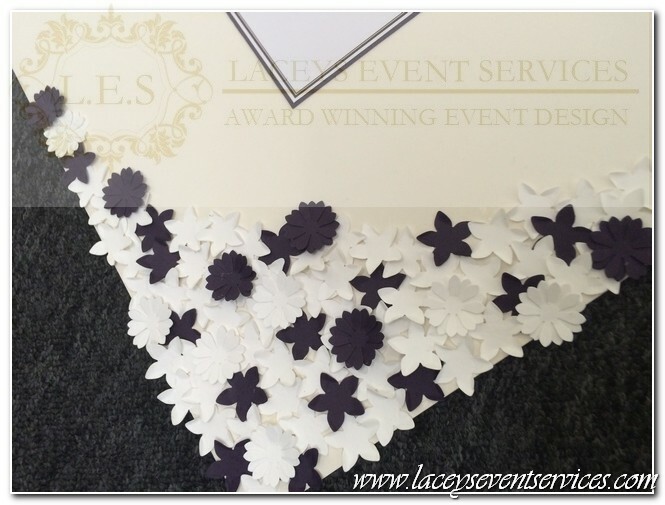 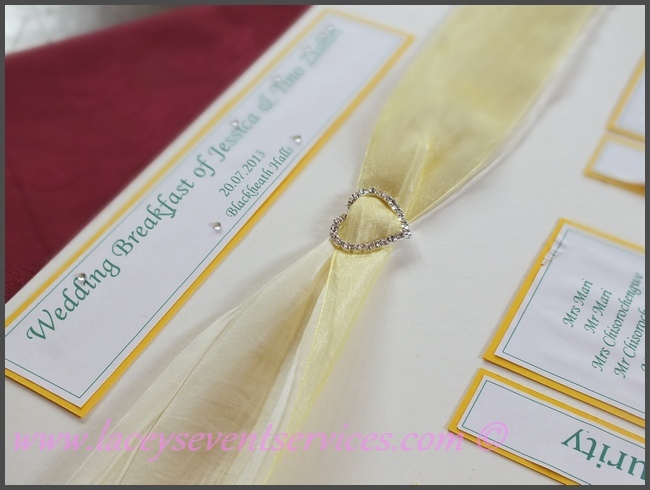 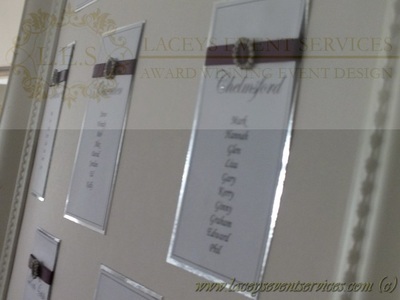 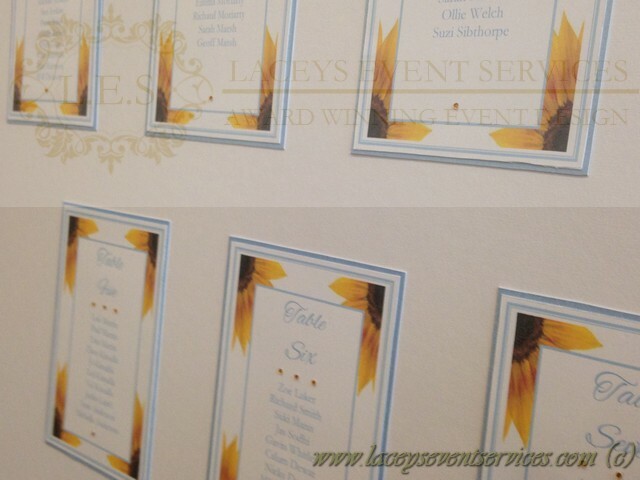 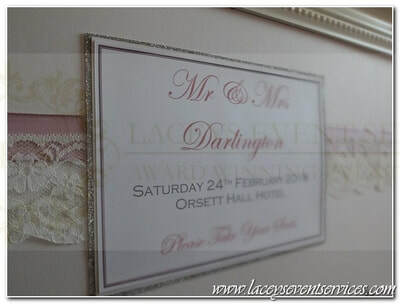 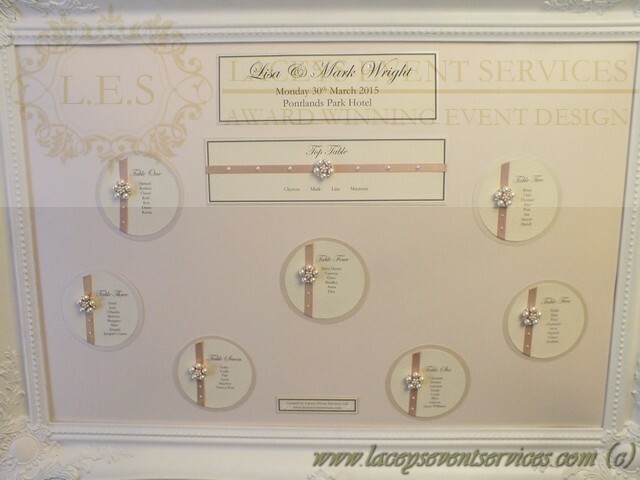 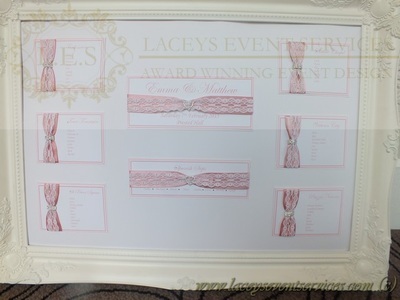 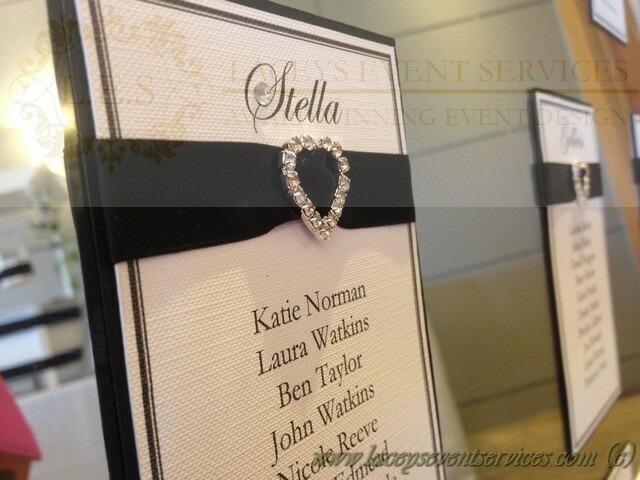 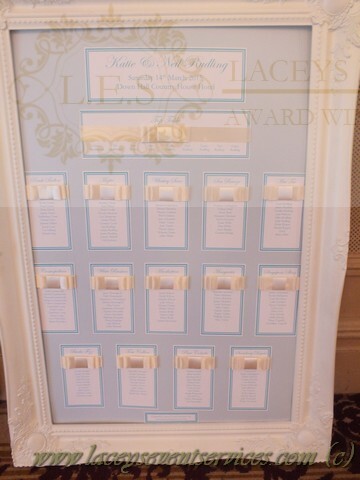 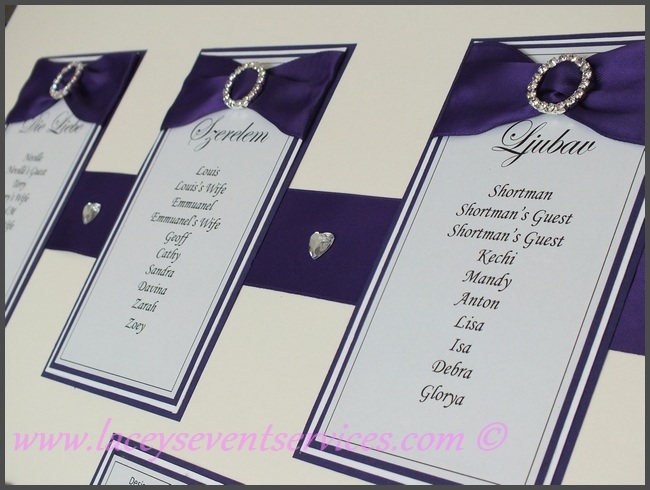 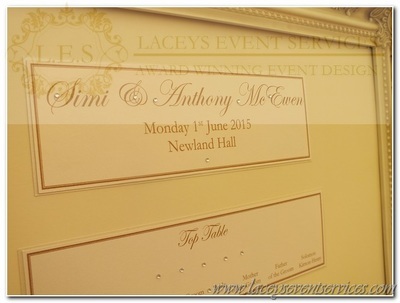 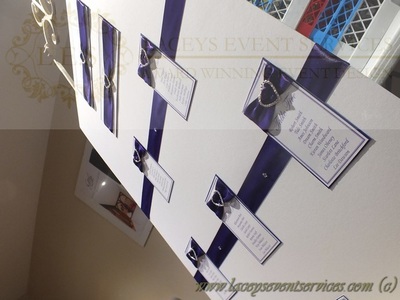 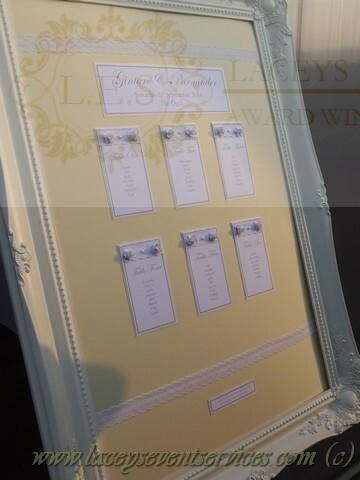 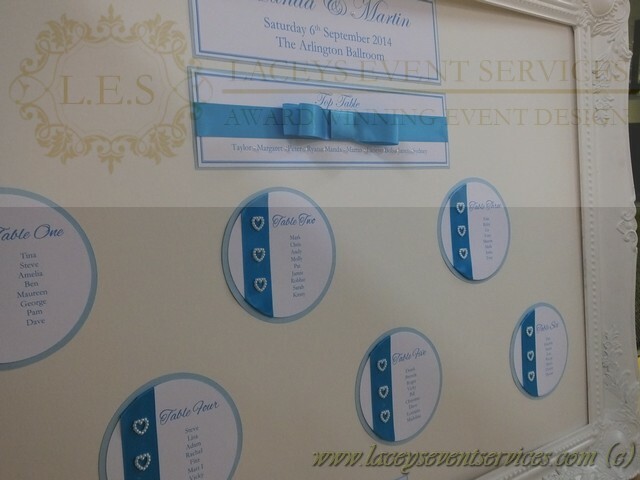 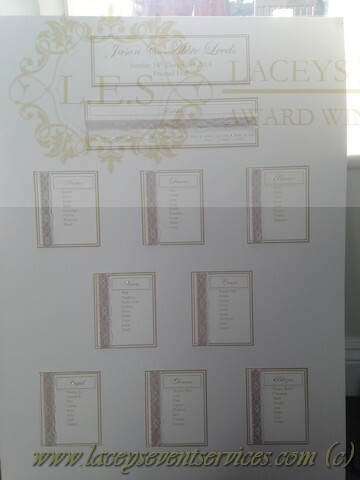 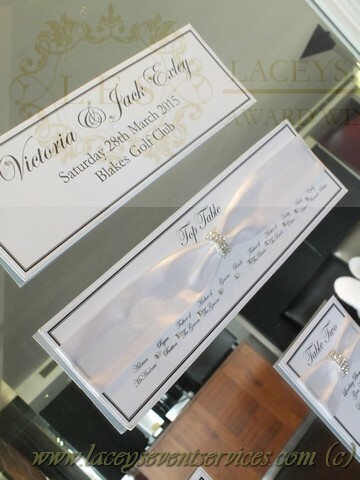 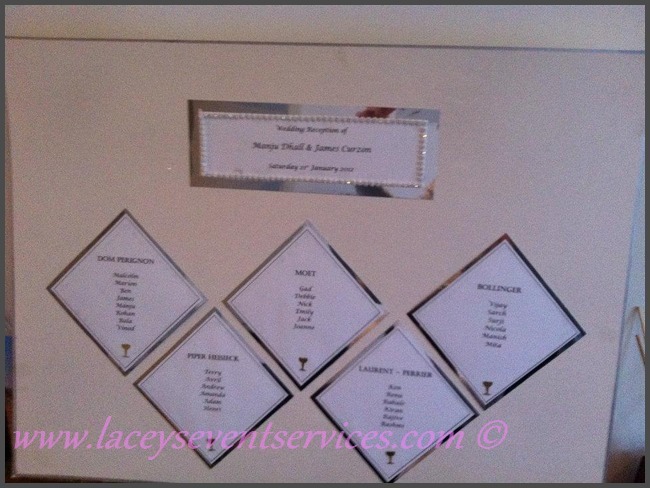 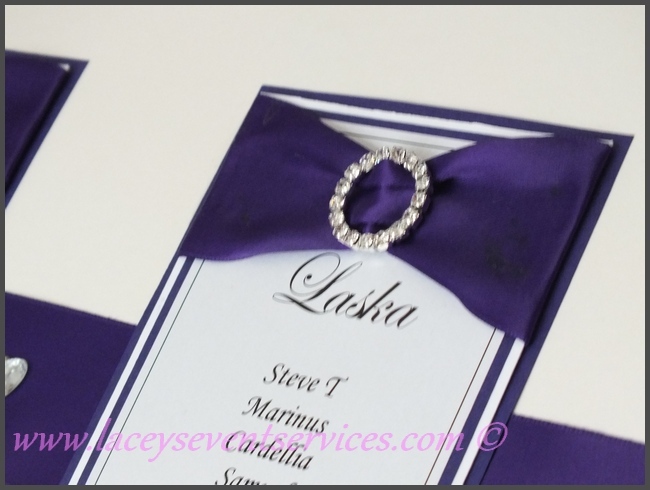 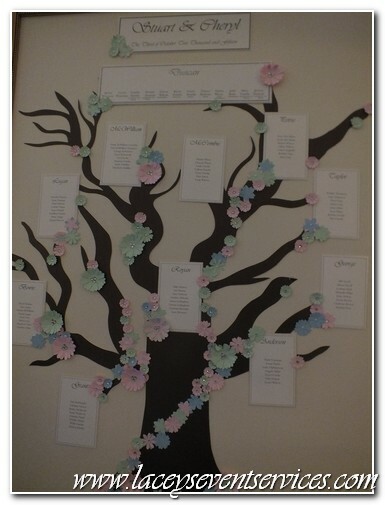 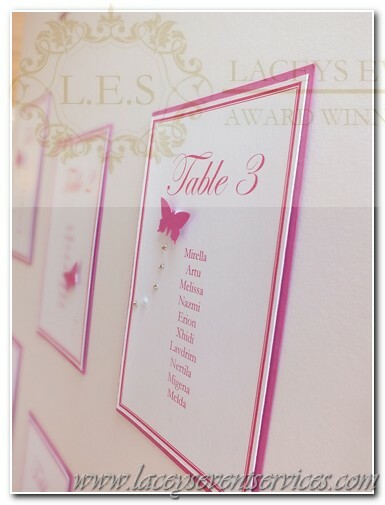 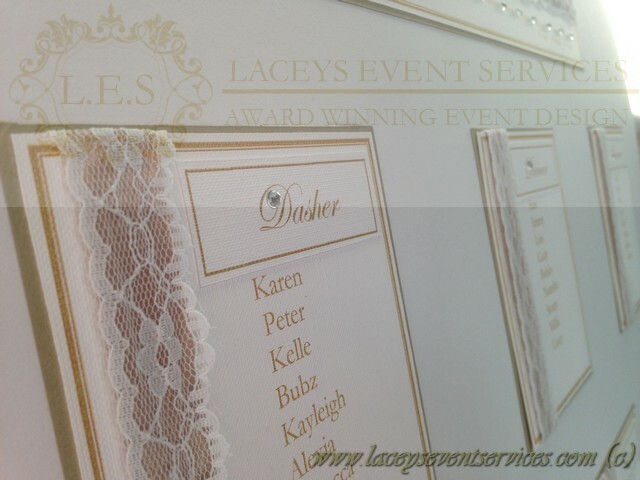 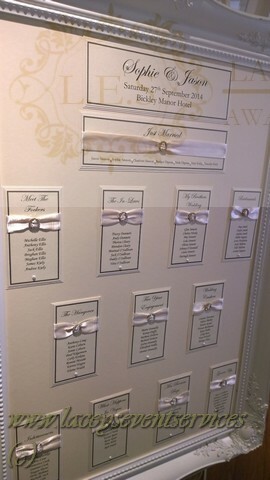 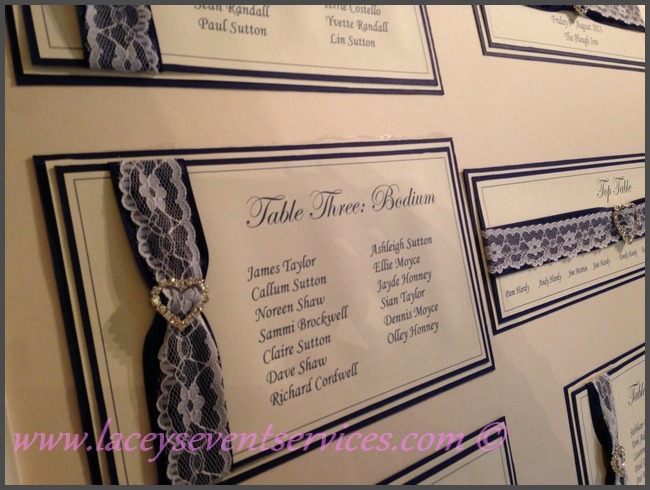 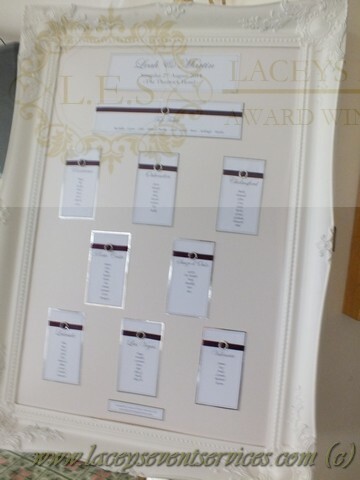 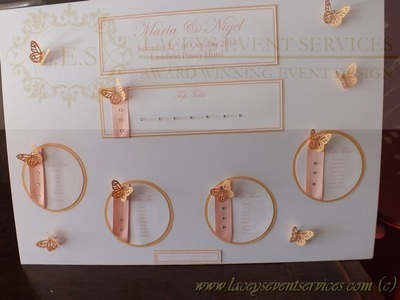 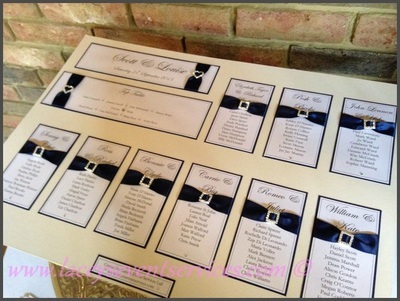 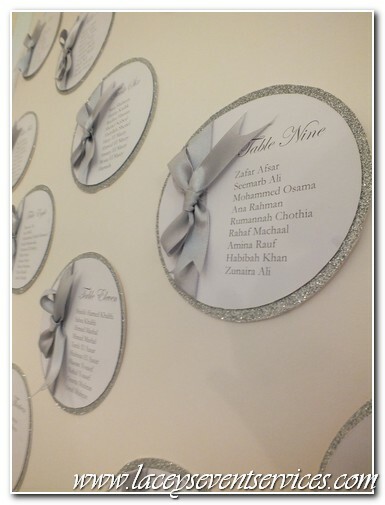 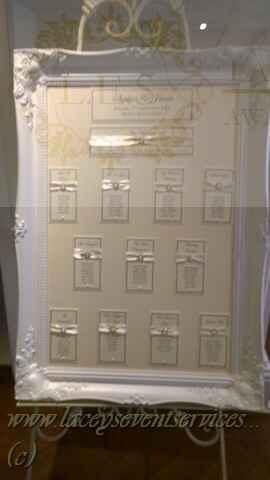 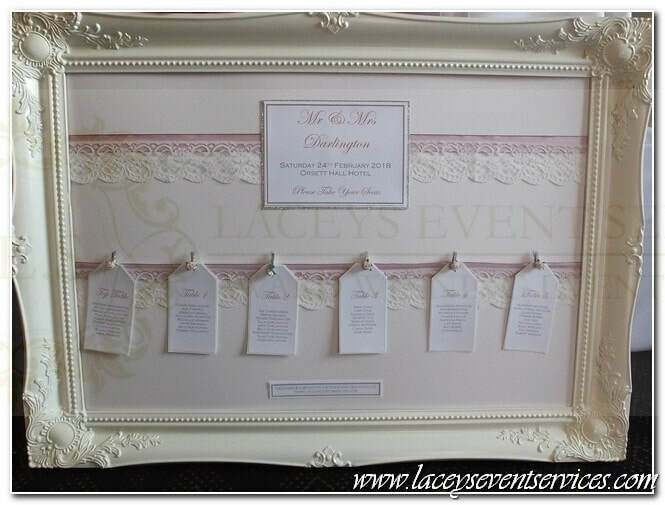 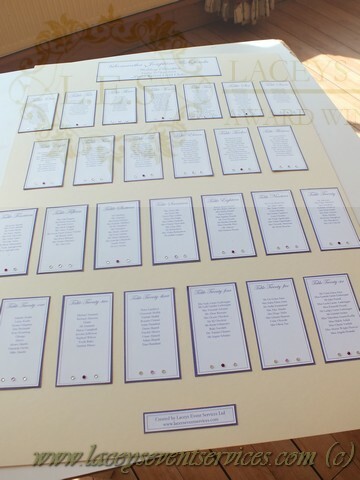 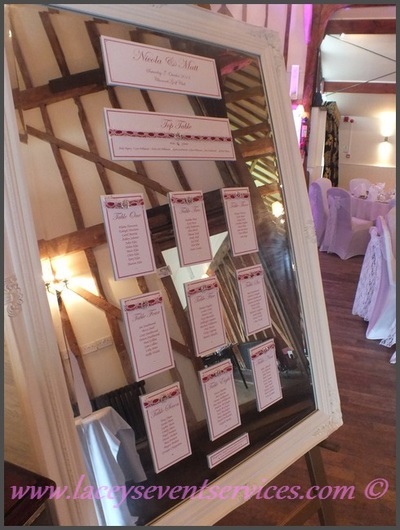 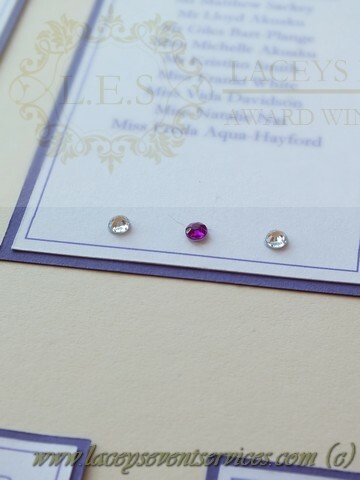 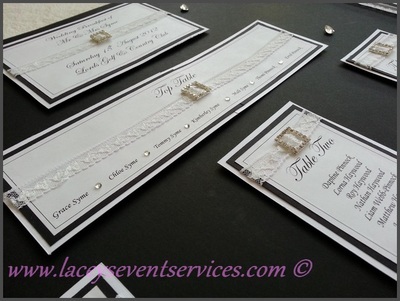 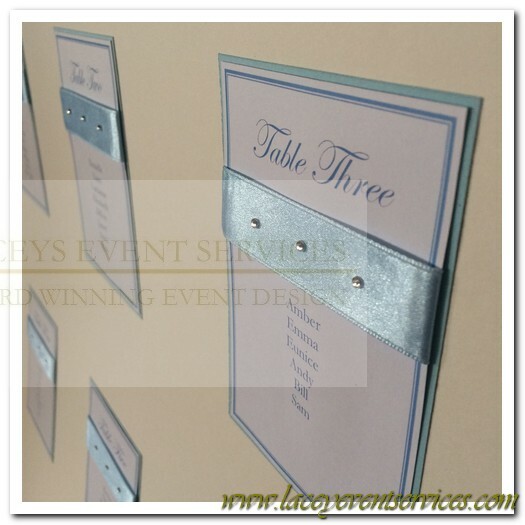 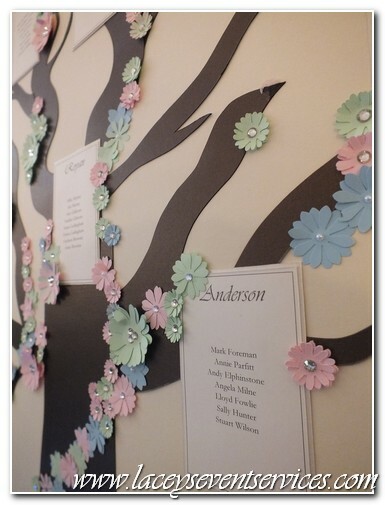 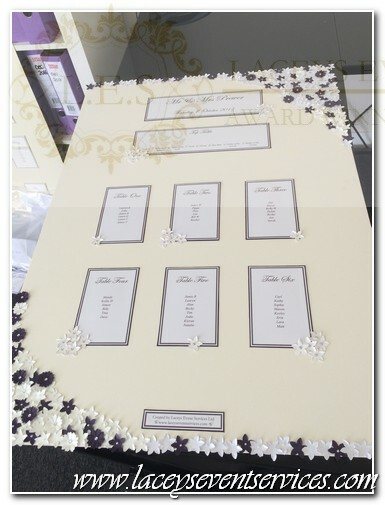 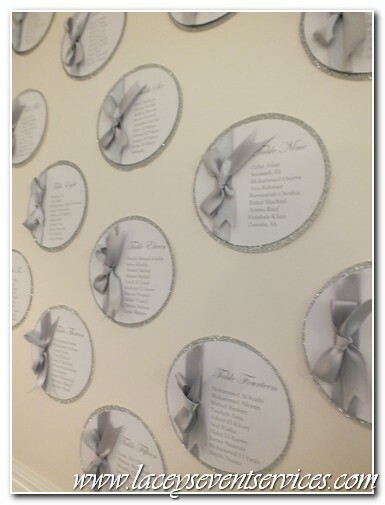 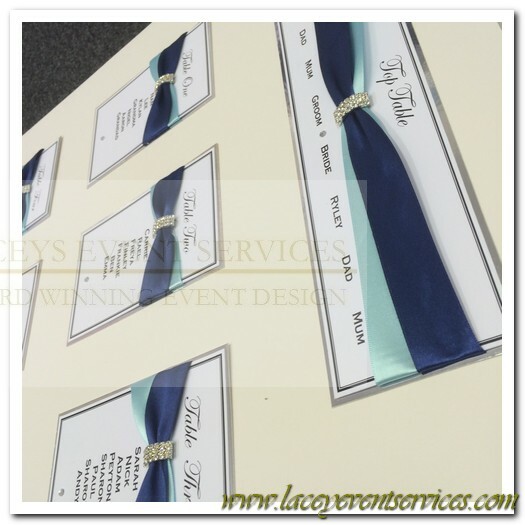 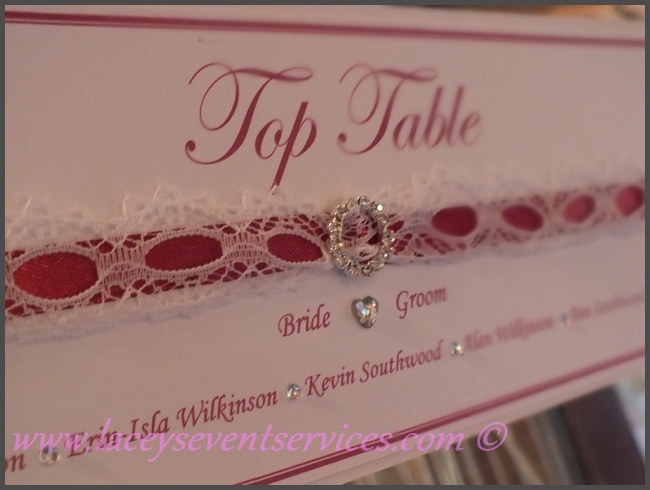 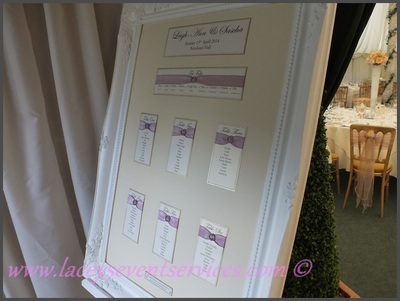 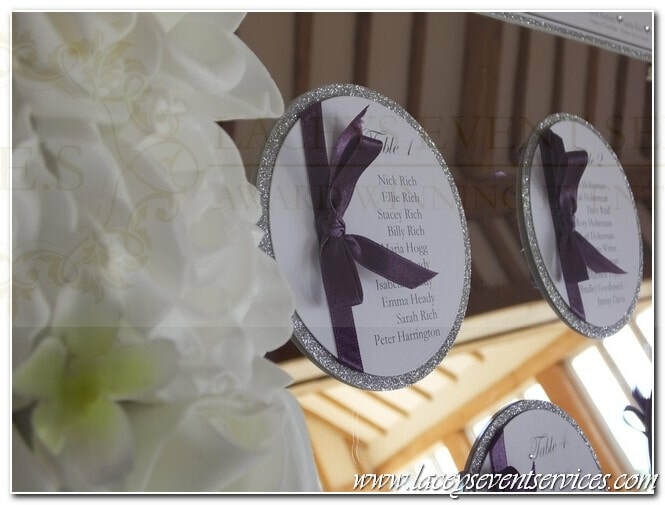 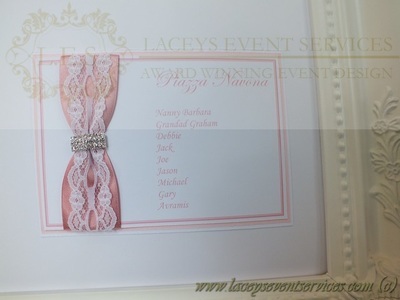 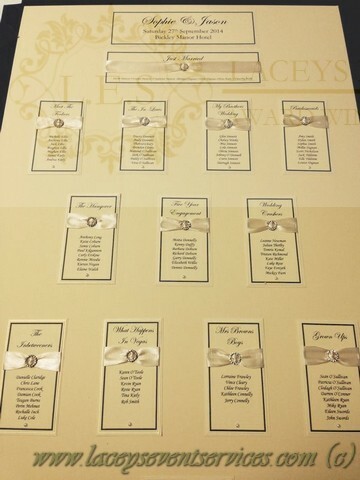 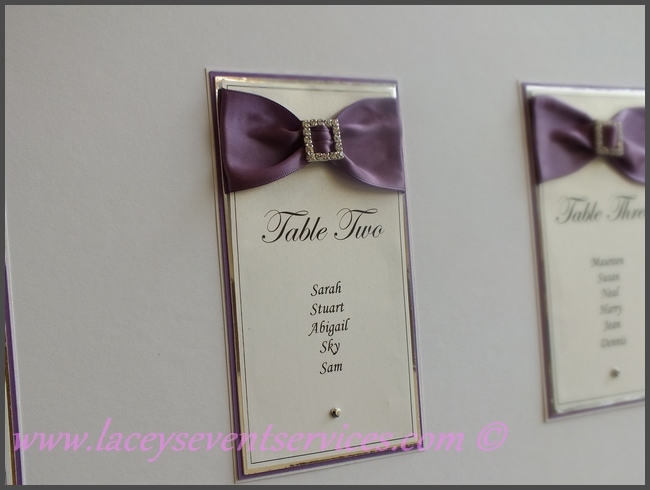 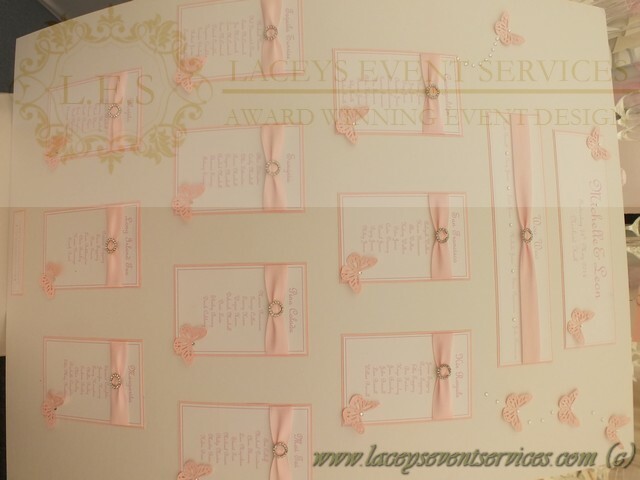 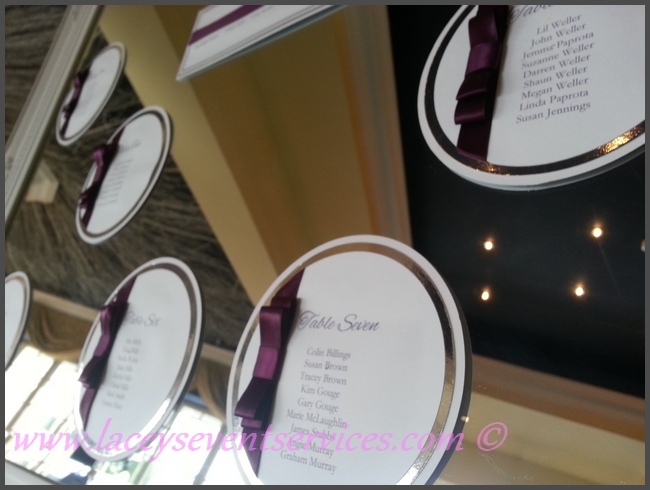 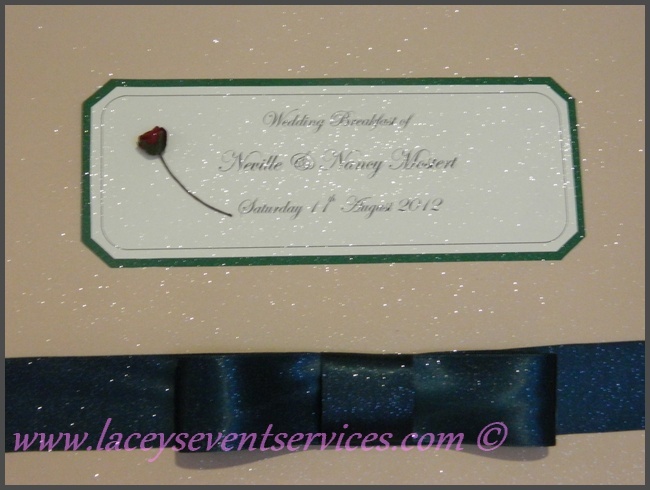 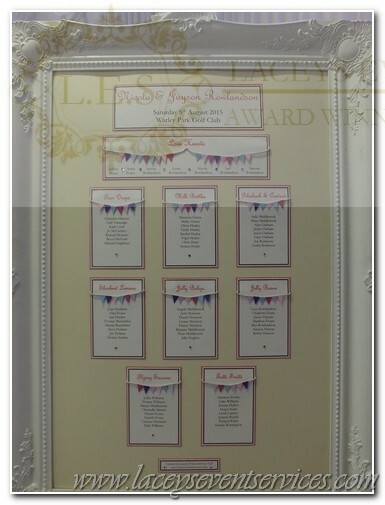 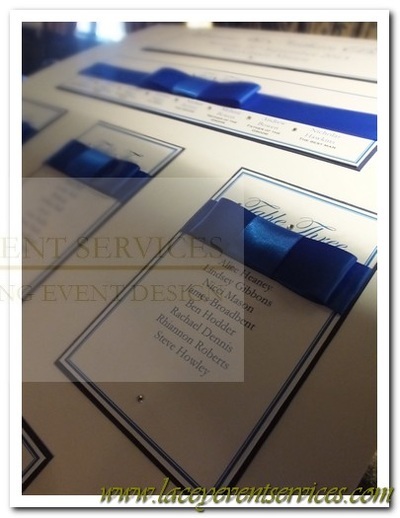 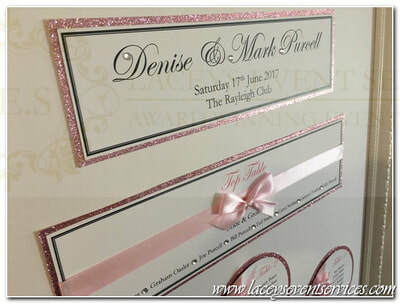 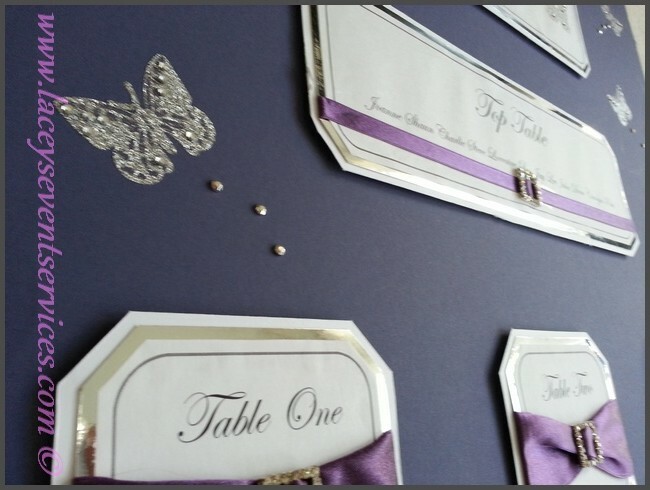 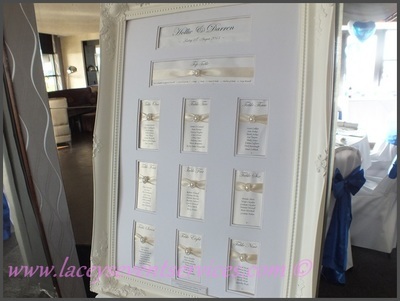 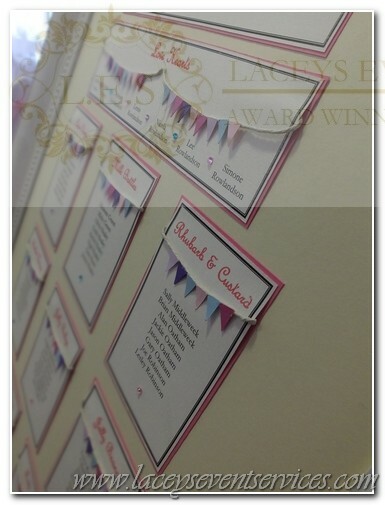 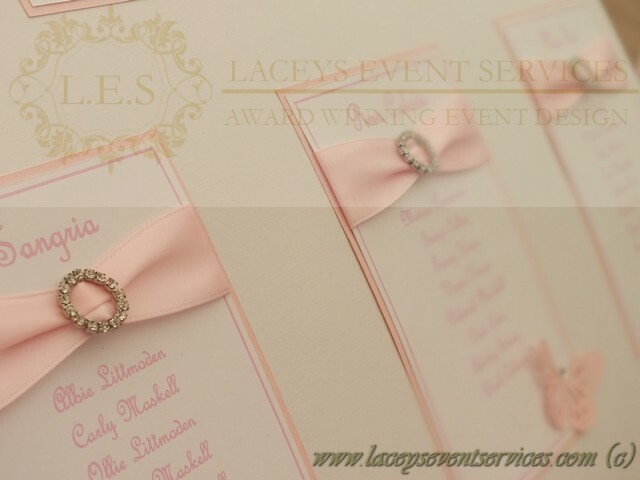 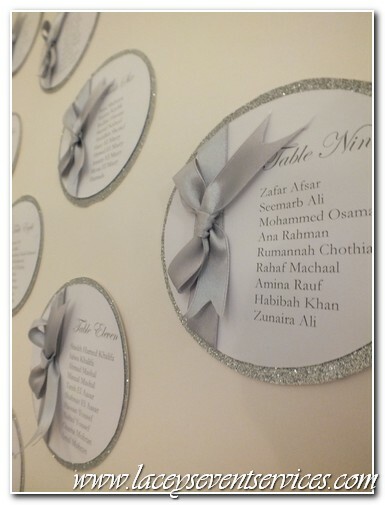 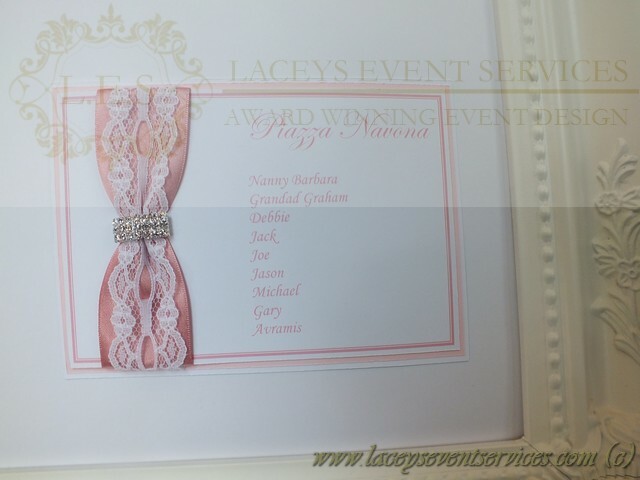 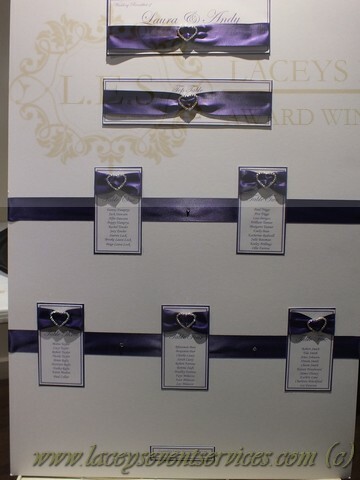 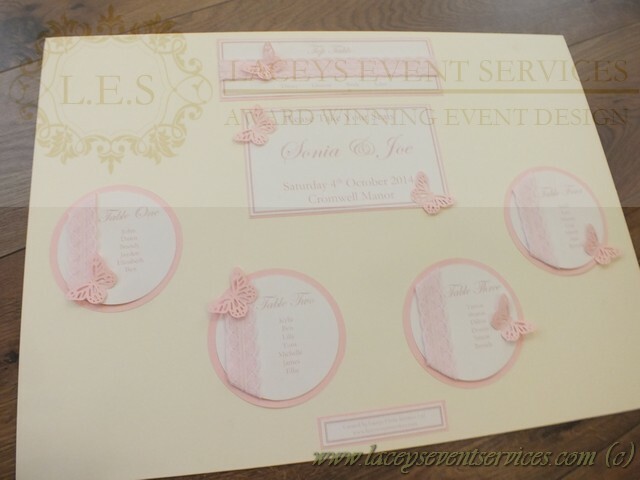 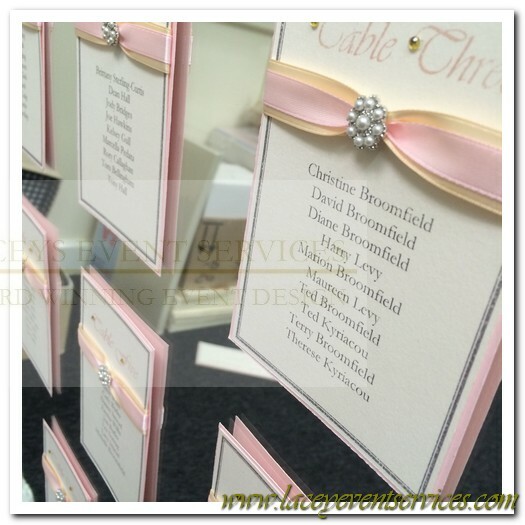 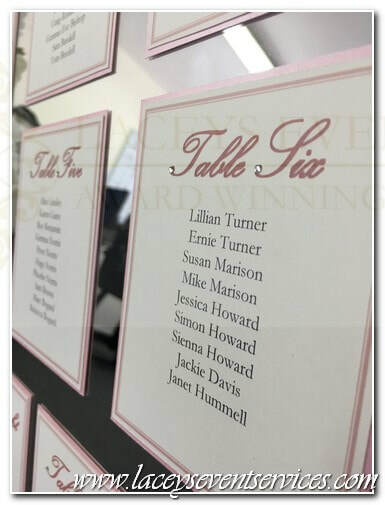 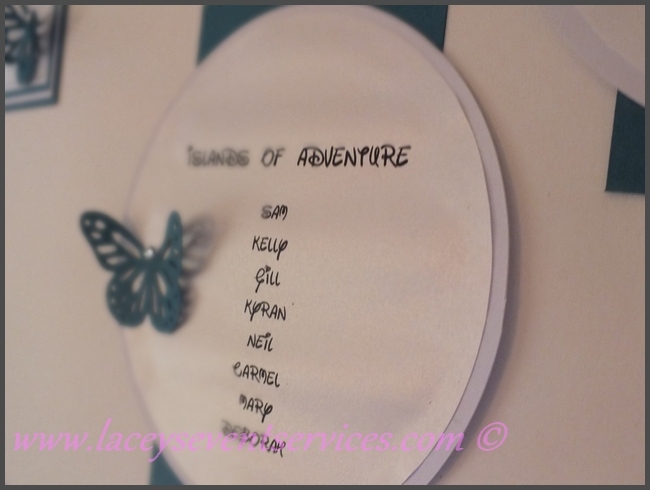 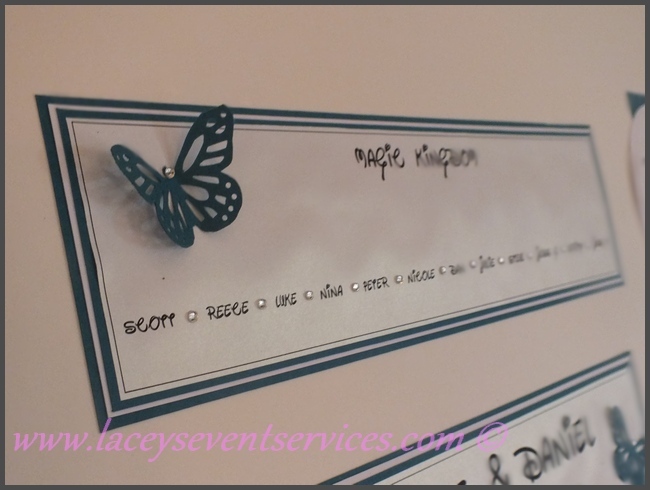 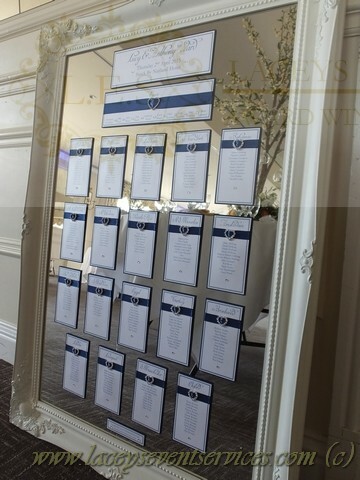 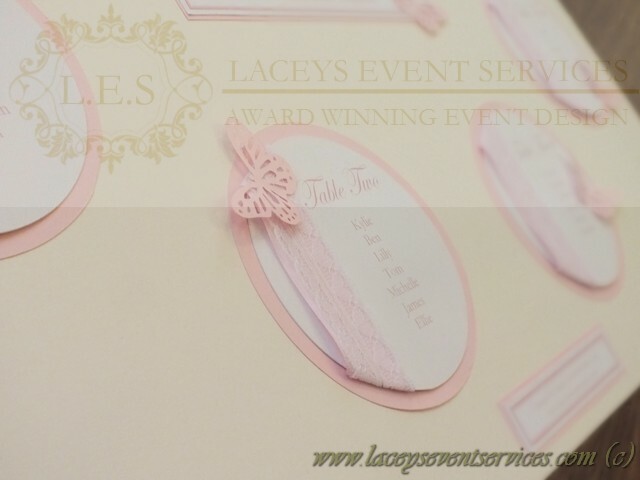 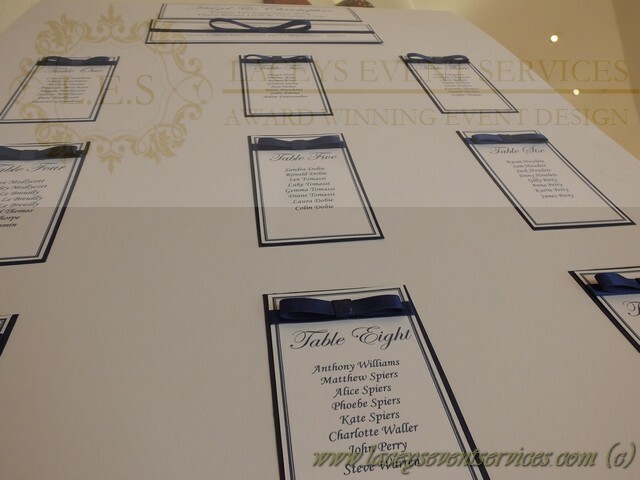 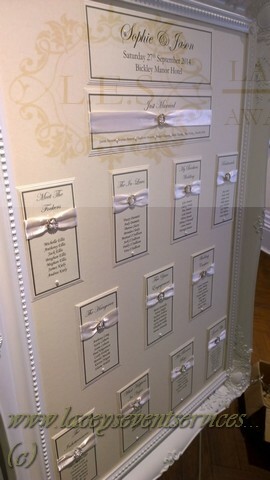 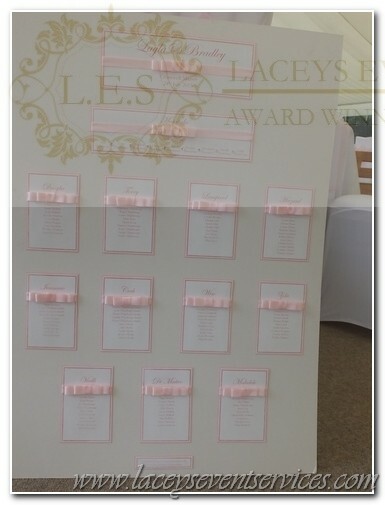 Whatever your theme or colour scheme, we can incorporate them into a visually beautiful wedding seating plan that your guests will admire with delight and afterwards you can keep as a memento of all that attended your special day. 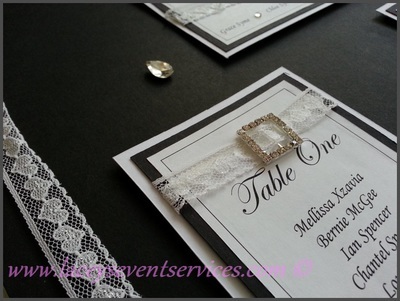 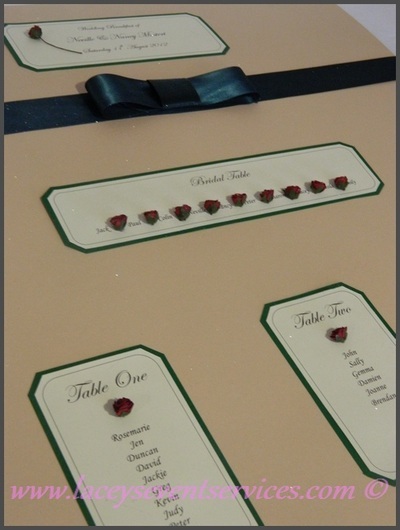 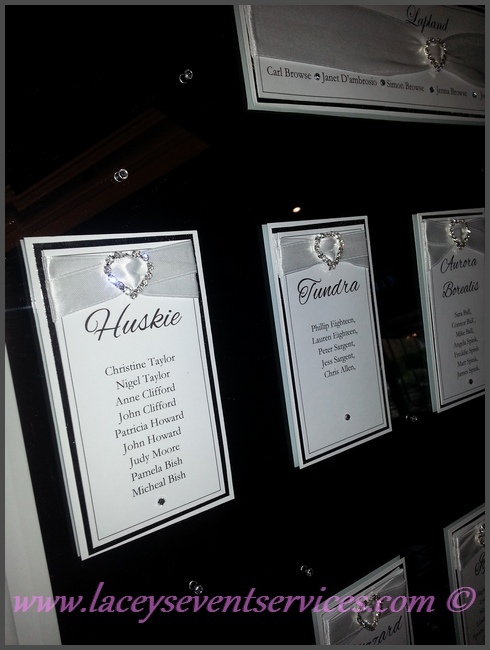 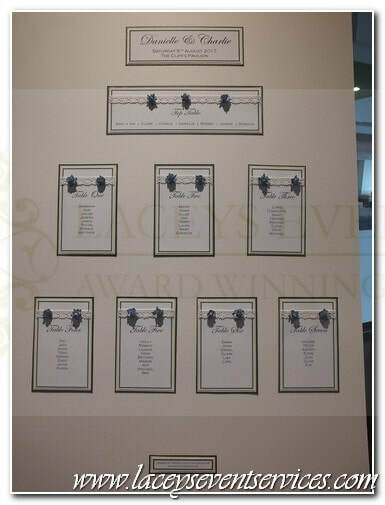 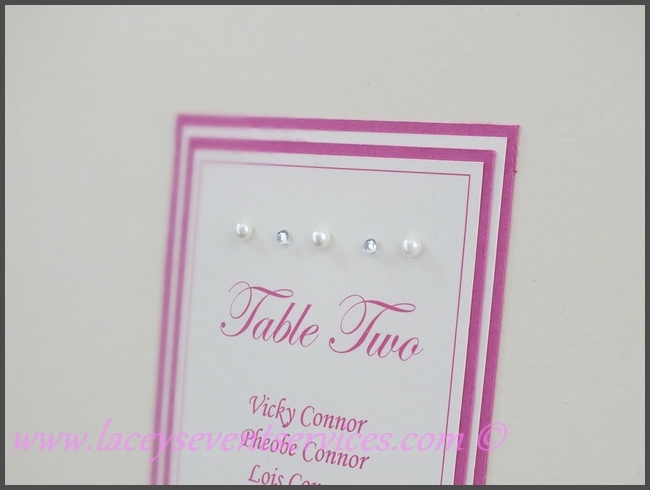 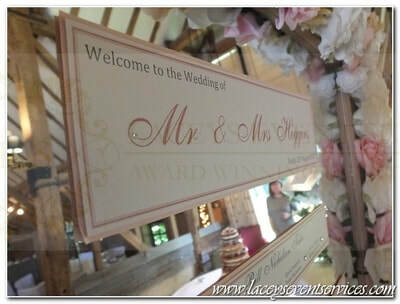 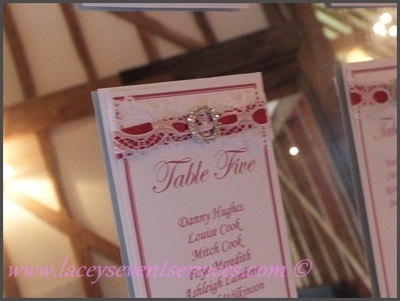 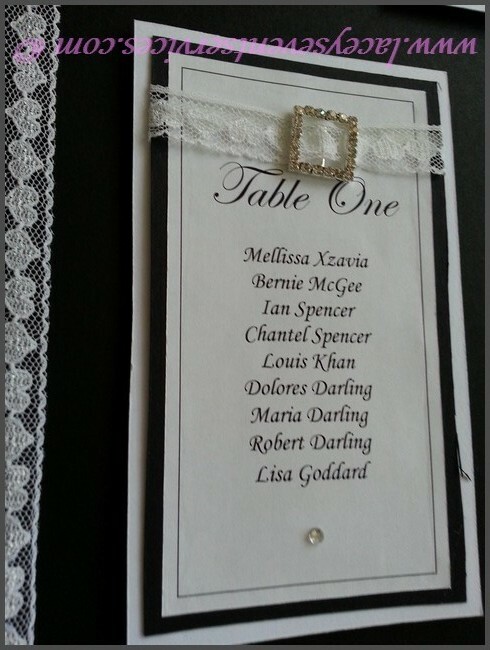 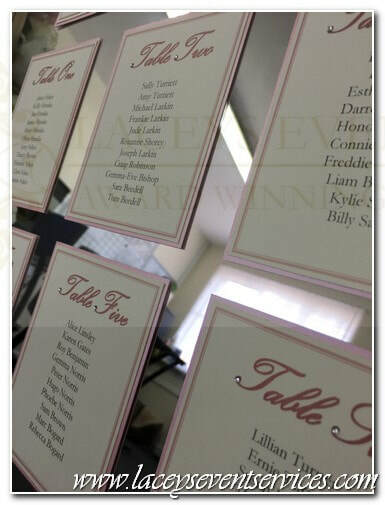 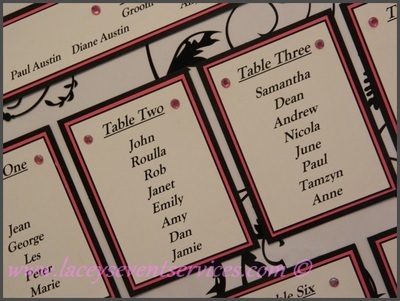 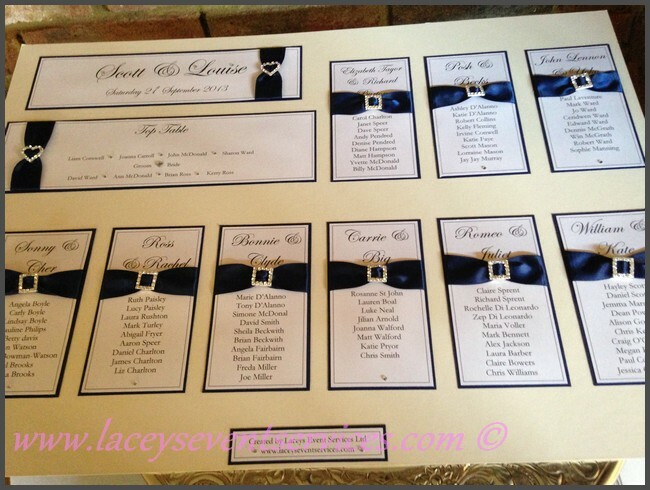 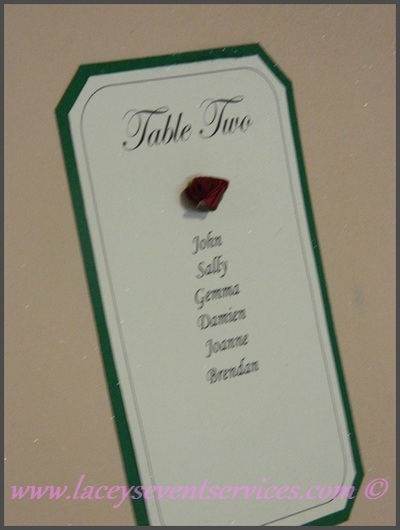 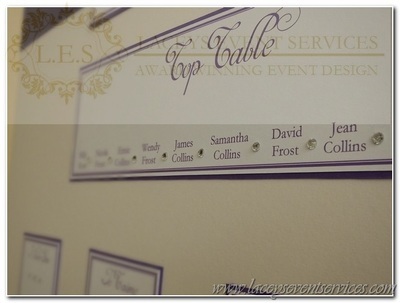 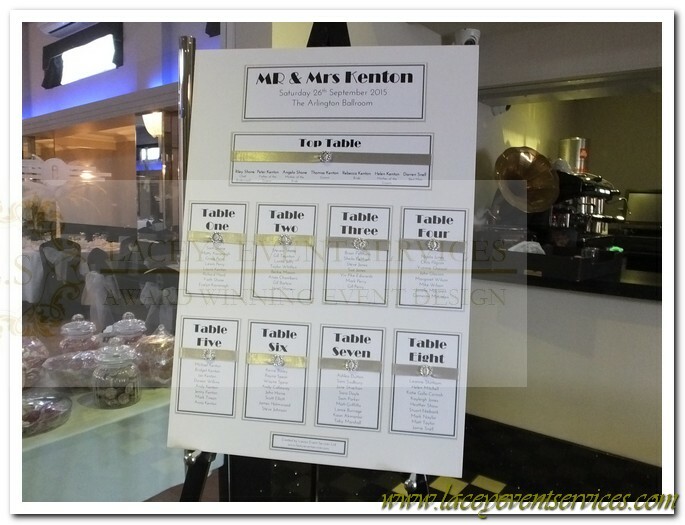 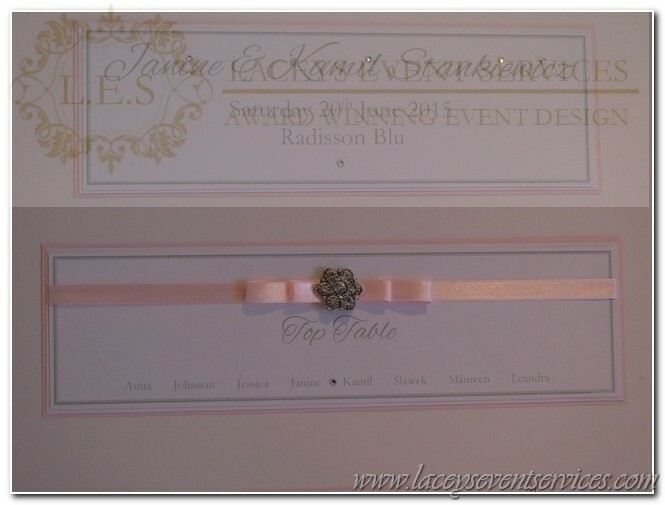 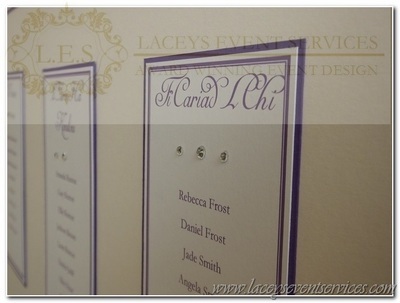 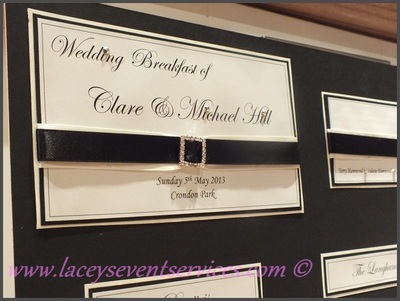 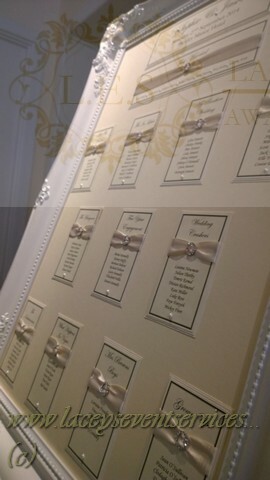 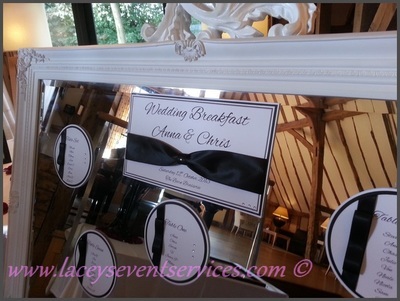 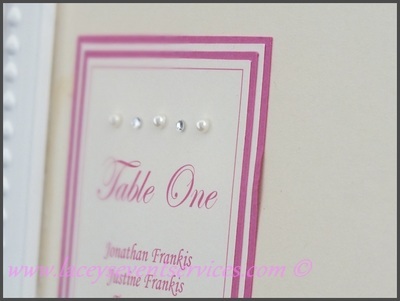 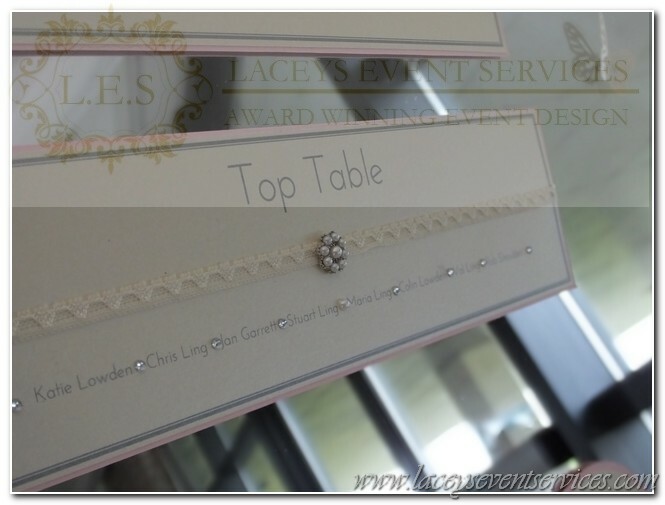 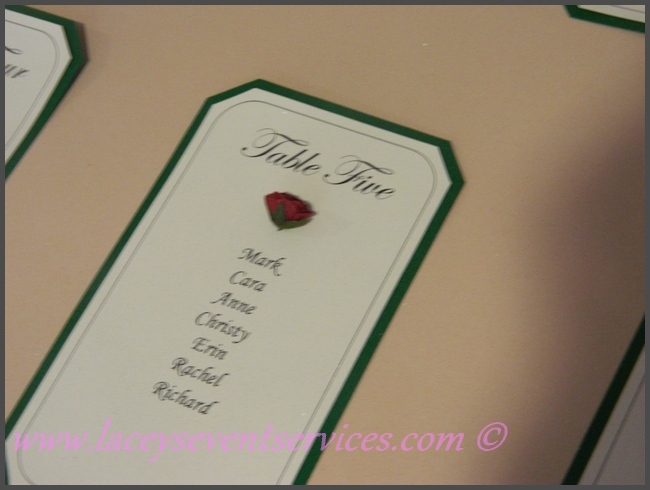 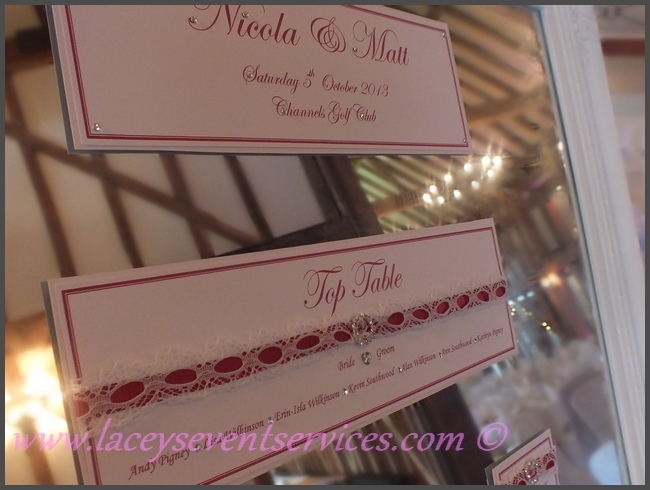 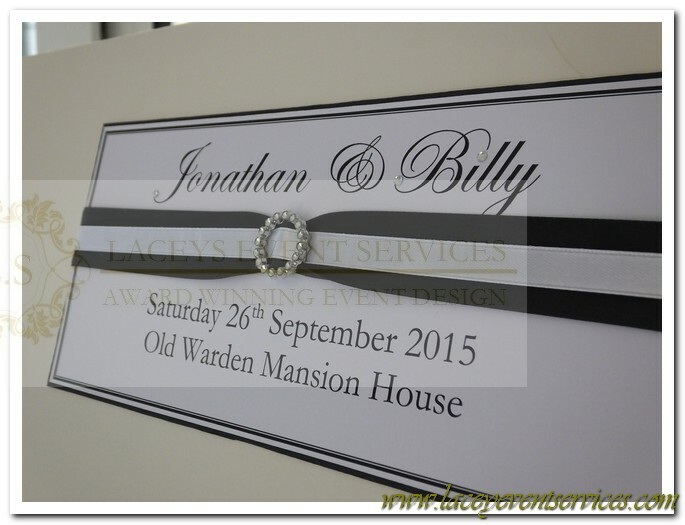 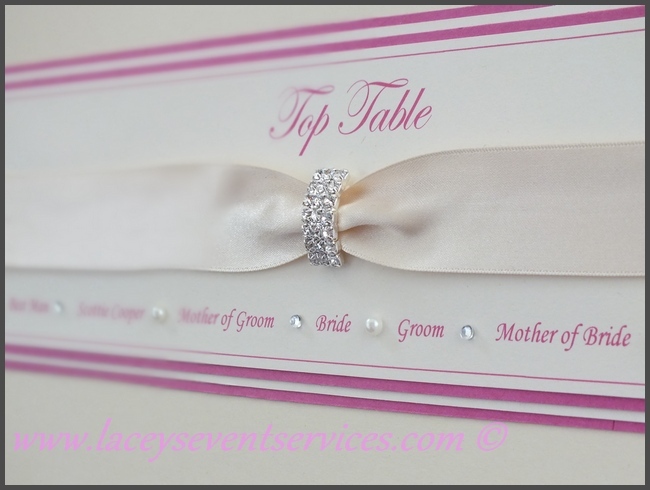 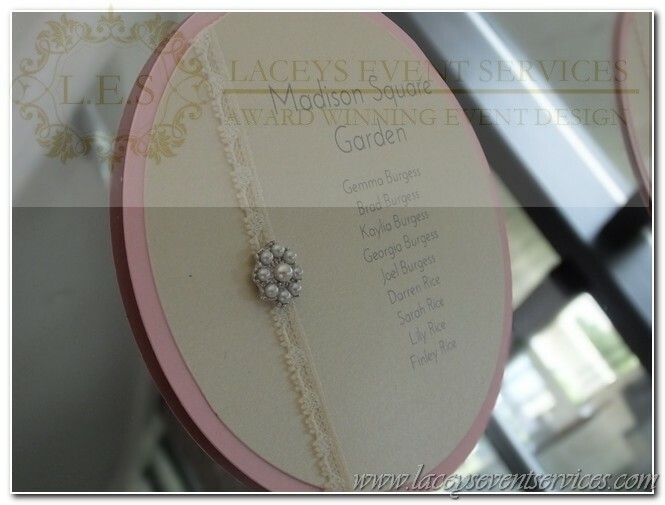 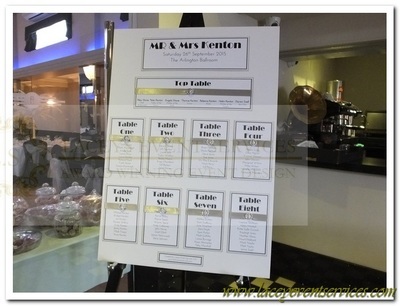 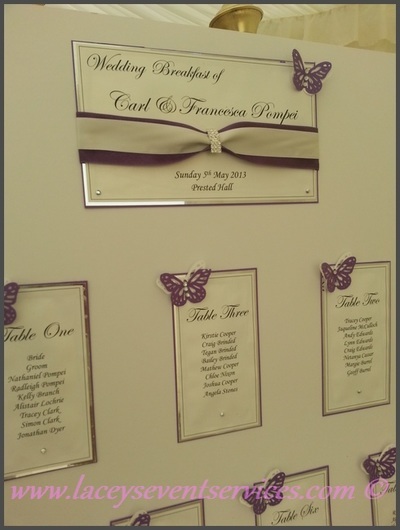 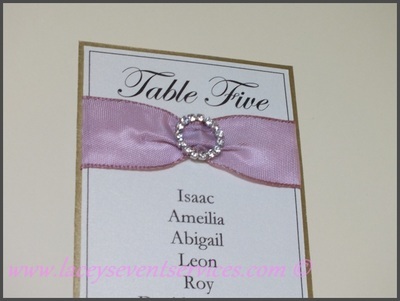 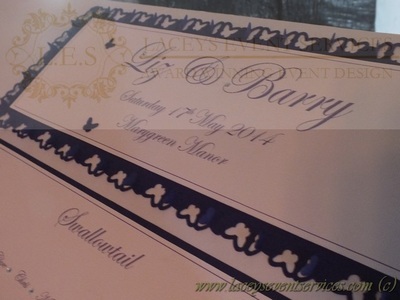 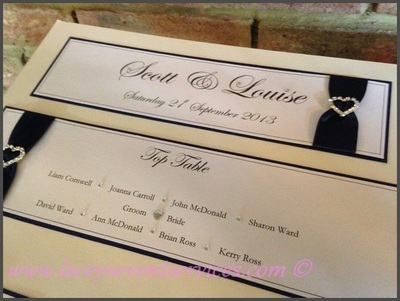 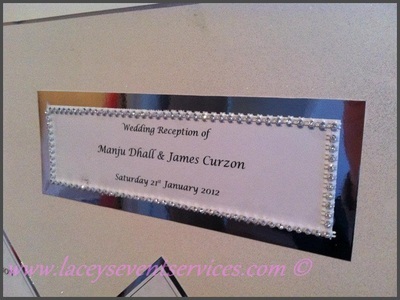 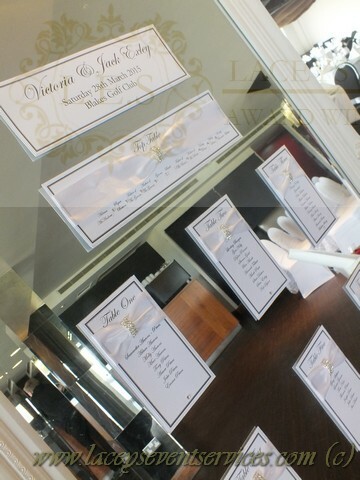 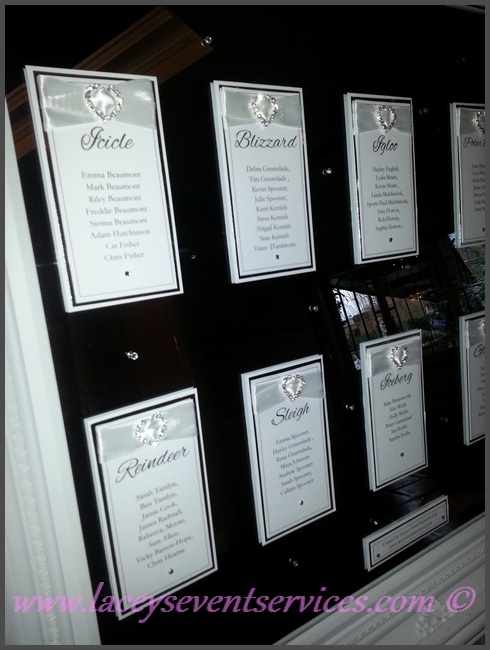 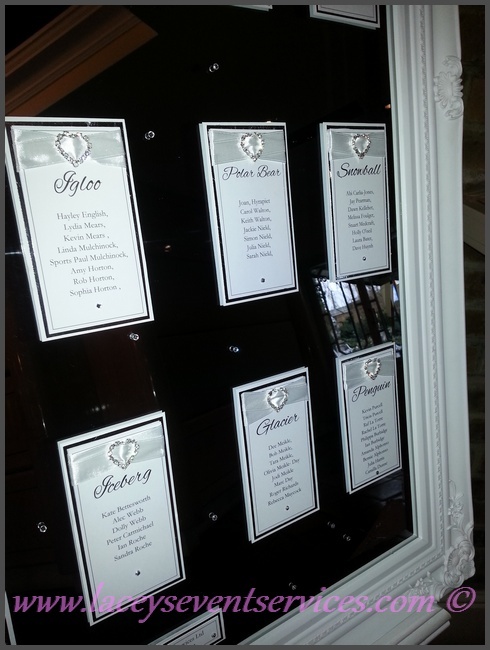 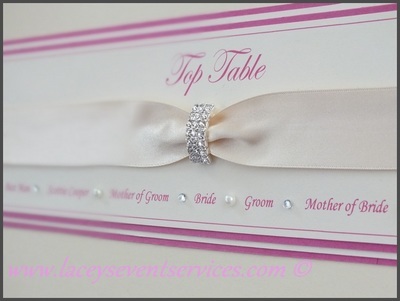 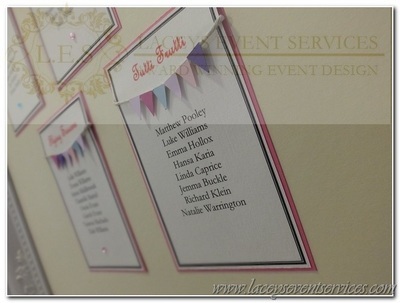 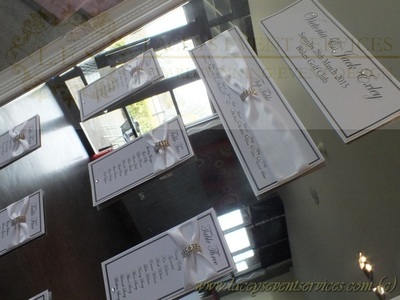 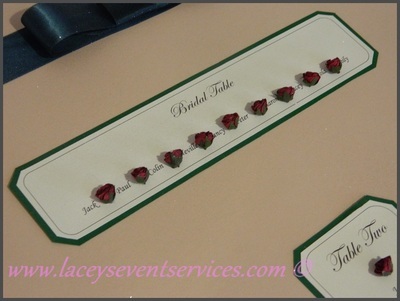 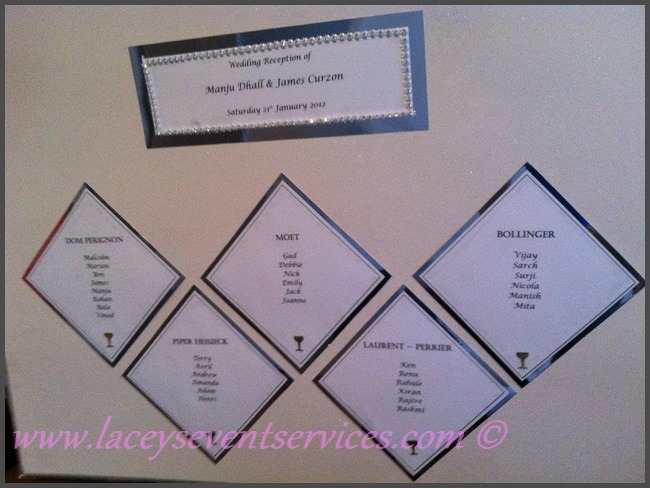 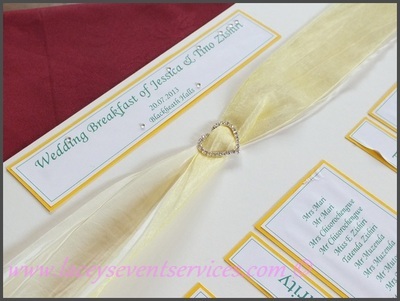 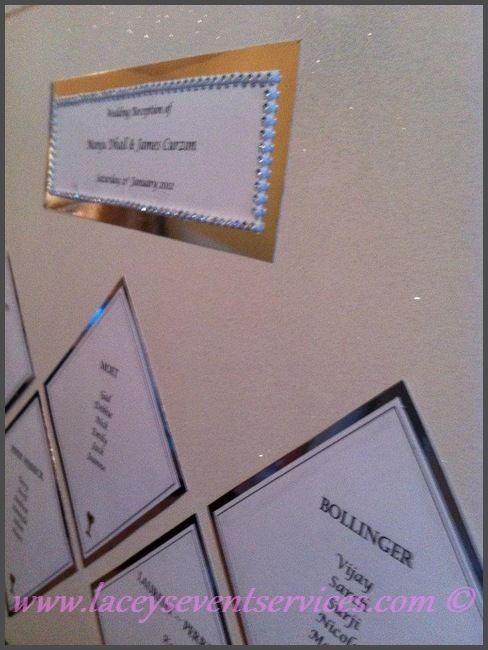 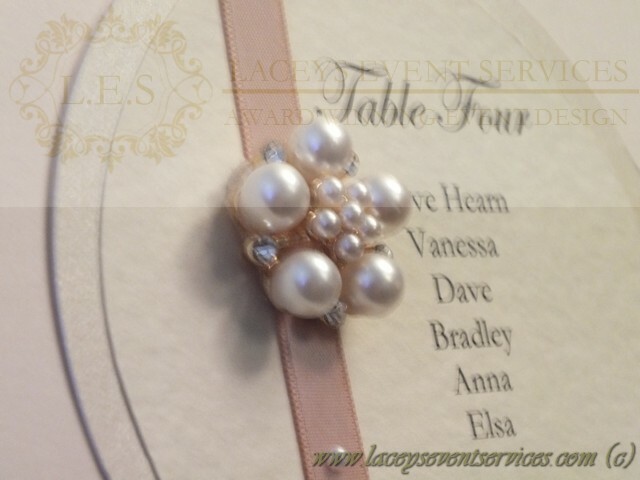 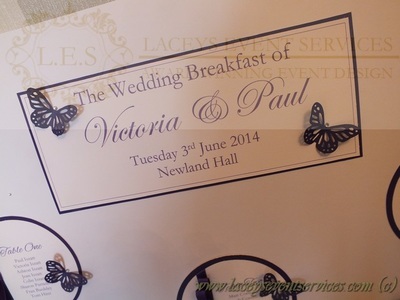 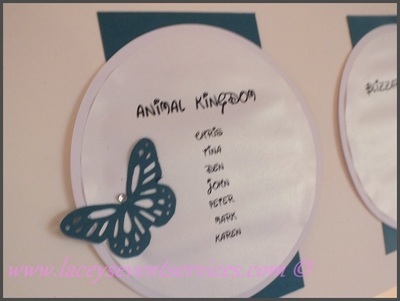 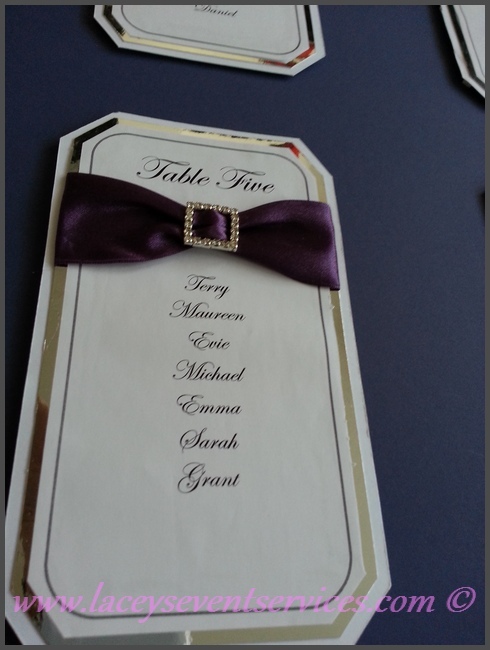 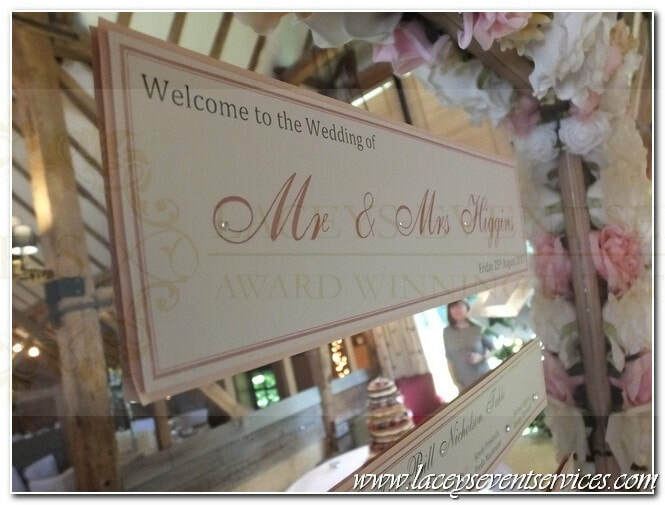 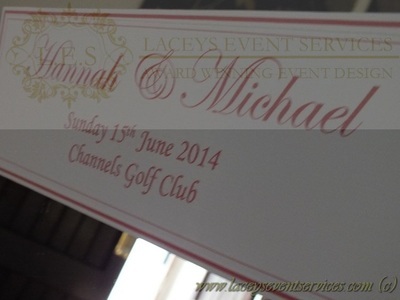 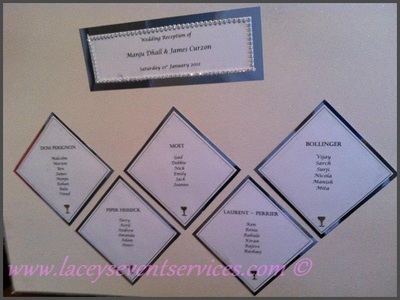 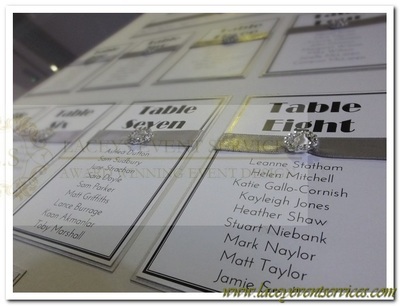 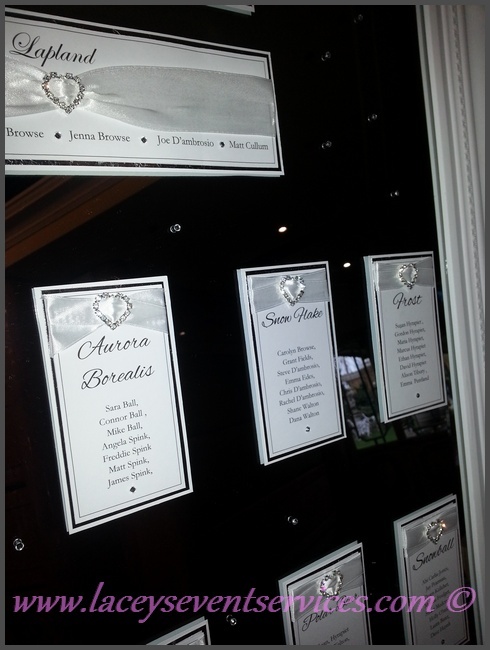 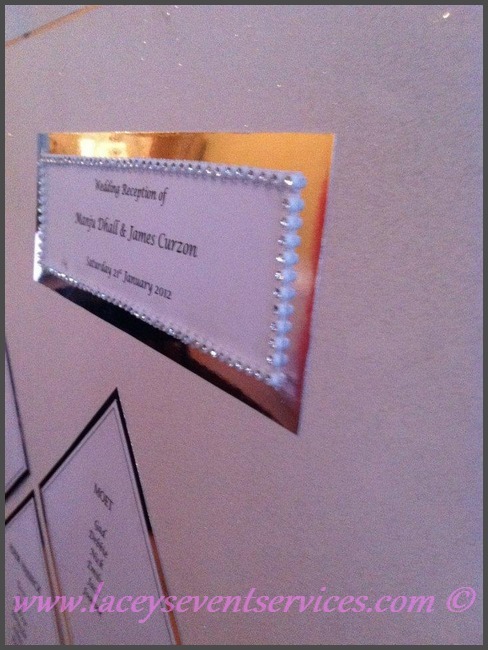 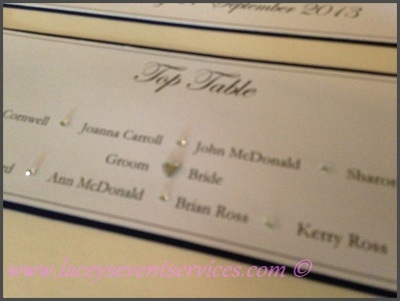 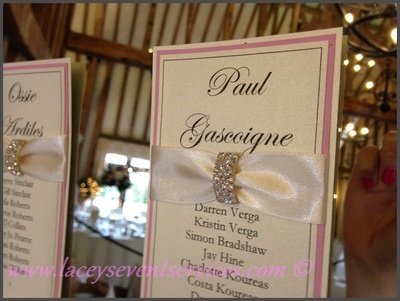 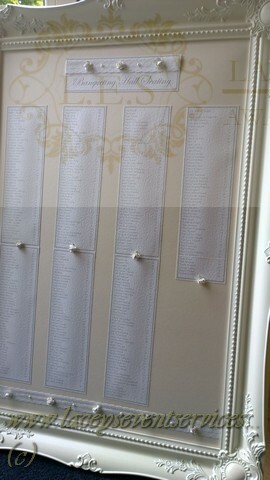 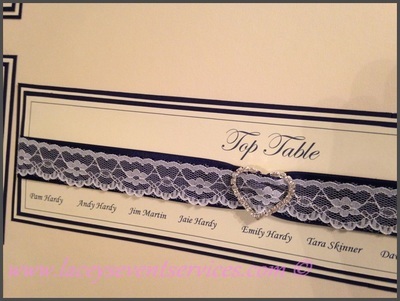 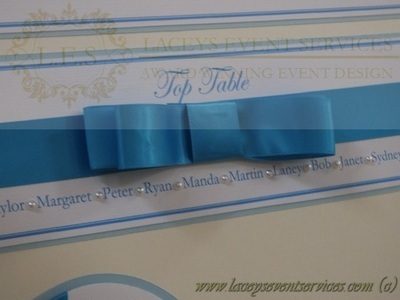 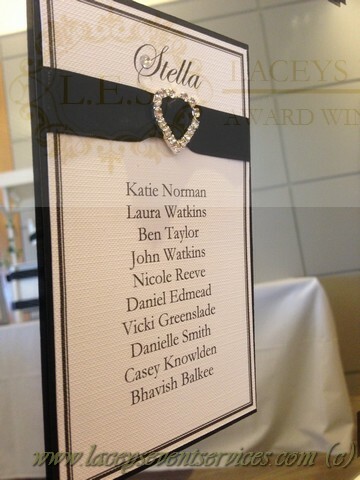 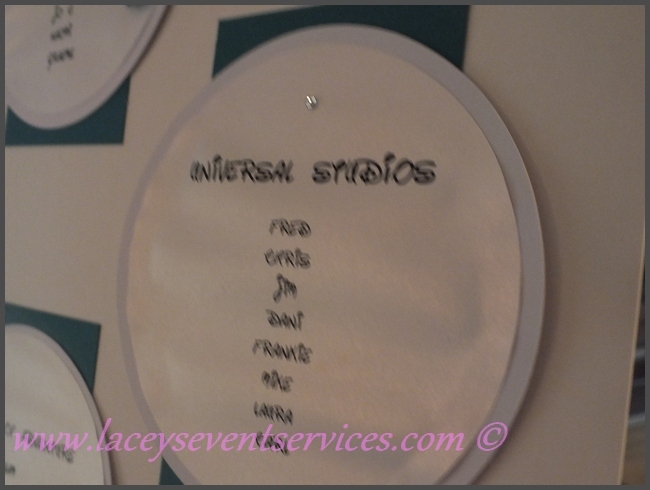 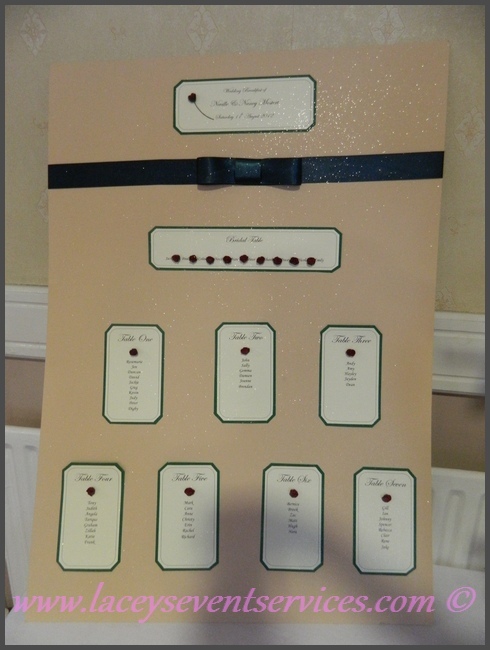 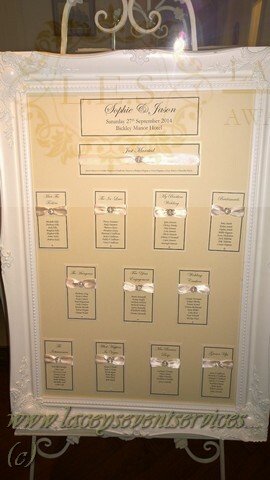 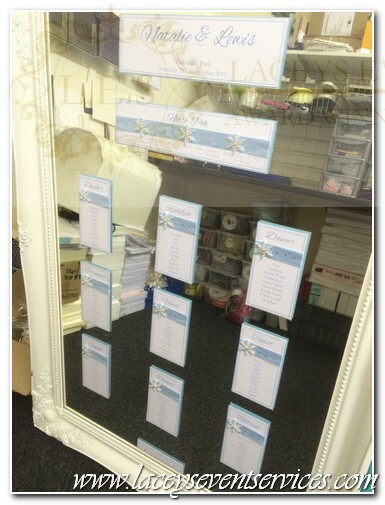 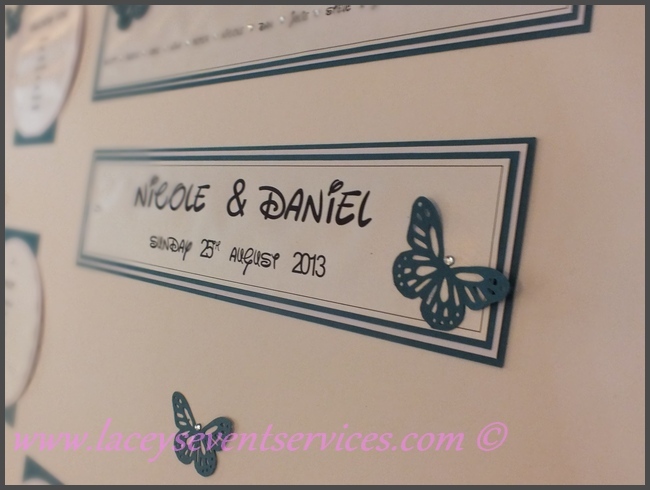 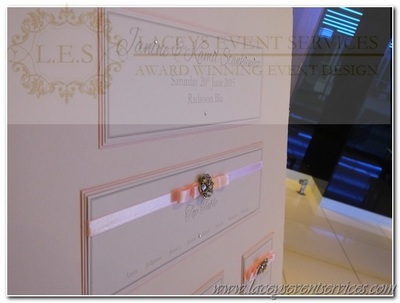 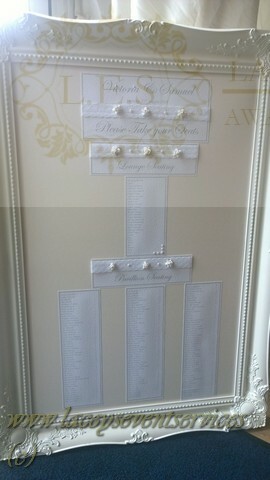 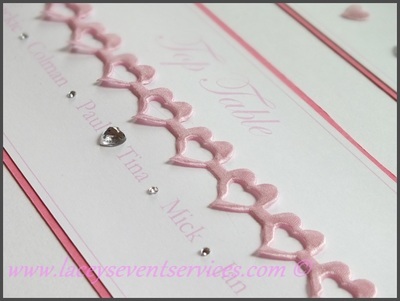 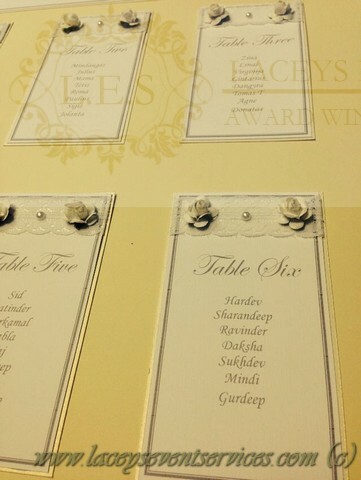 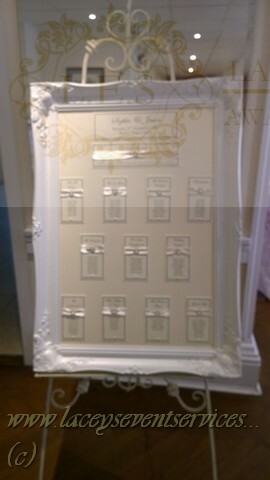 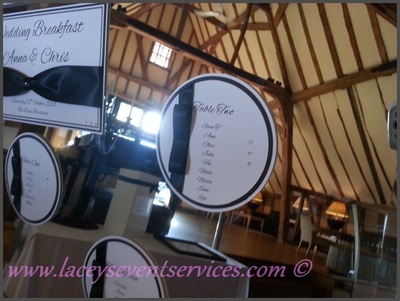 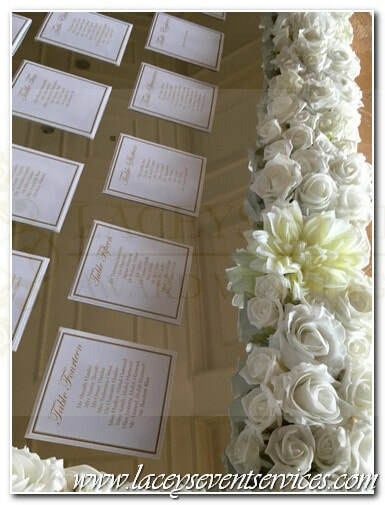 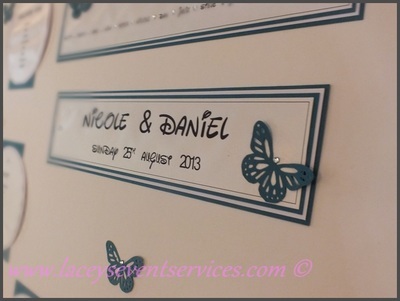 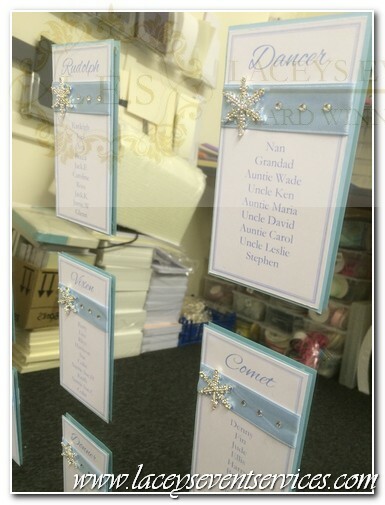 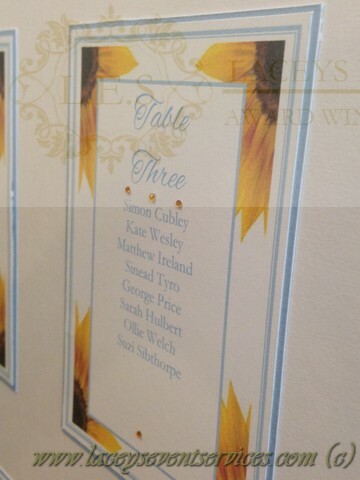 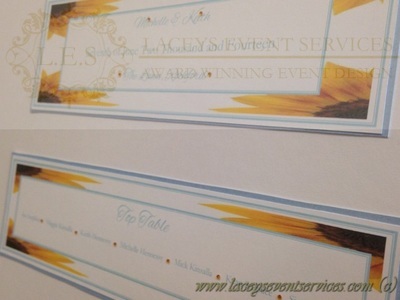 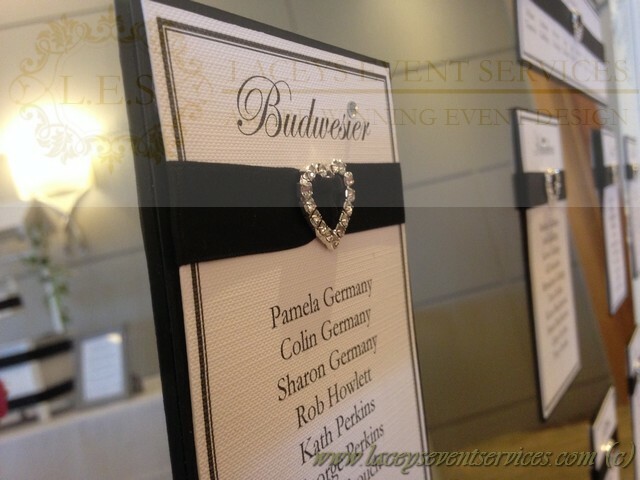 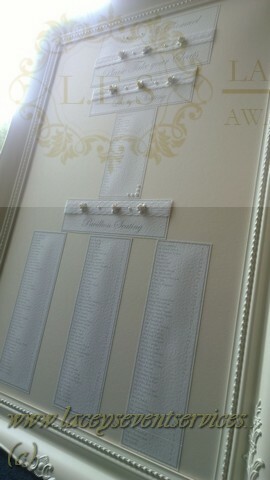 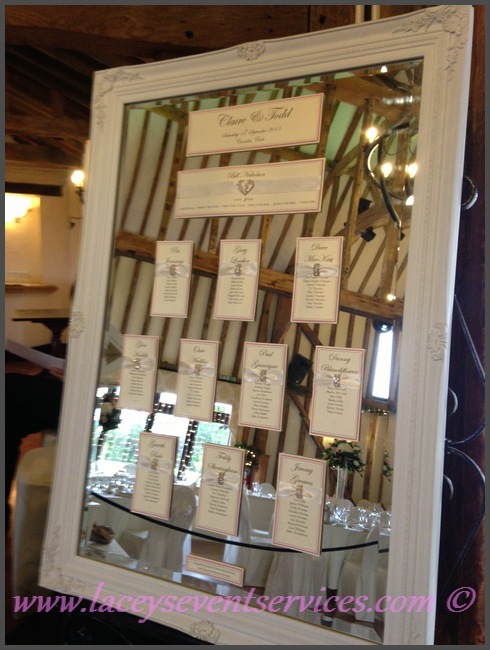 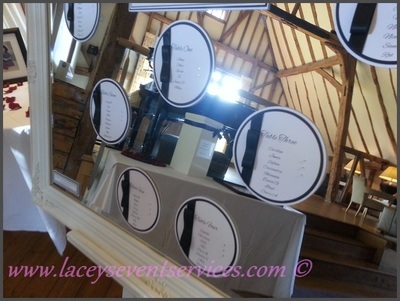 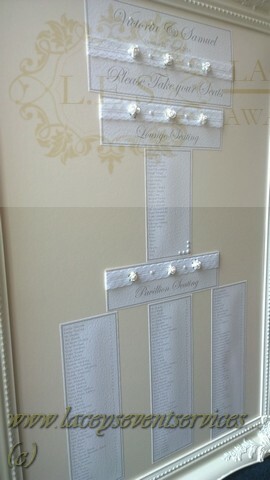 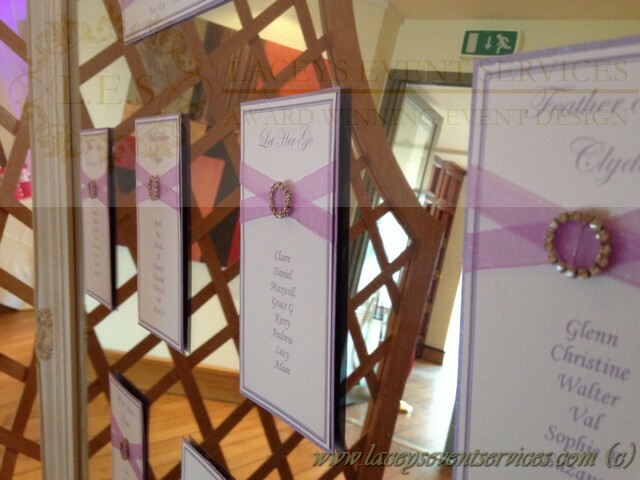 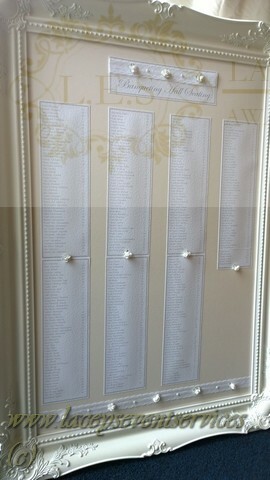 All of our wedding table and seating plans are made to order so we welcome your suggestions and ideas. 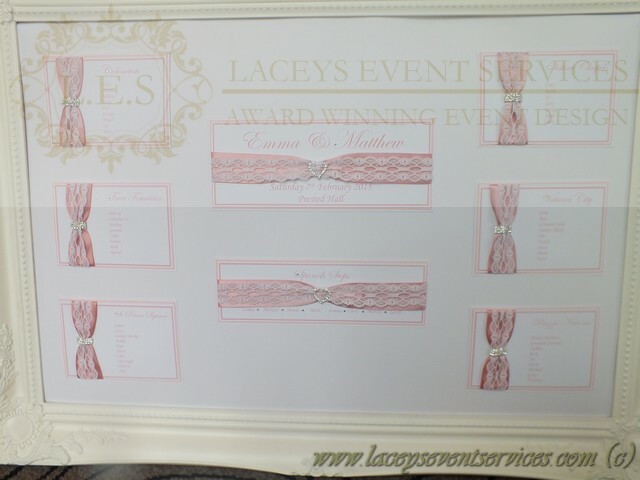 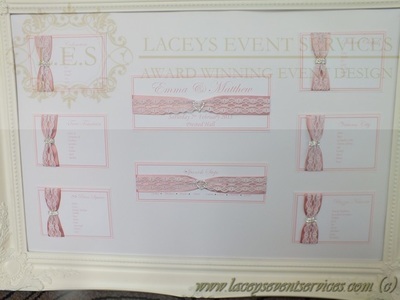 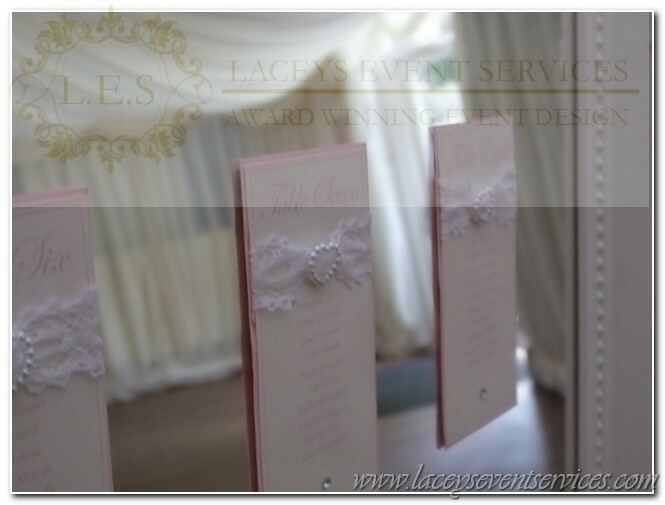 We can adapt one of our existing designs to suit your colour scheme or we can create a new wedding table plan completely from scratch for you! 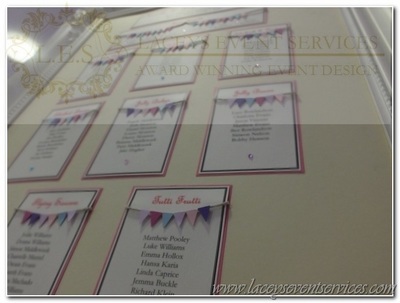 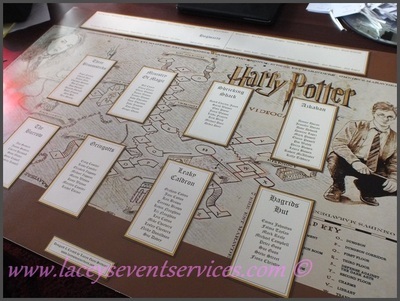 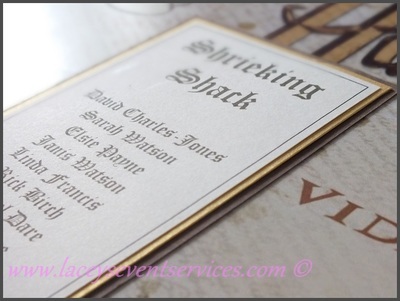 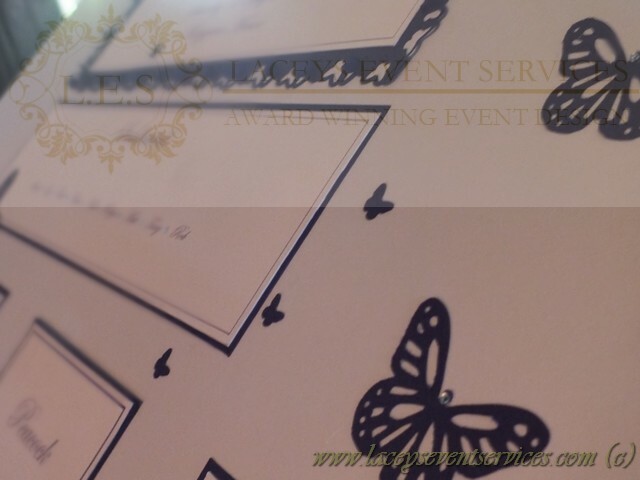 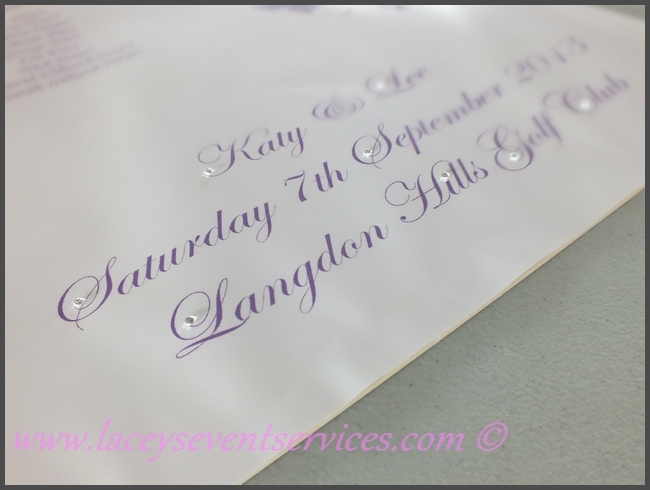 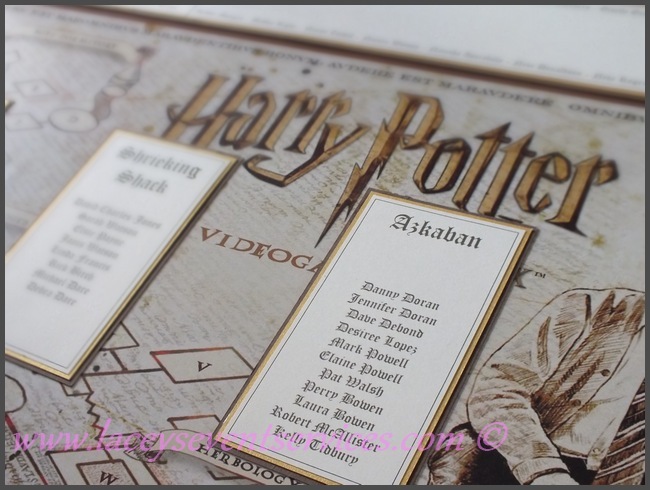 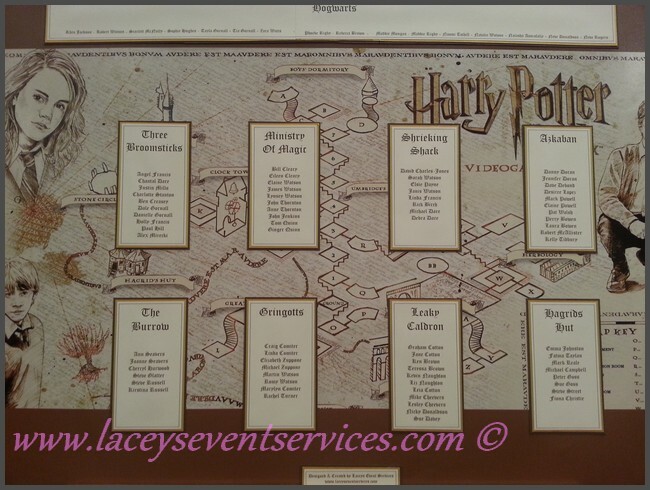 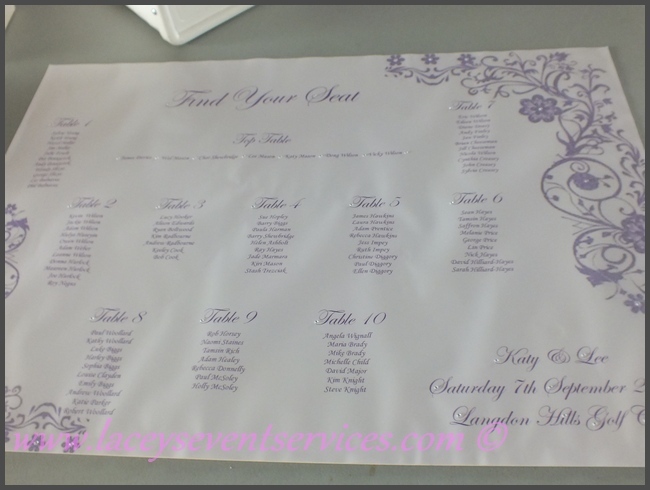 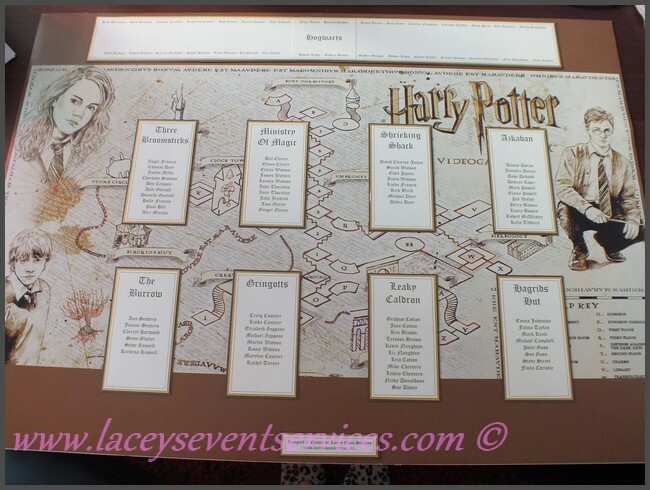 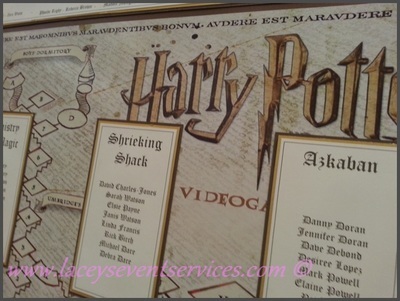 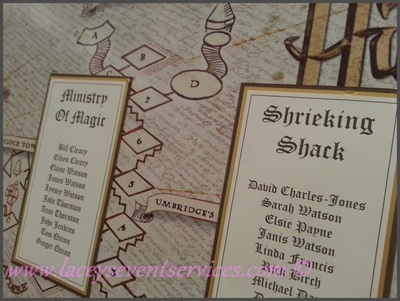 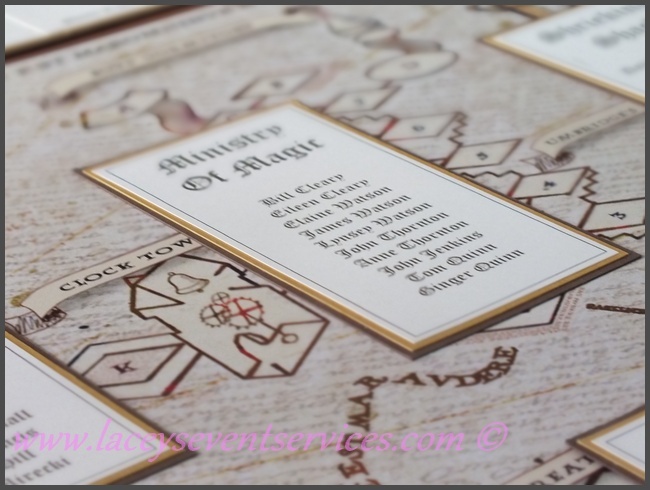 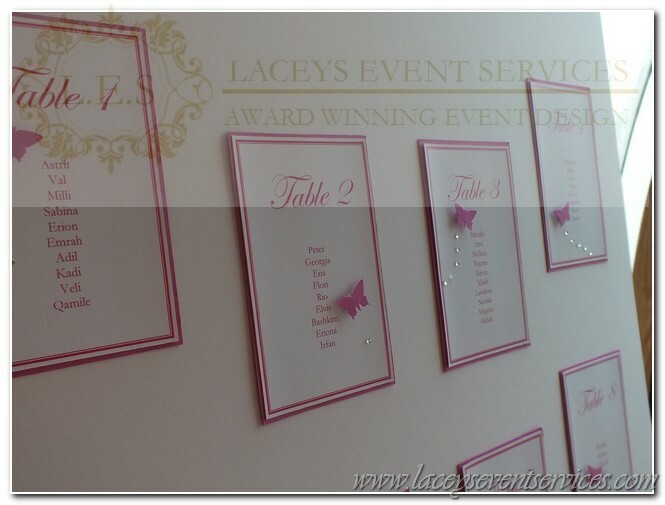 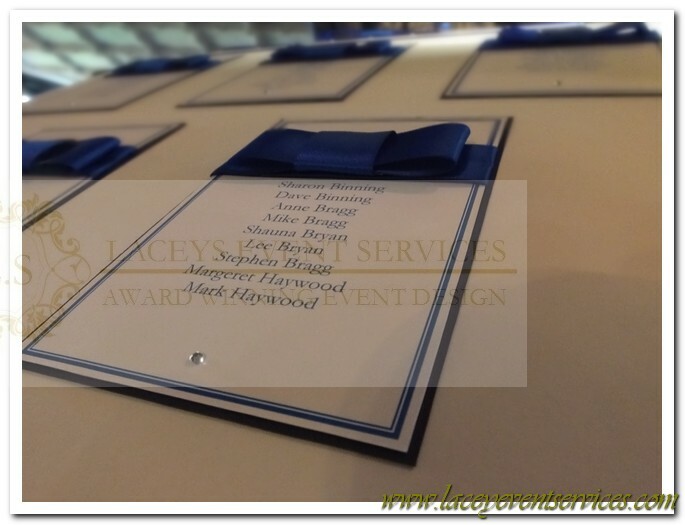 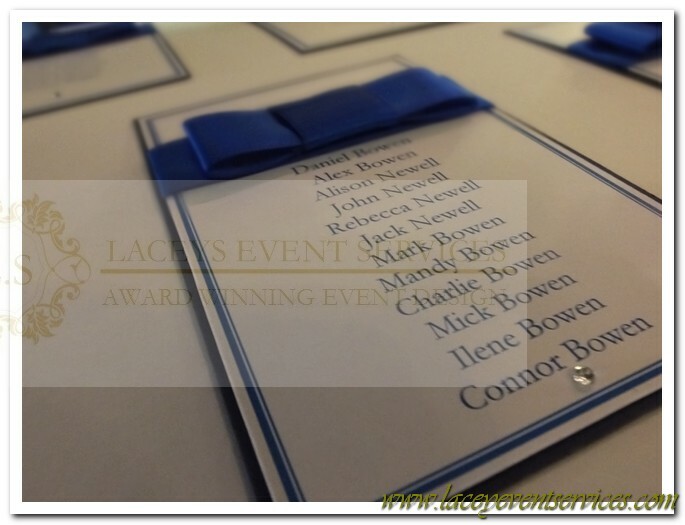 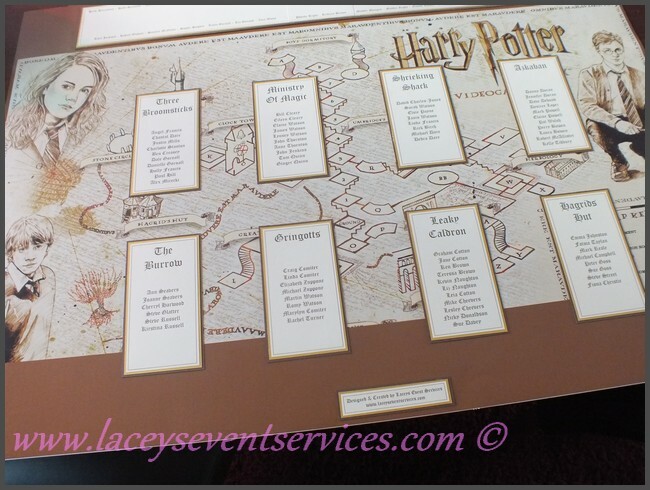 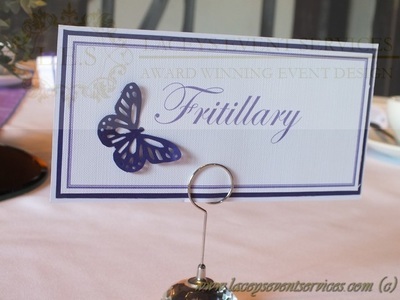 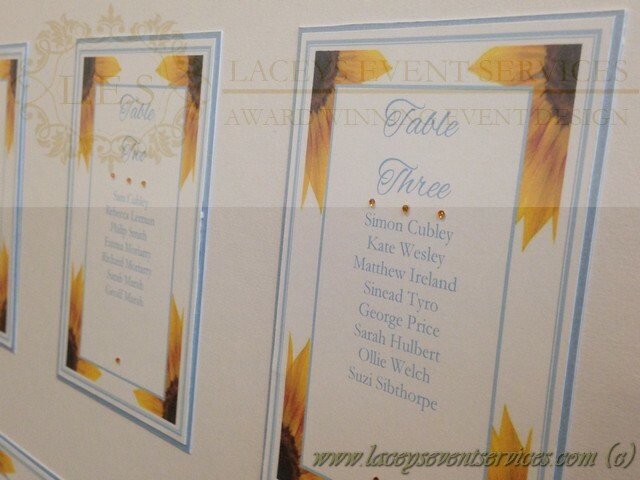 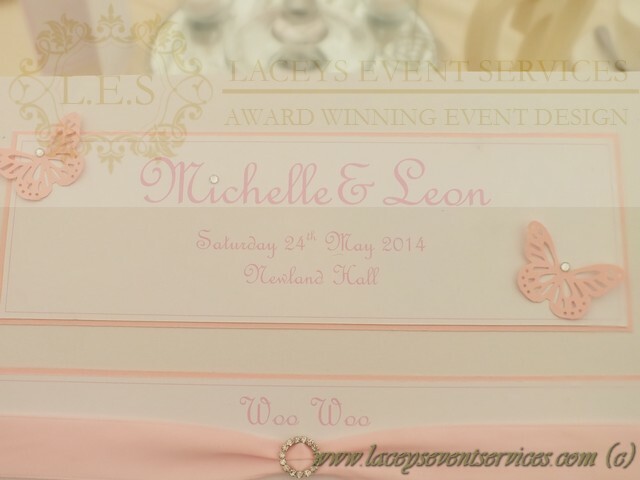 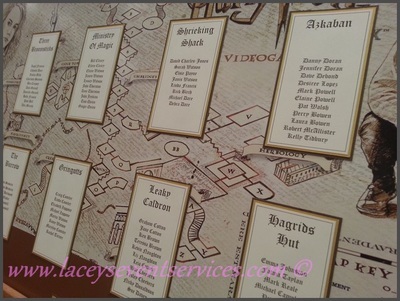 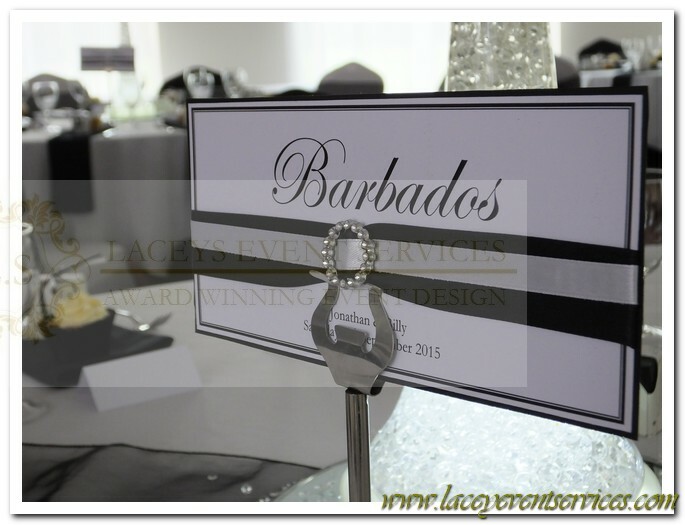 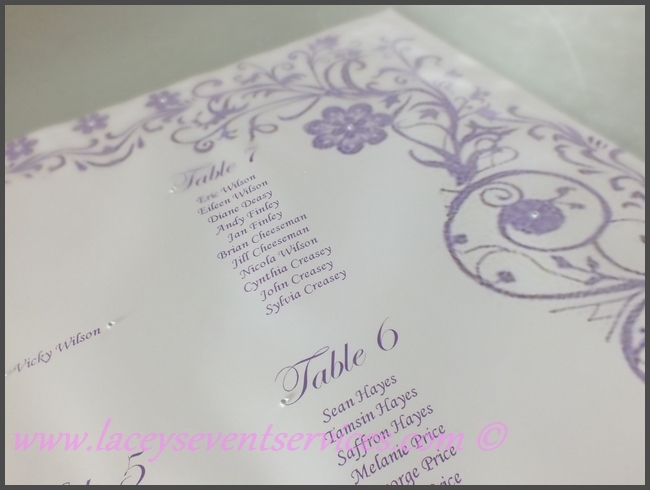 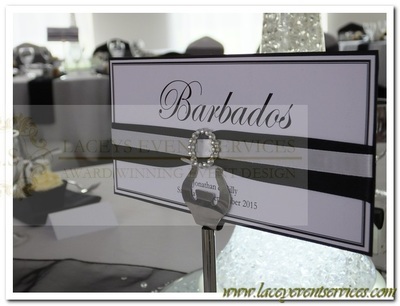 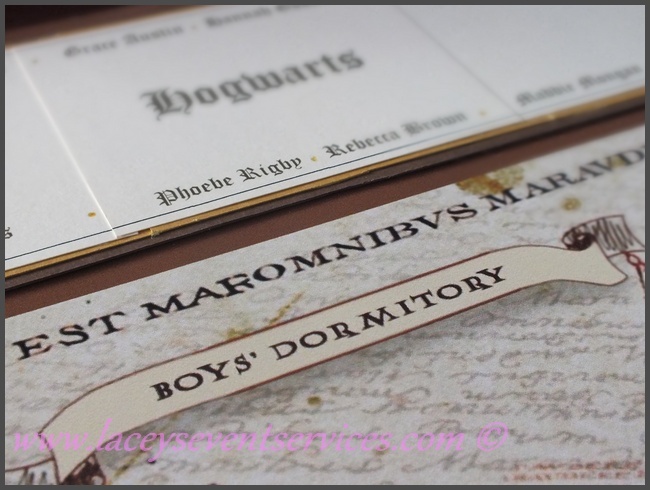 We can also supply Event Table Plans, Printed Seating Charts, Christening table Plan, Birthday Table Plan, Corporate Seating Plans and Themed Table Plans! 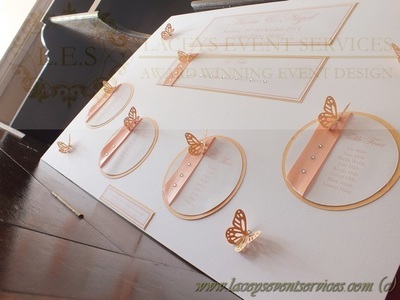 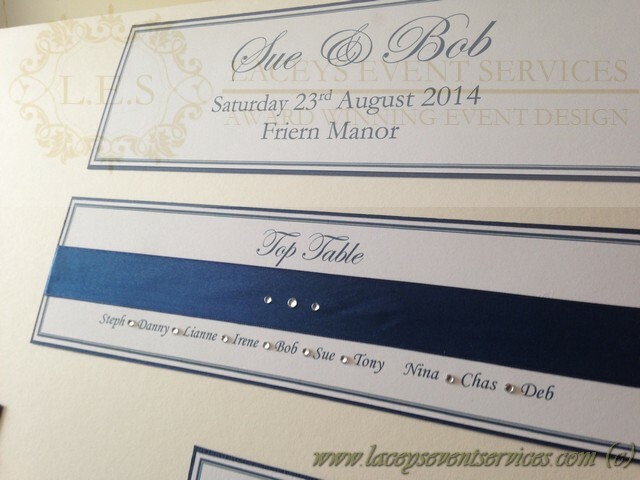 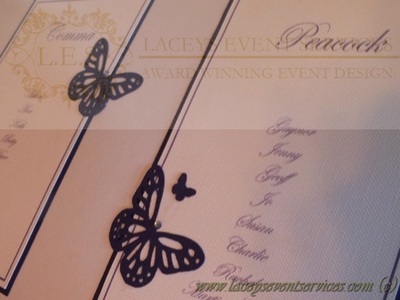 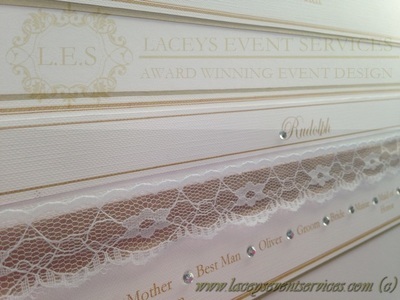 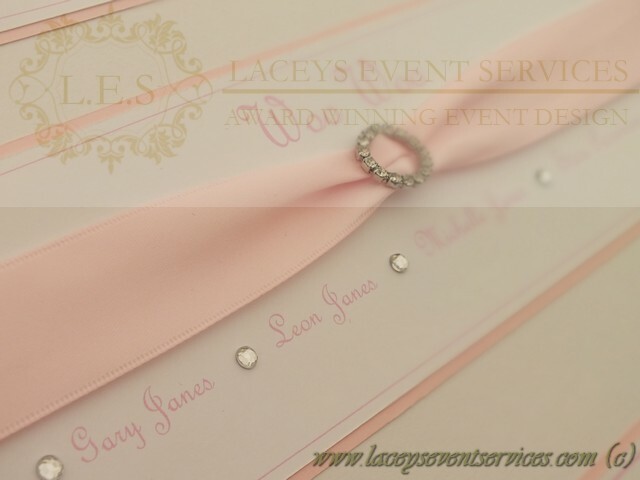 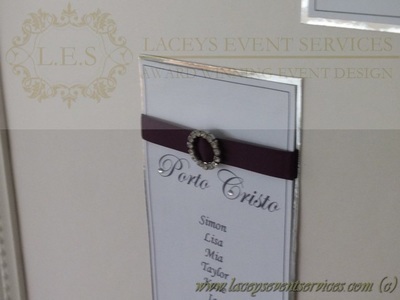 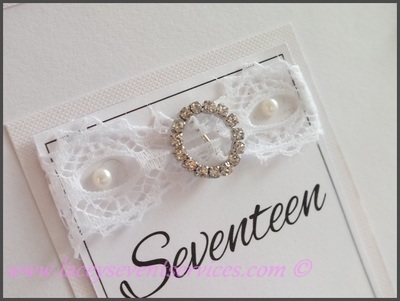 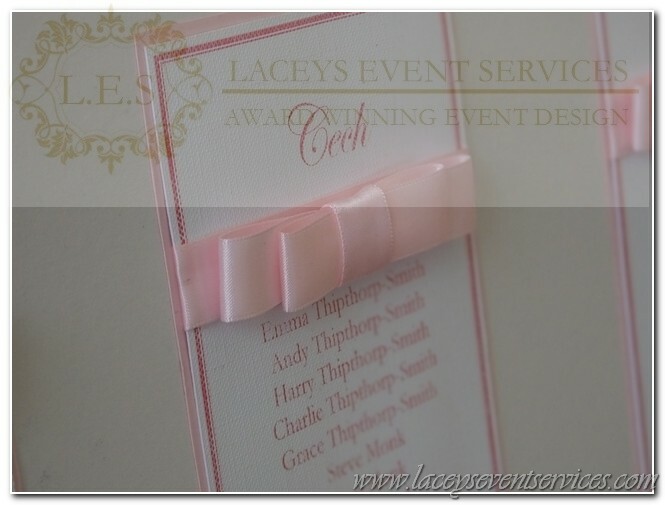 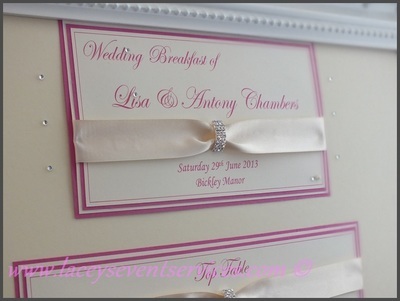 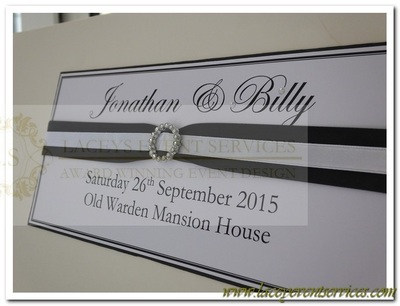 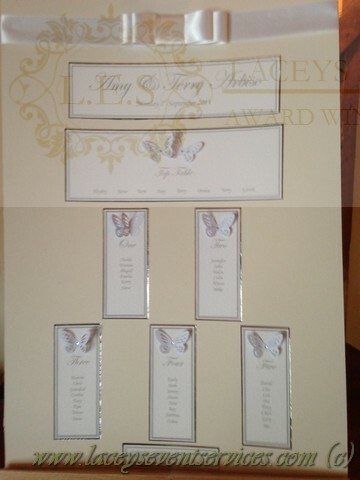 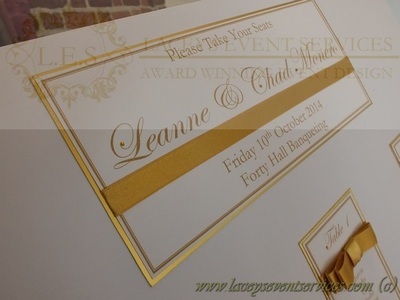 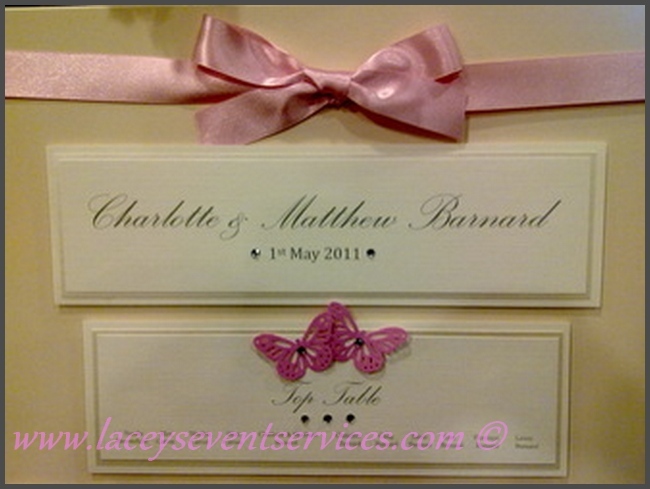 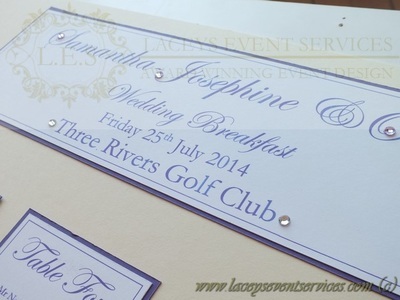 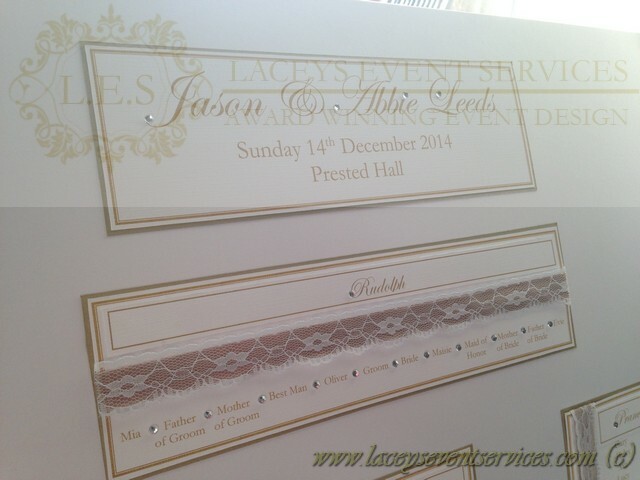 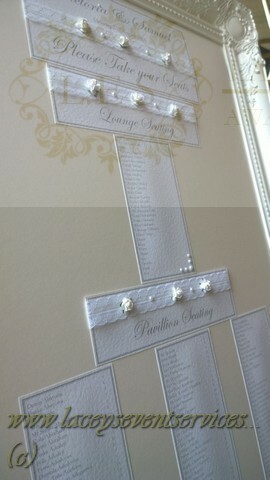 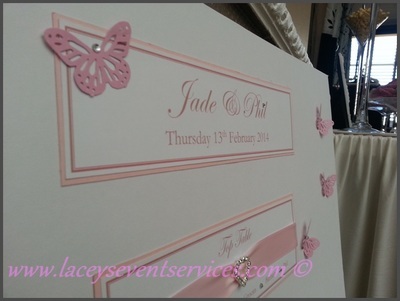 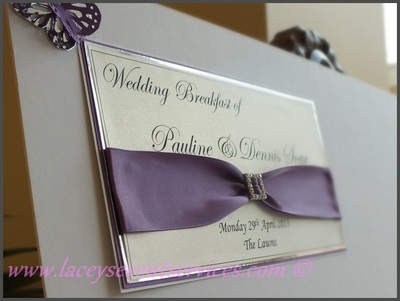 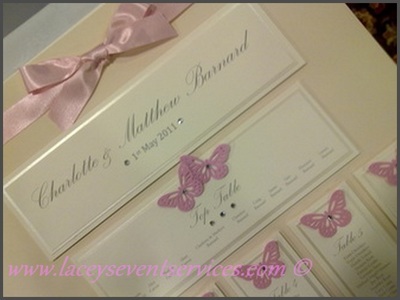 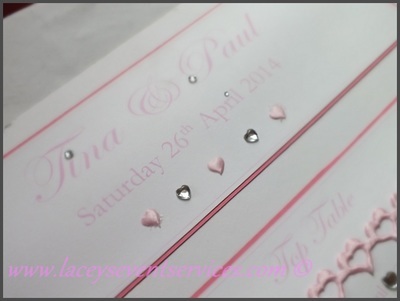 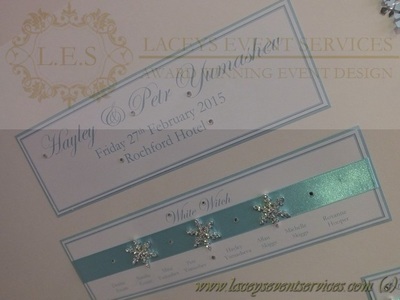 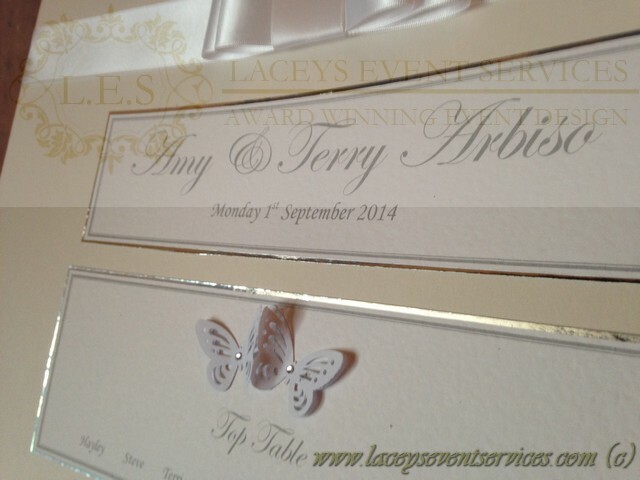 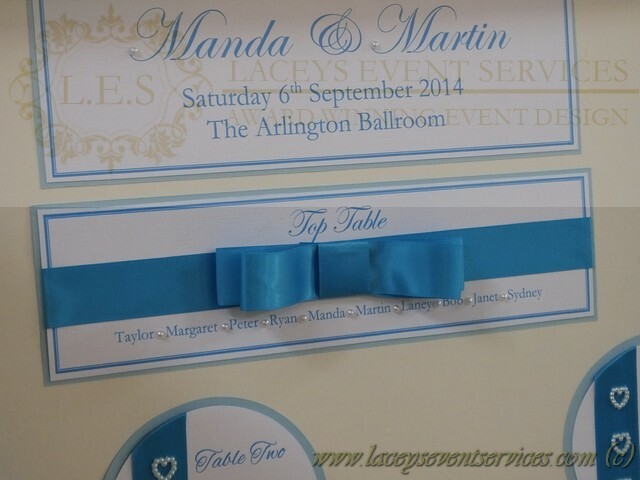 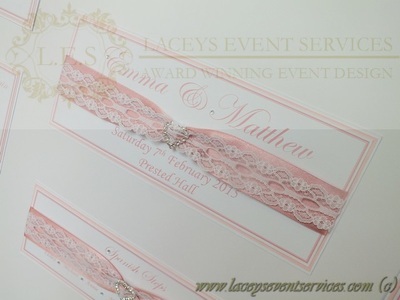 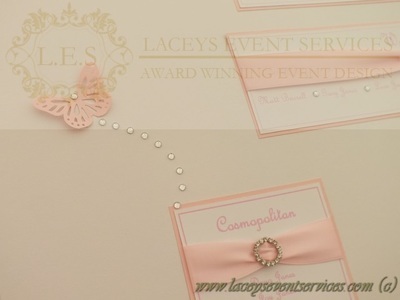 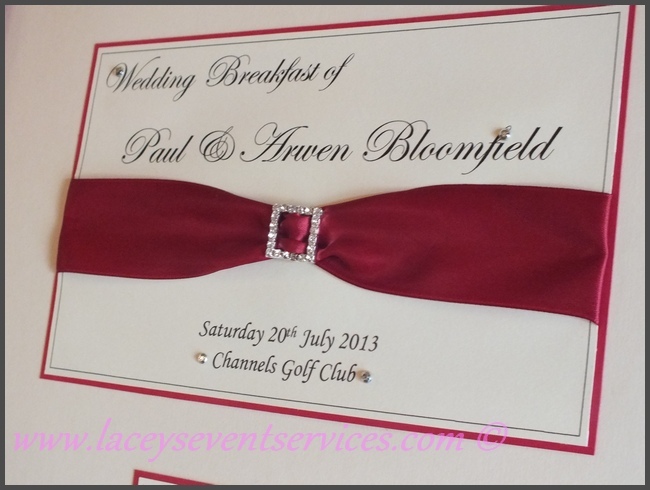 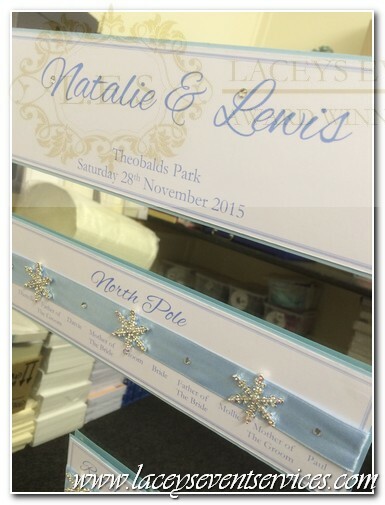 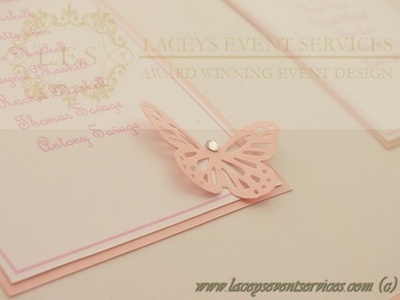 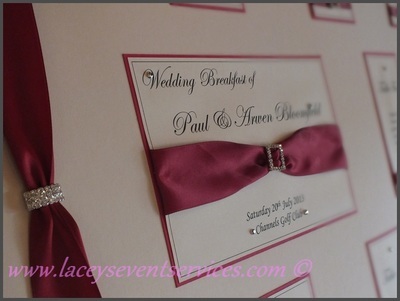 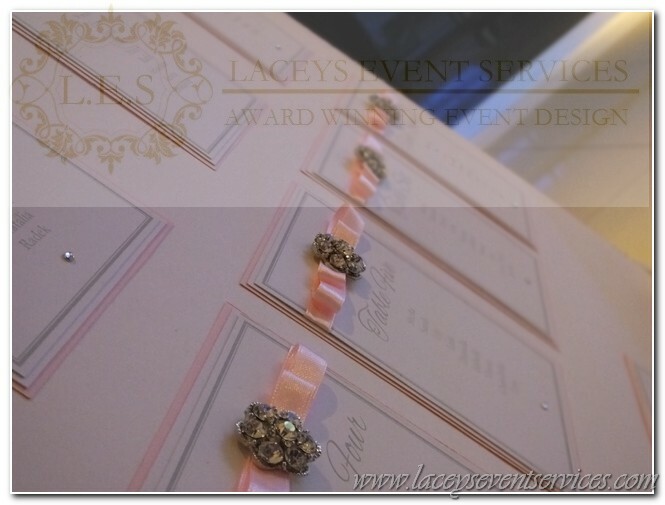 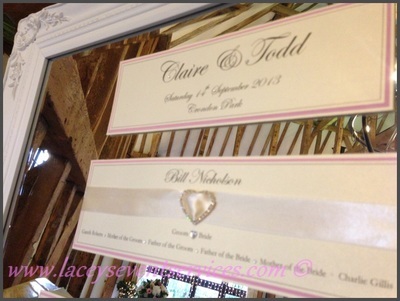 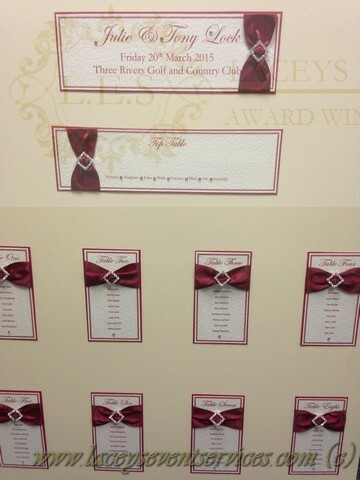 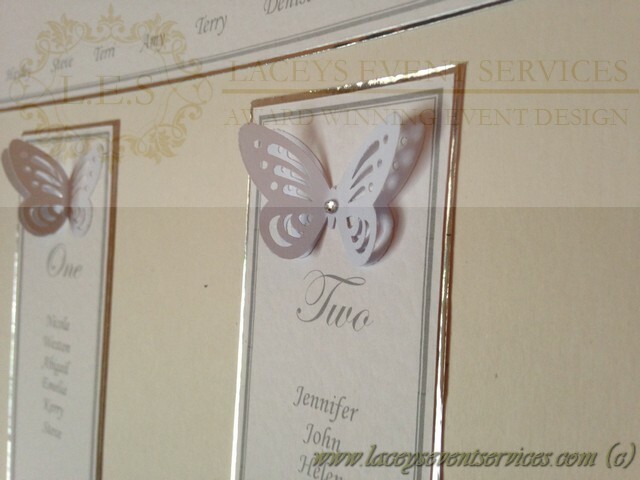 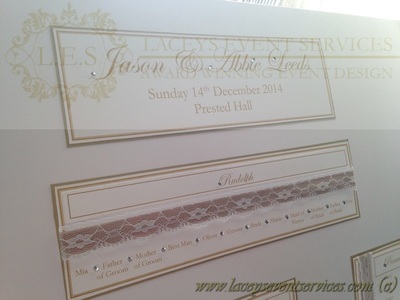 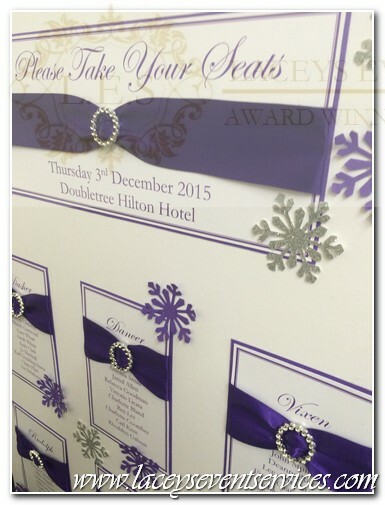 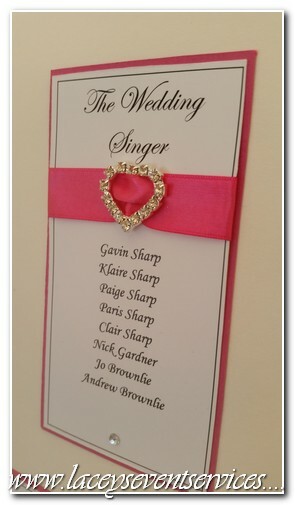 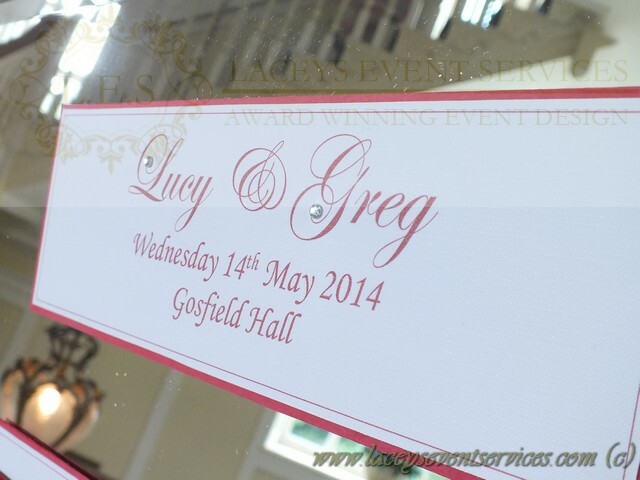 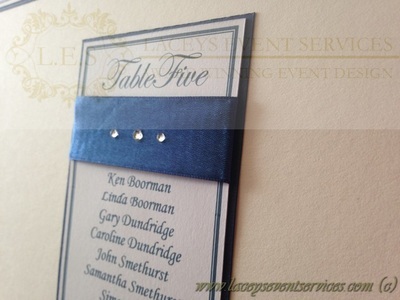 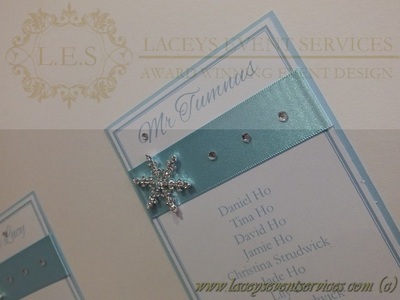 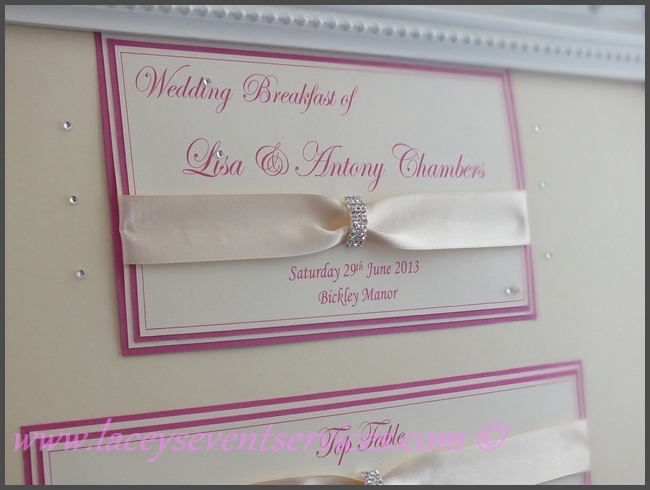 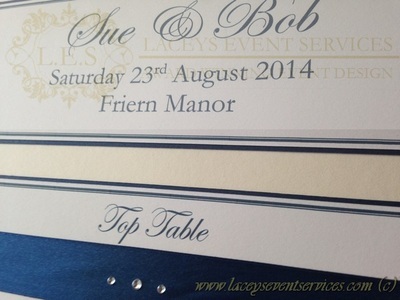 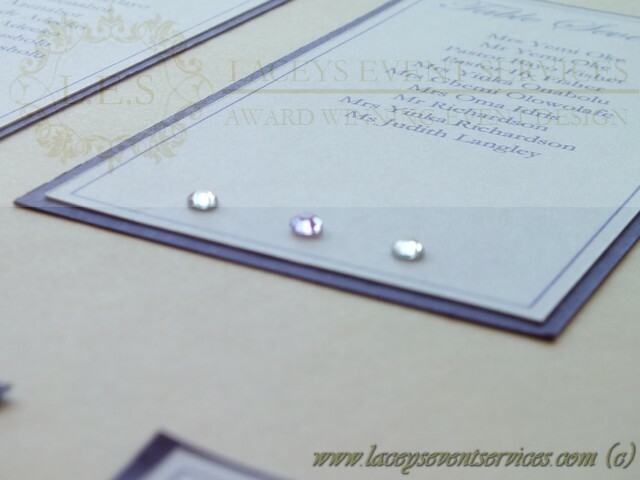 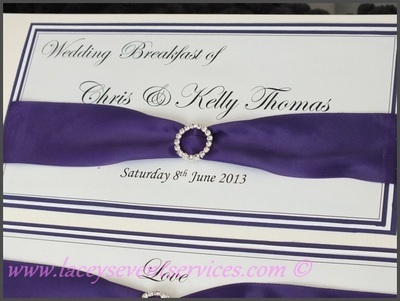 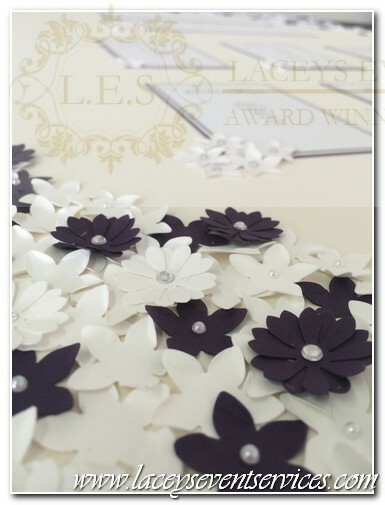 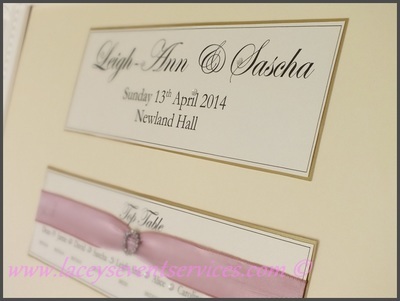 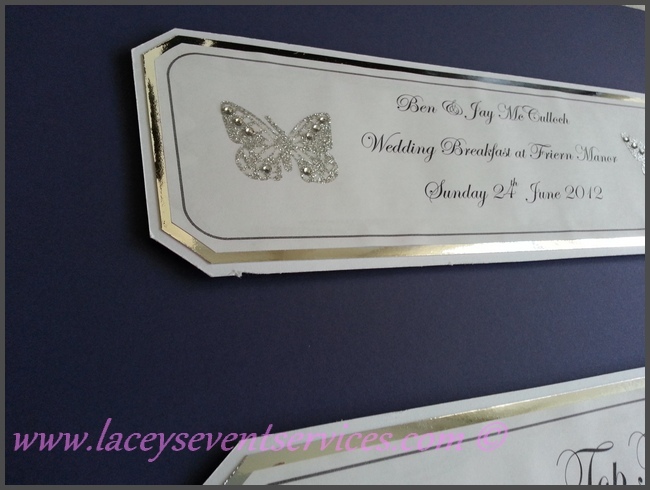 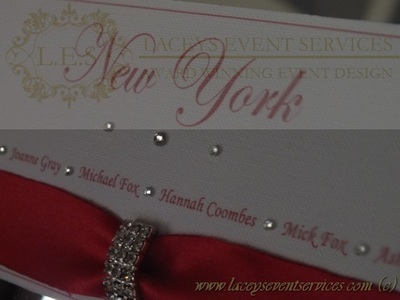 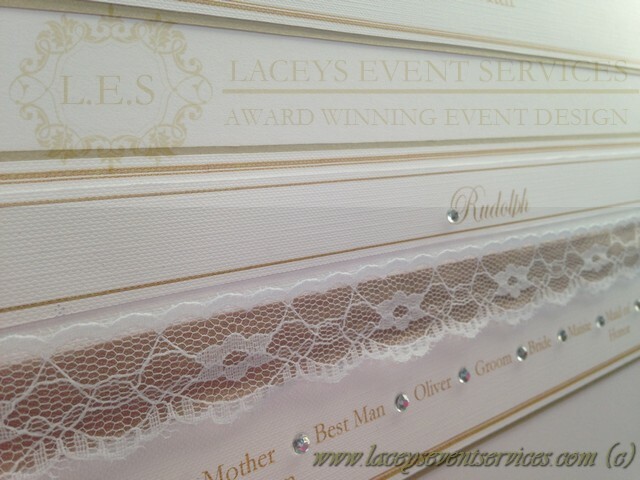 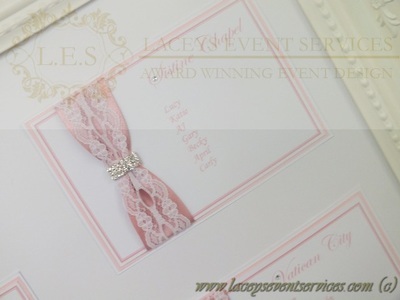 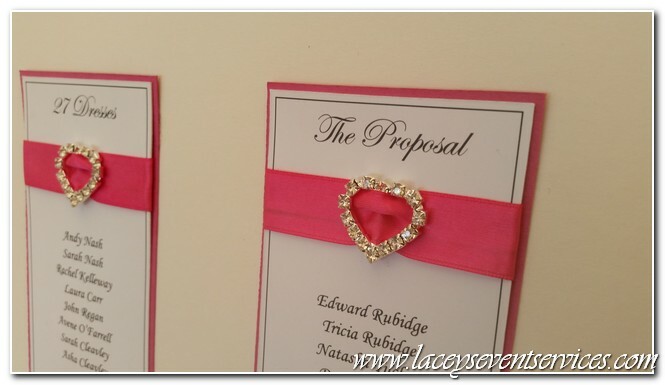 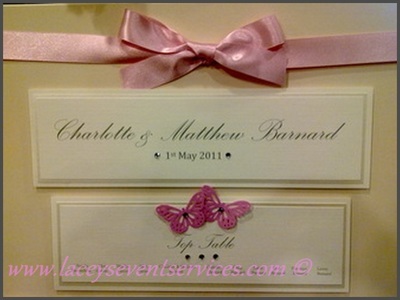 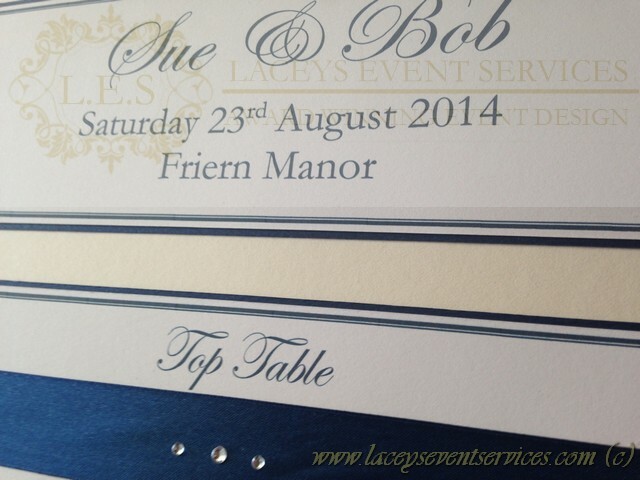 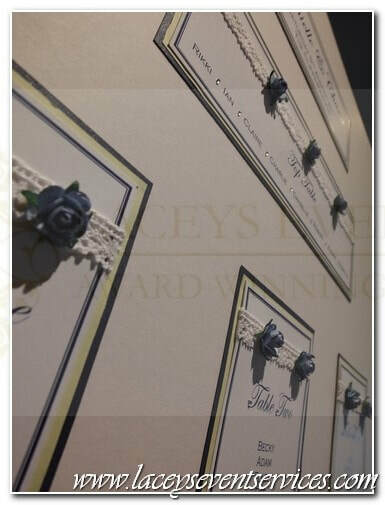 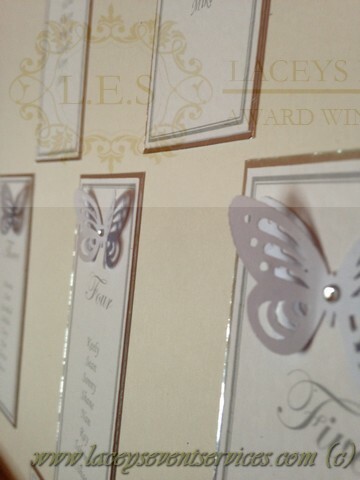 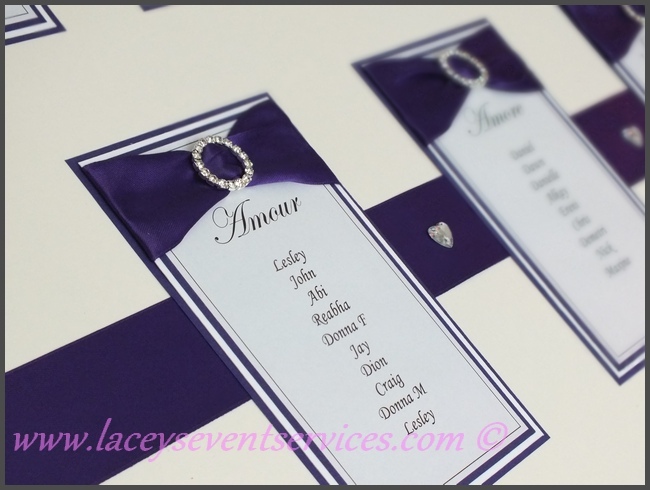 We are award winning designers and LOVE working on new designs as much as our popular pre designed options below! 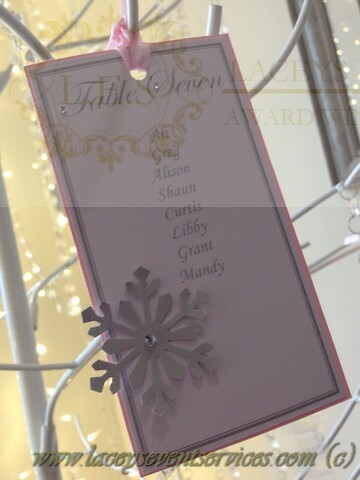 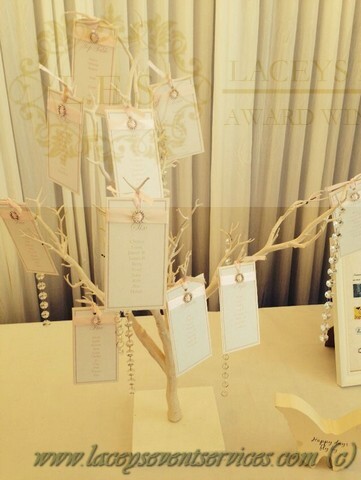 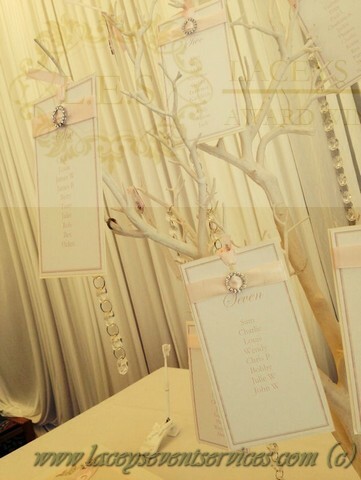 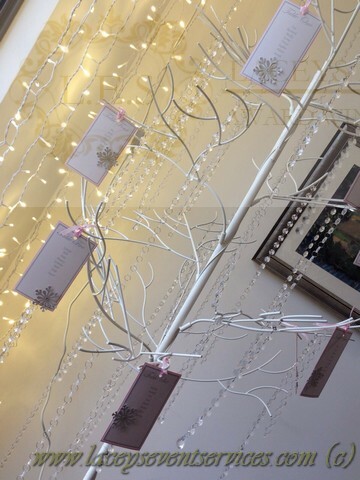 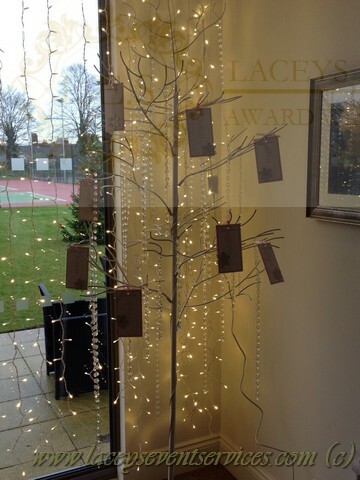 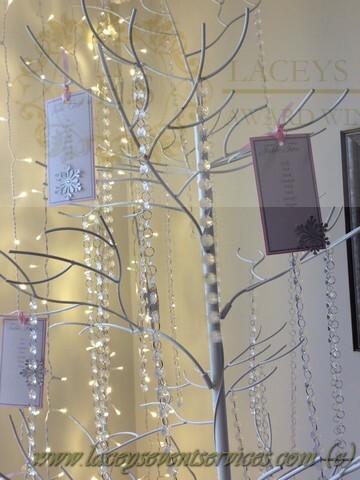 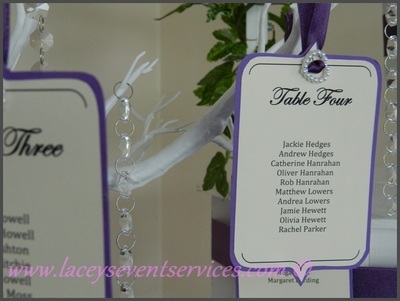 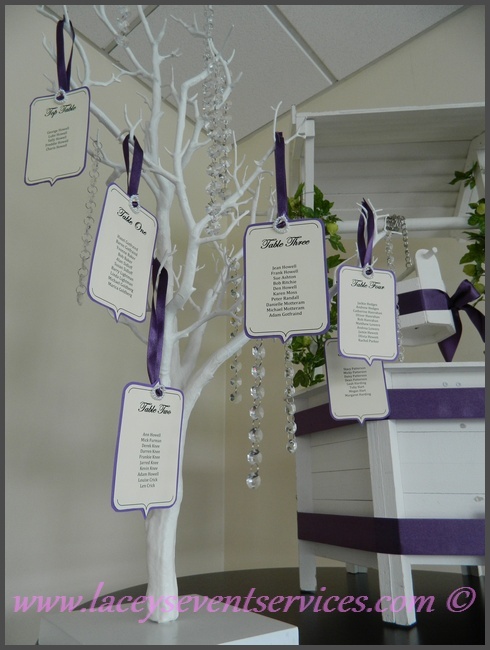 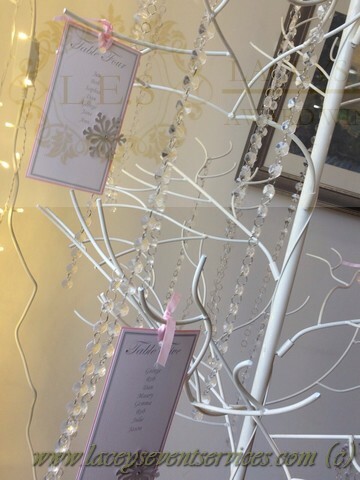 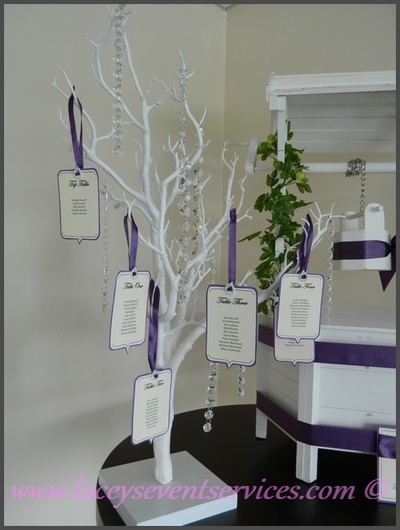 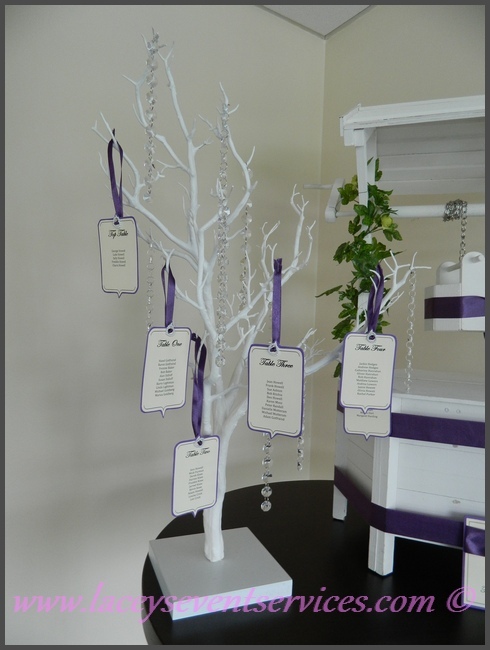 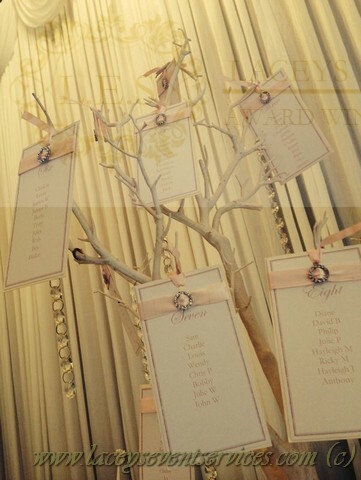 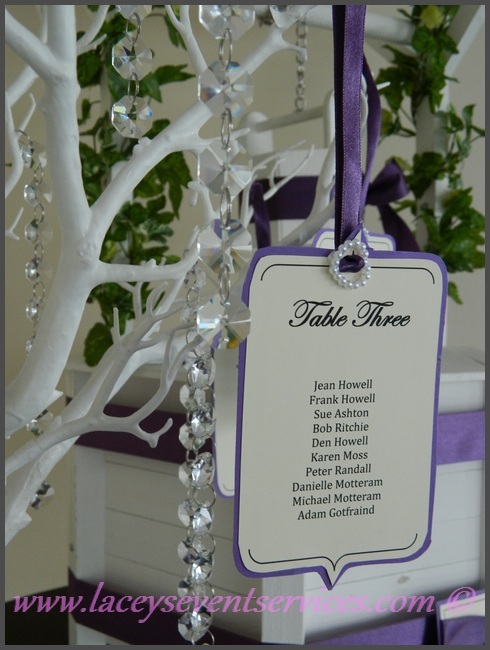 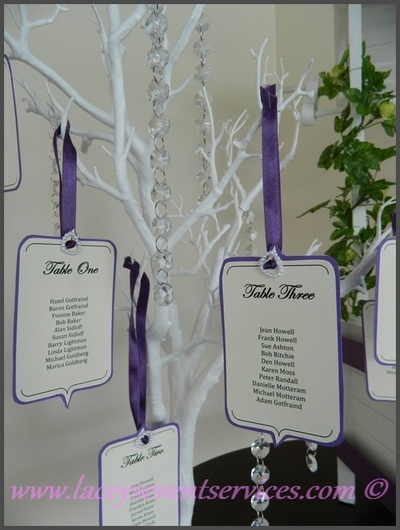 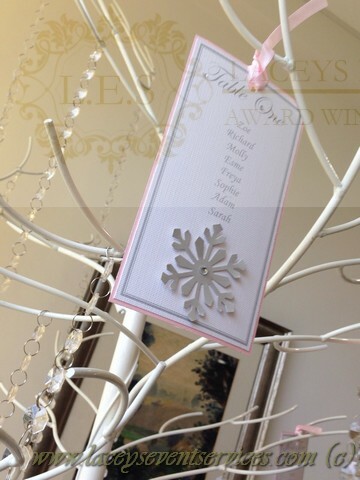 If you are looking for something a little different how about our very own design manzanita tree crystal table plan as pictured below! 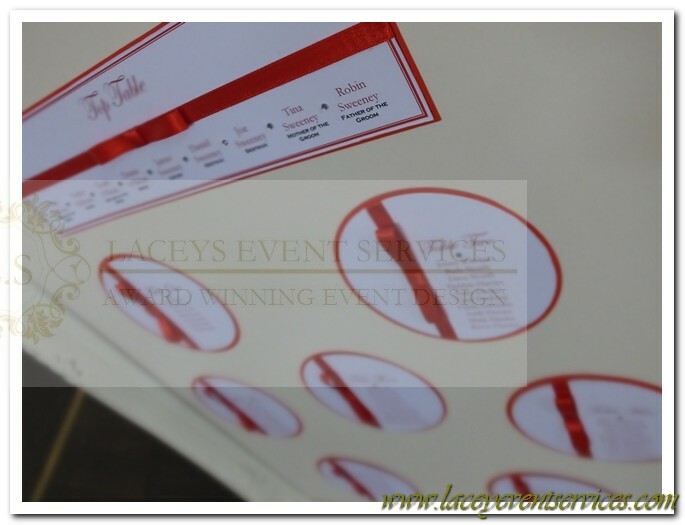 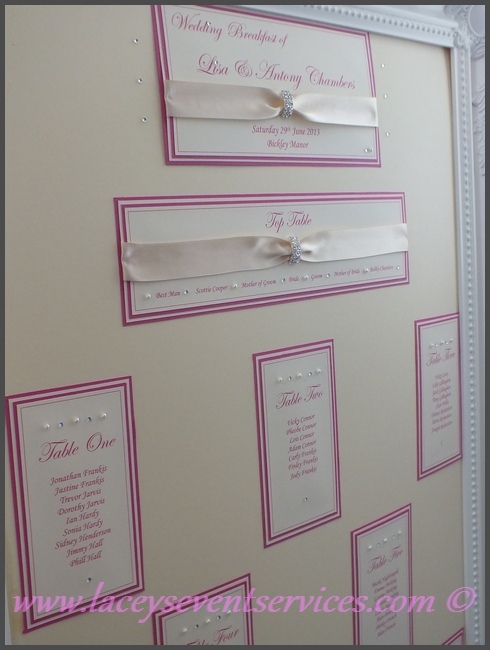 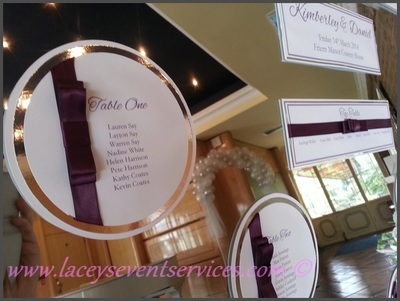 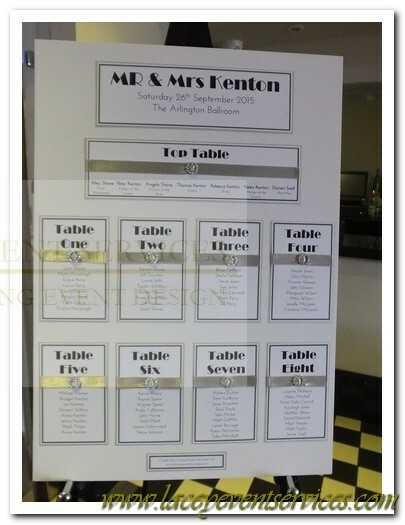 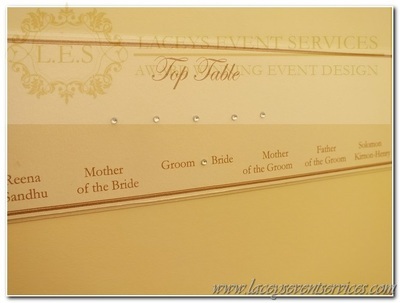 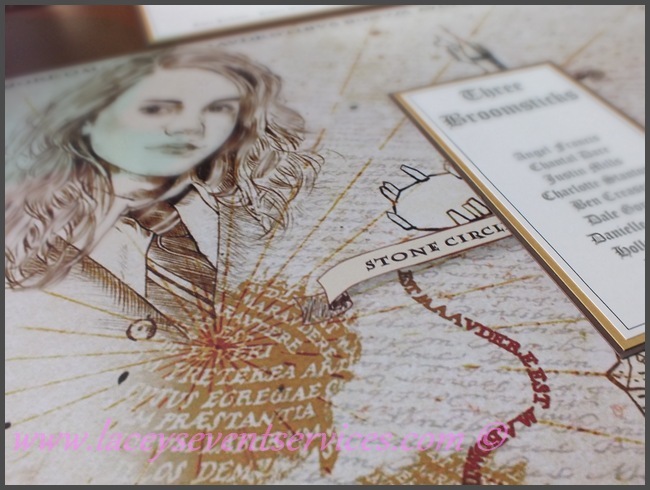 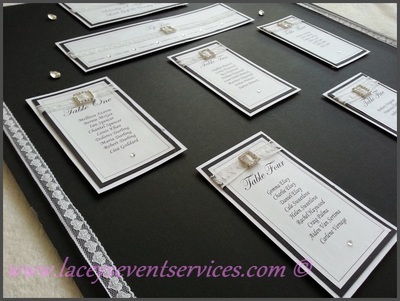 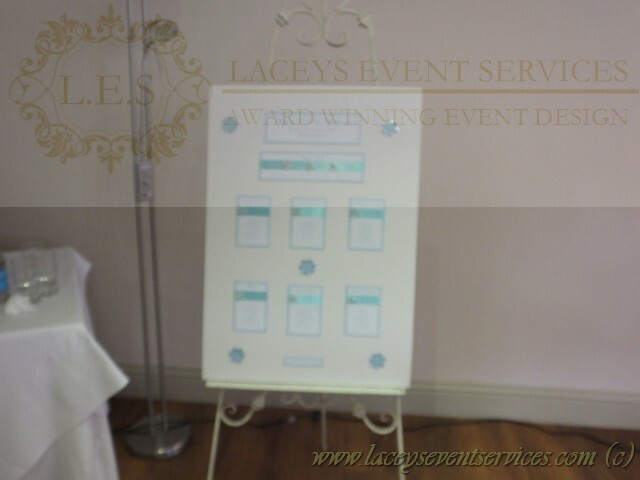 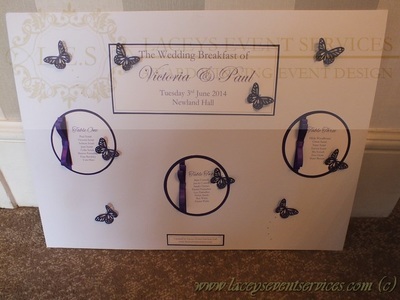 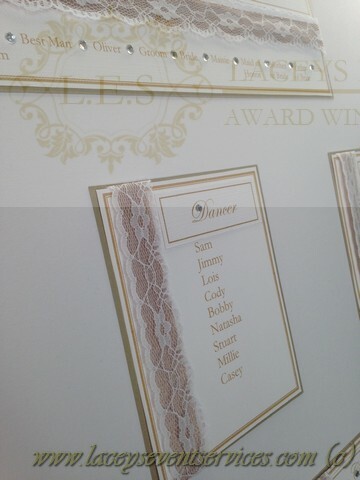 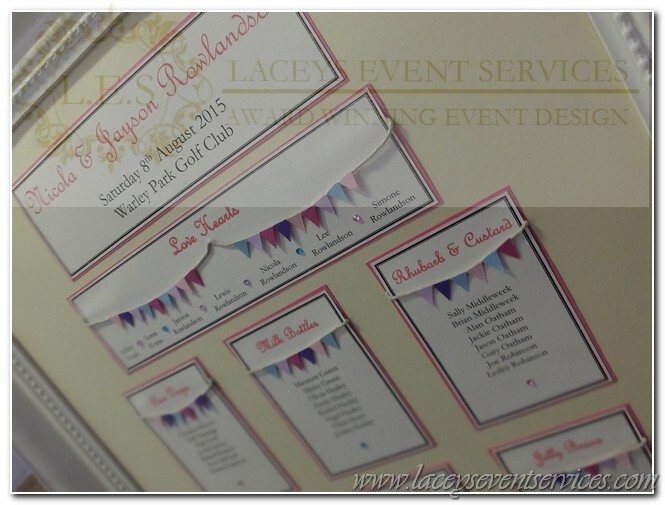 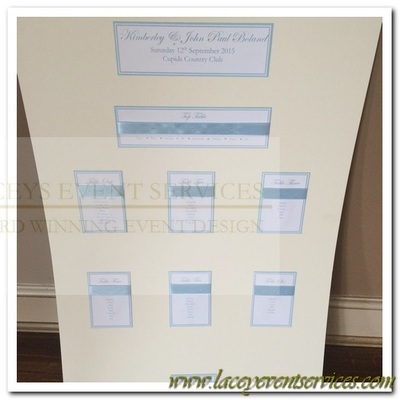 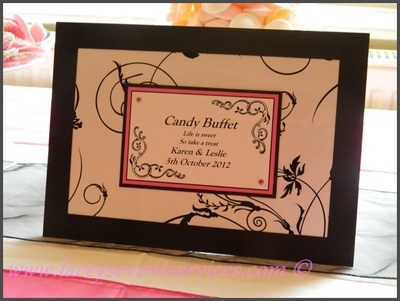 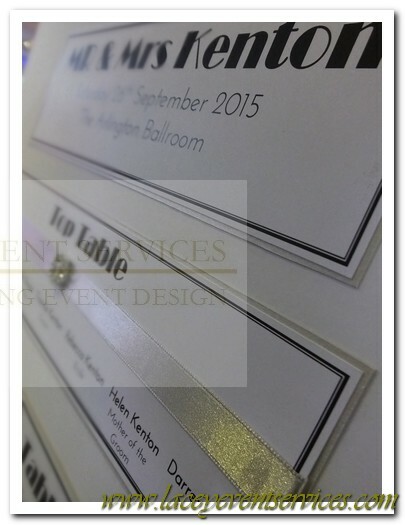 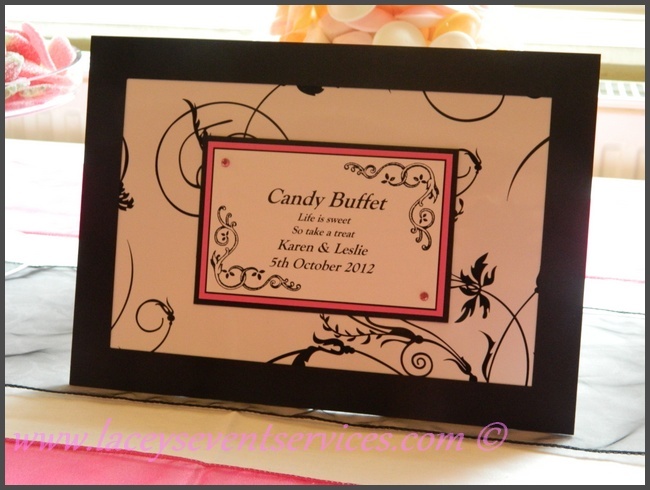 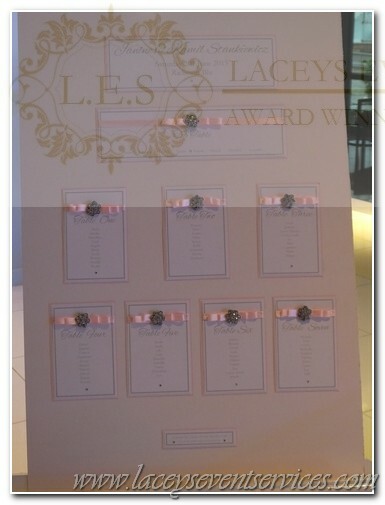 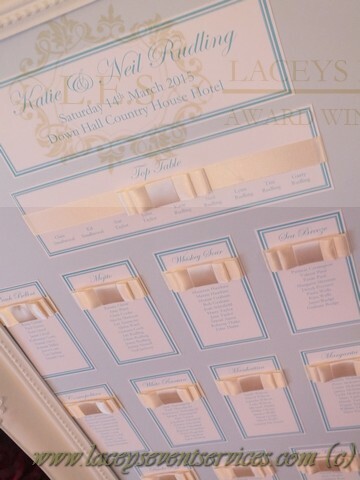 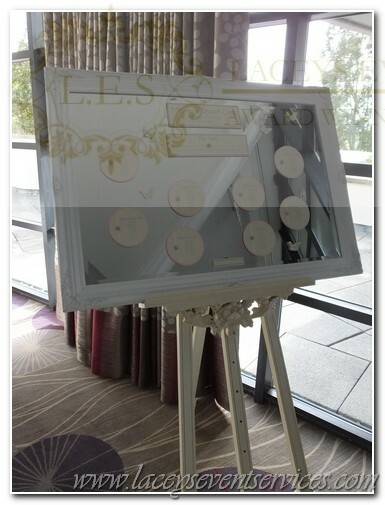 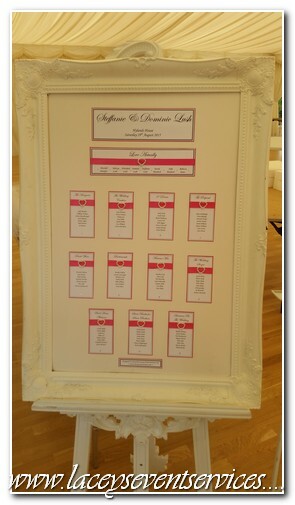 All Table Plans come as standard on a backboard. 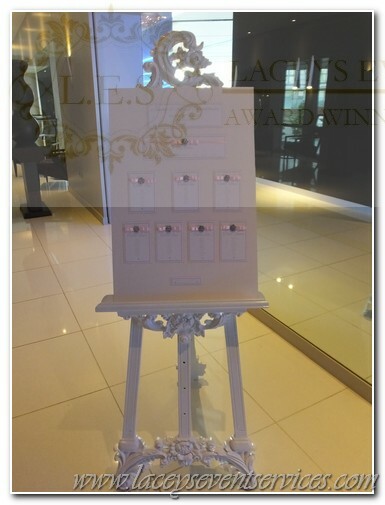 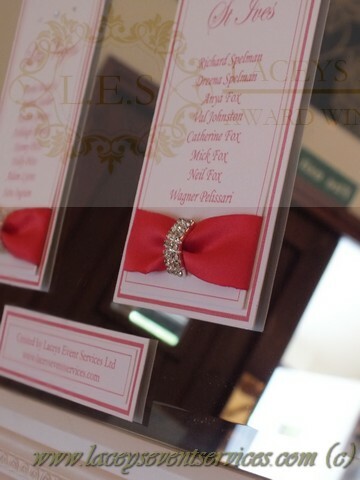 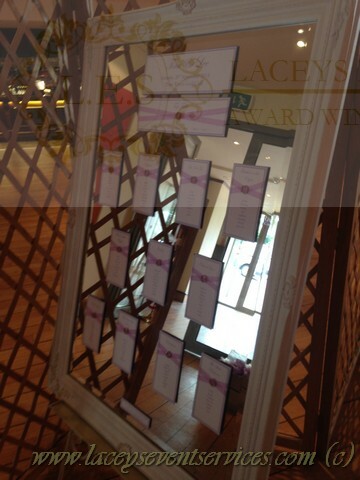 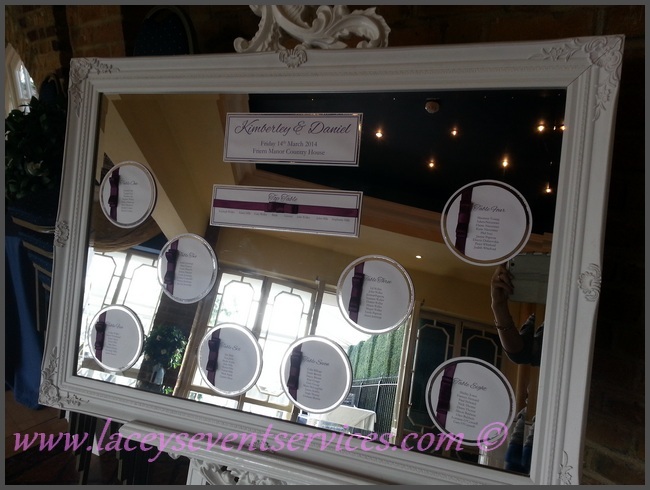 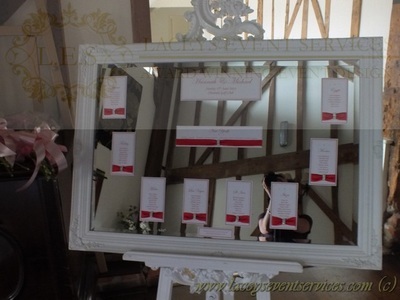 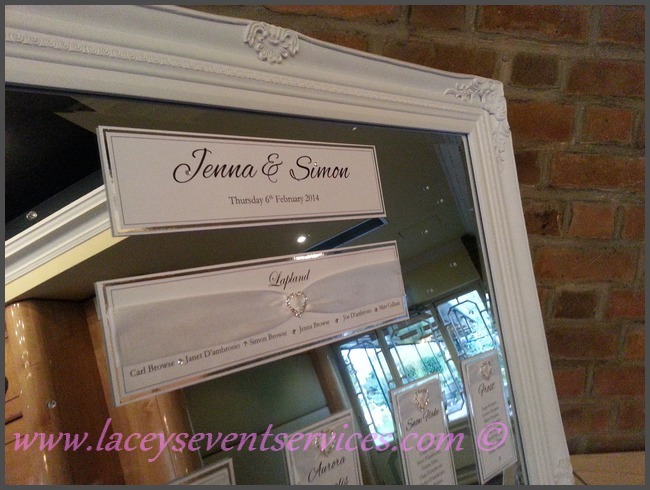 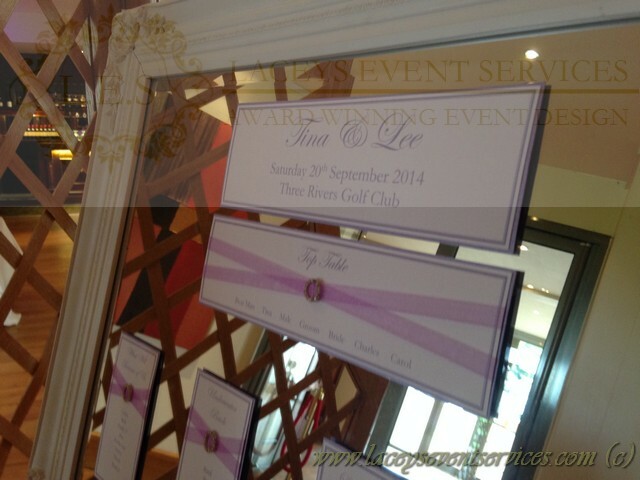 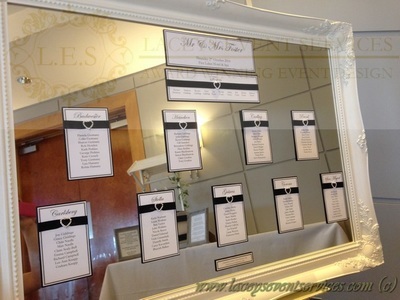 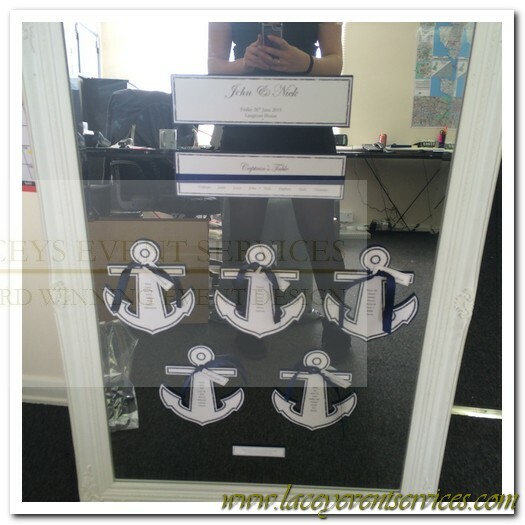 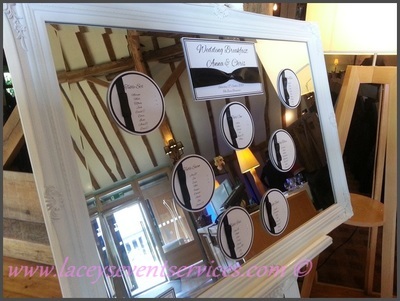 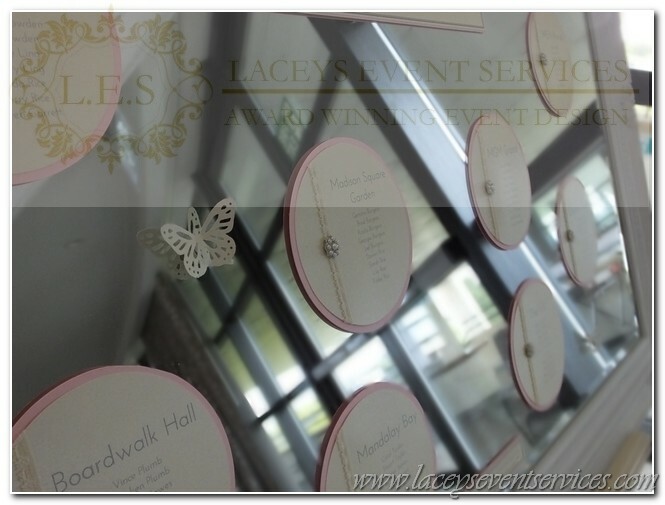 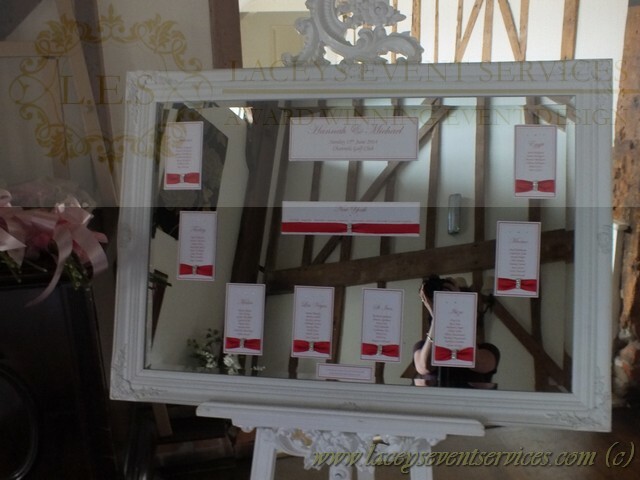 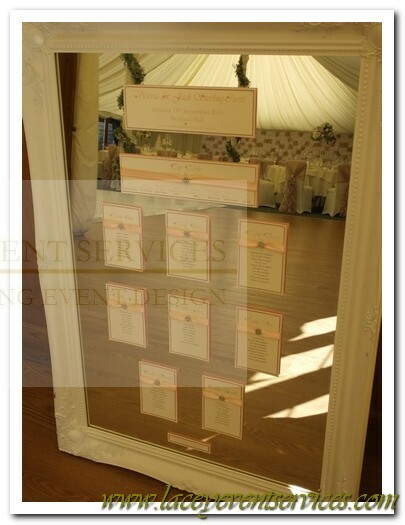 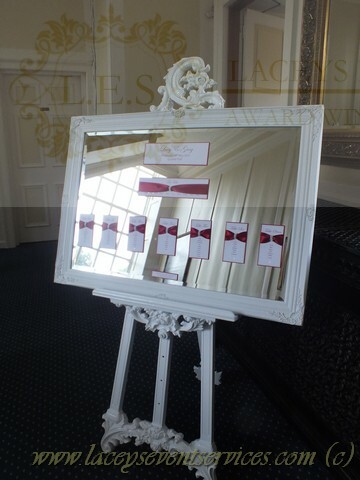 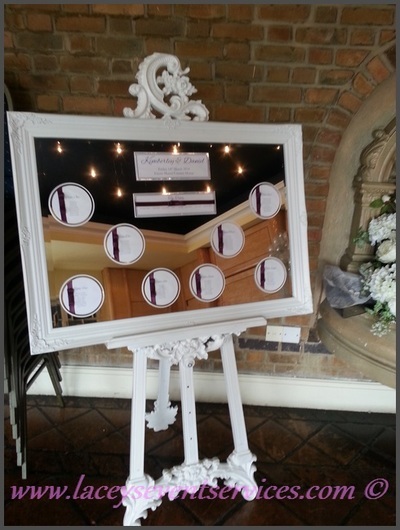 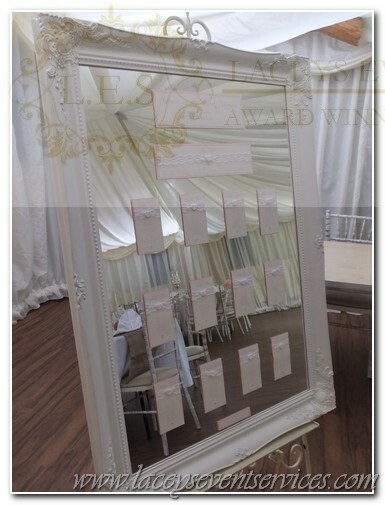 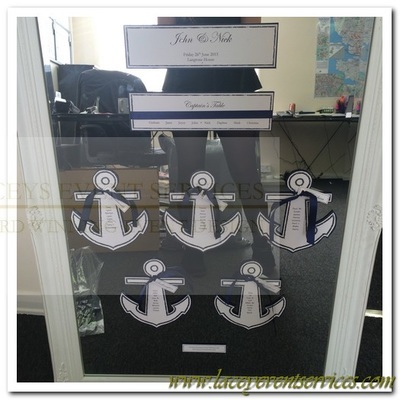 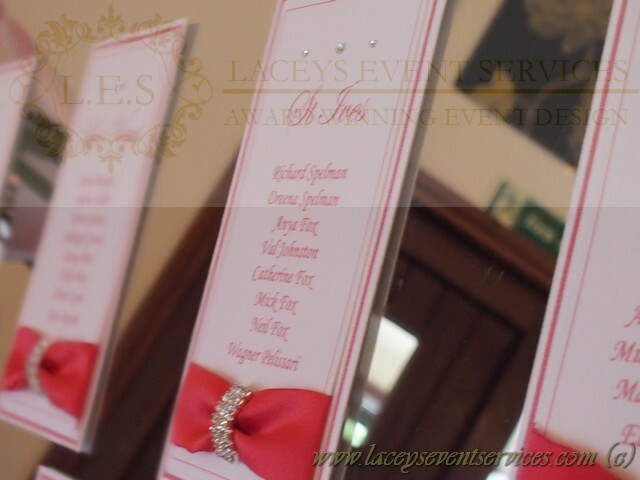 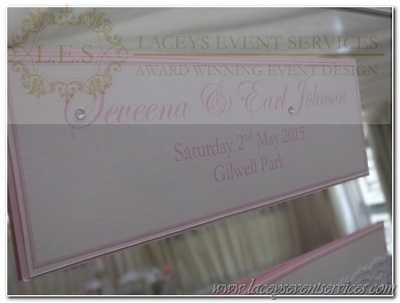 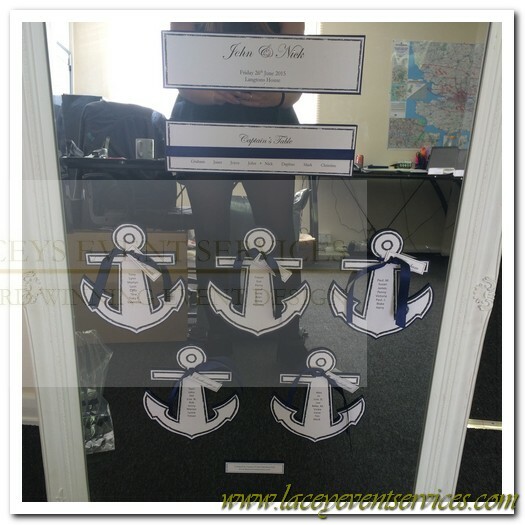 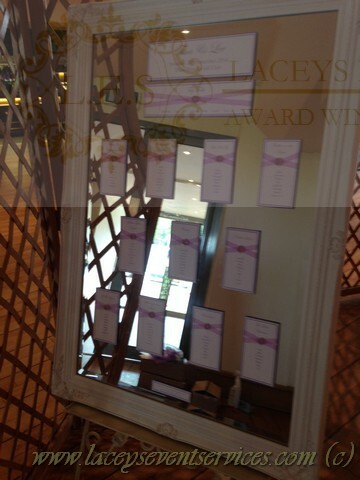 Frames or Mirrors are not Included and can be hired separately with any design!